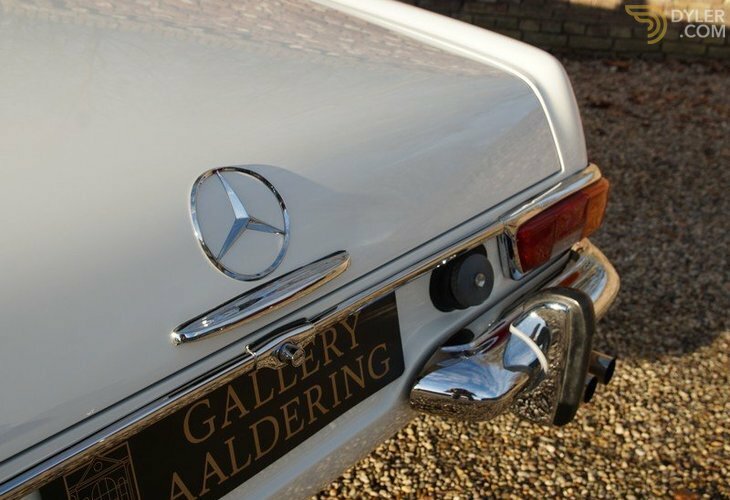 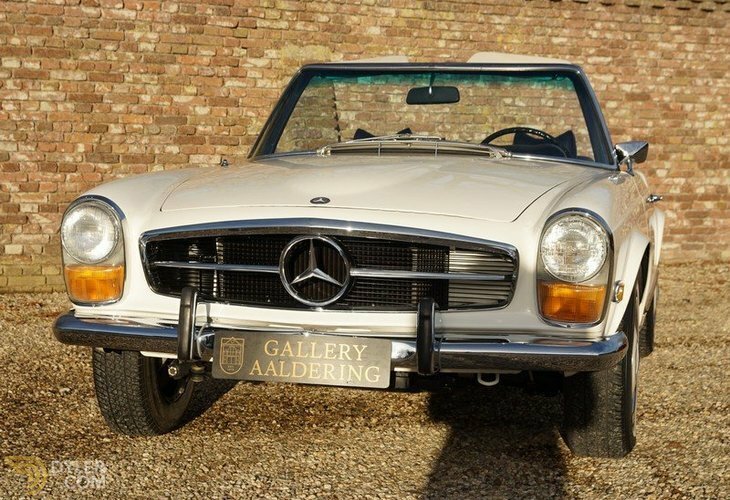 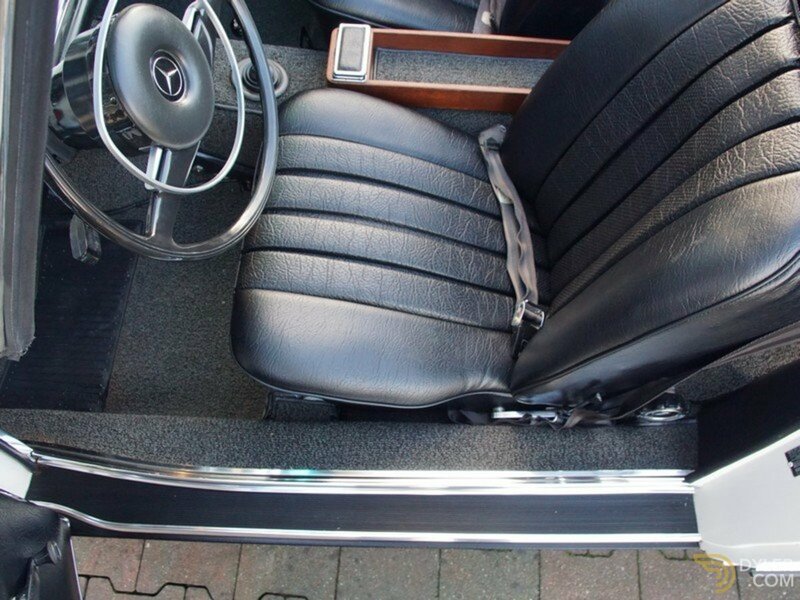 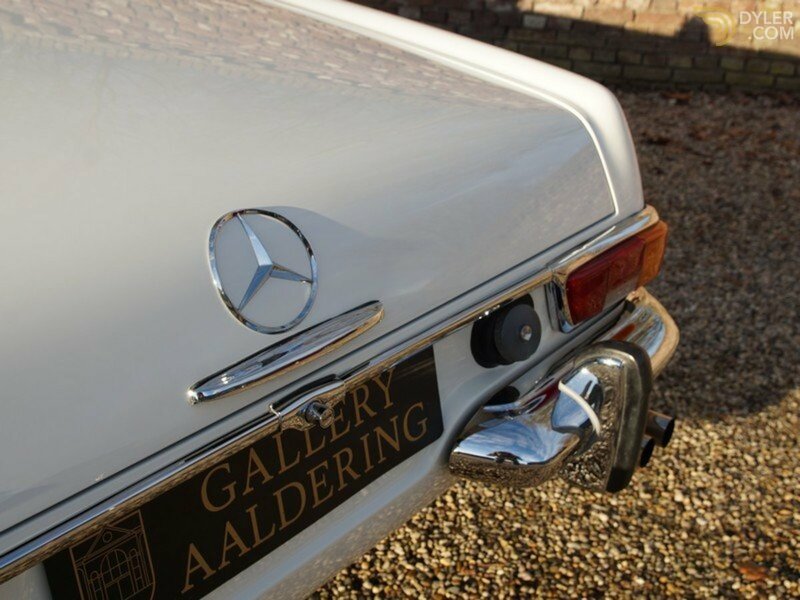 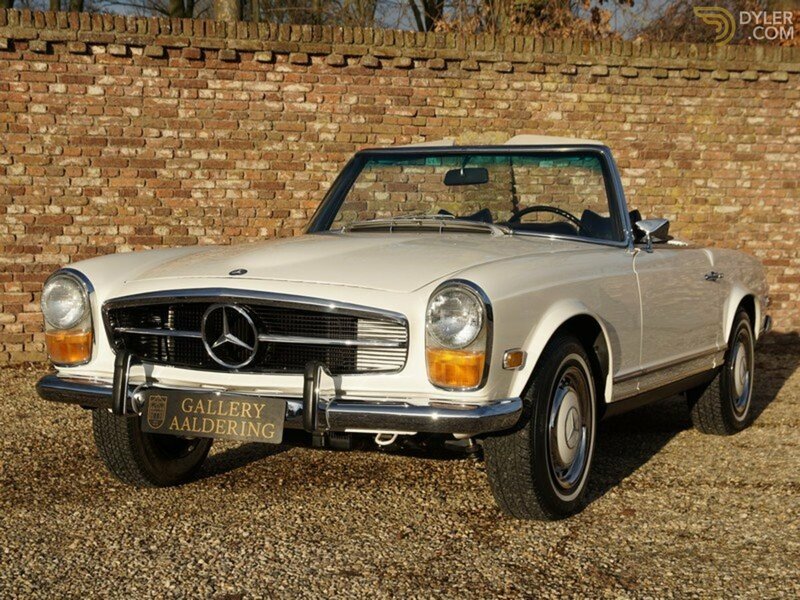 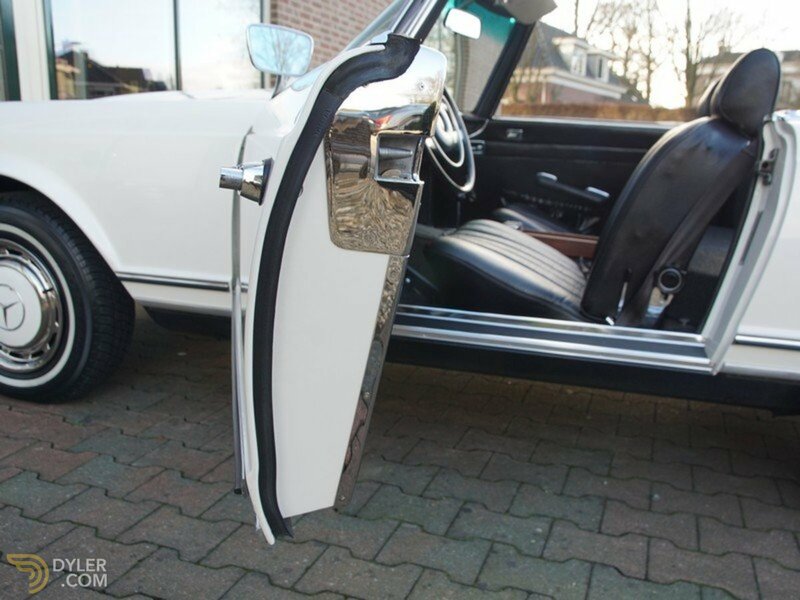 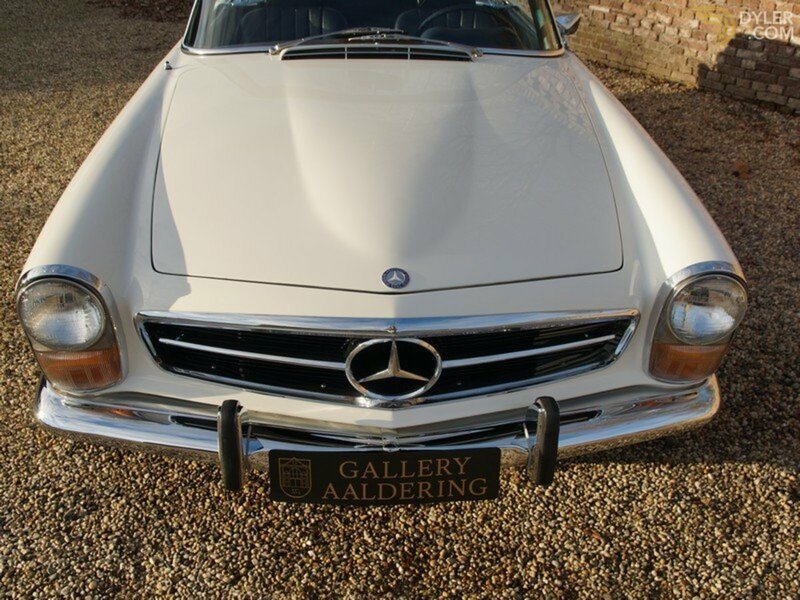 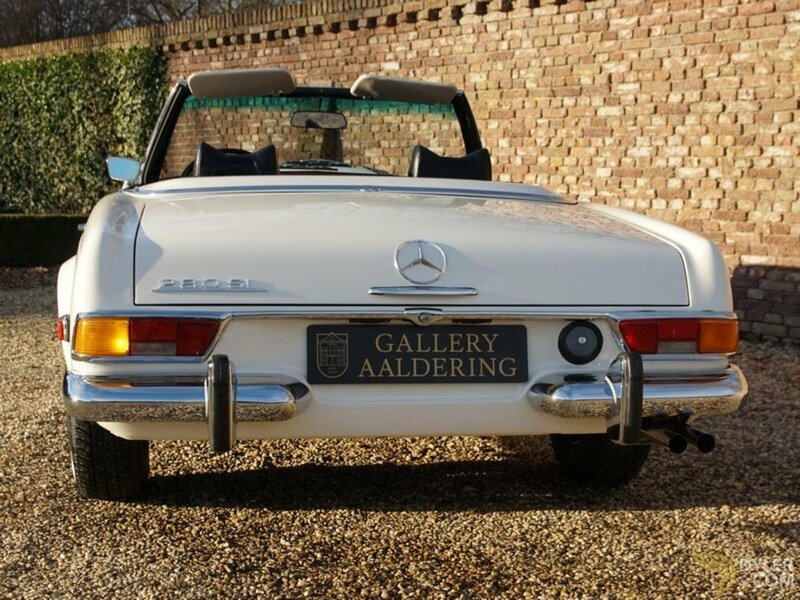 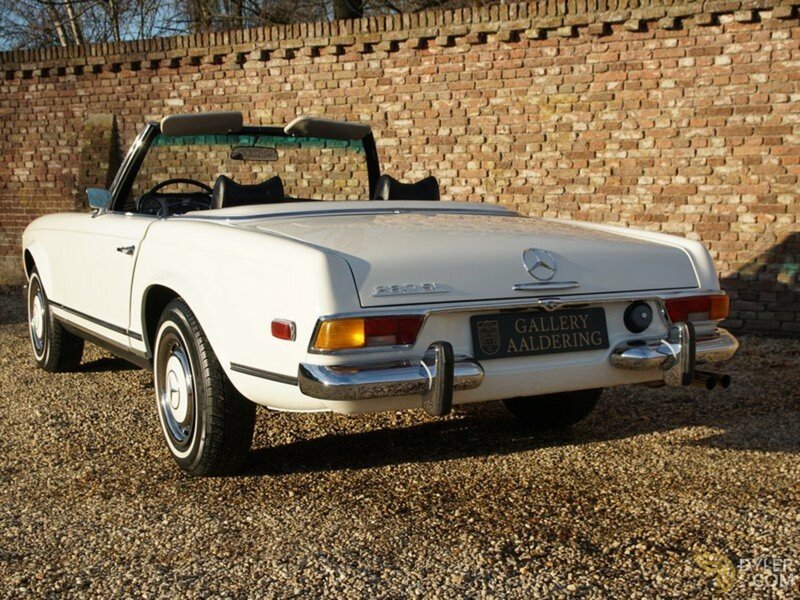 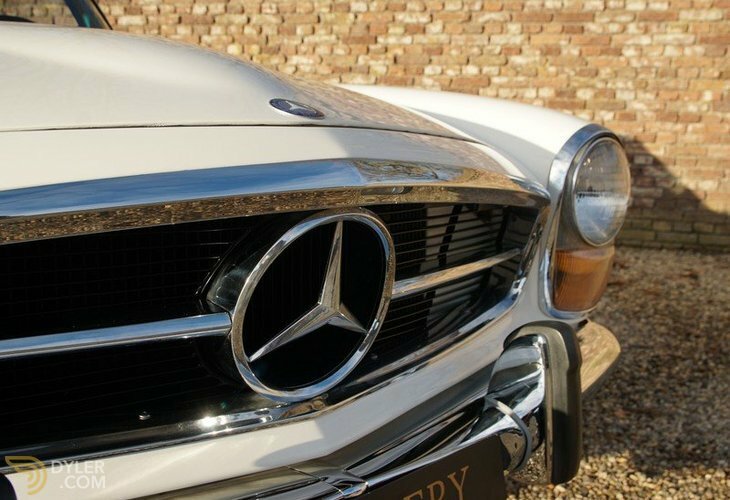 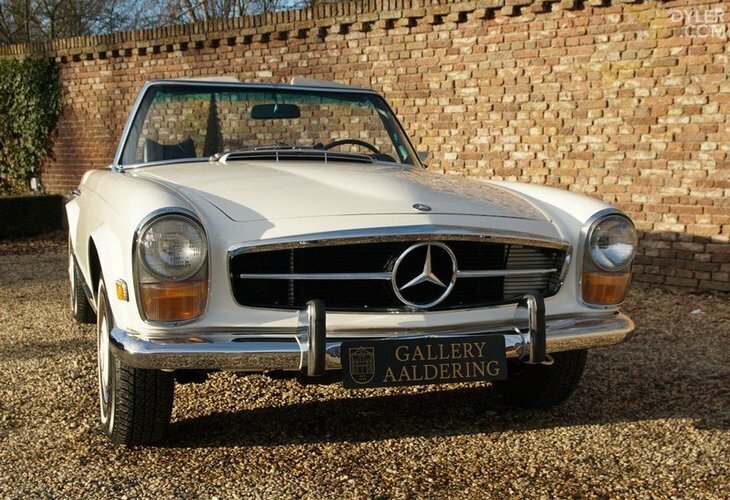 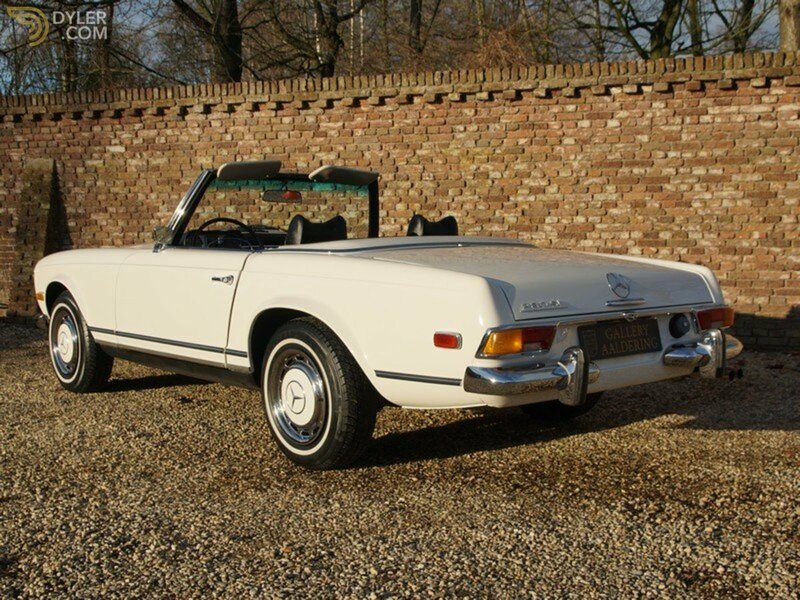 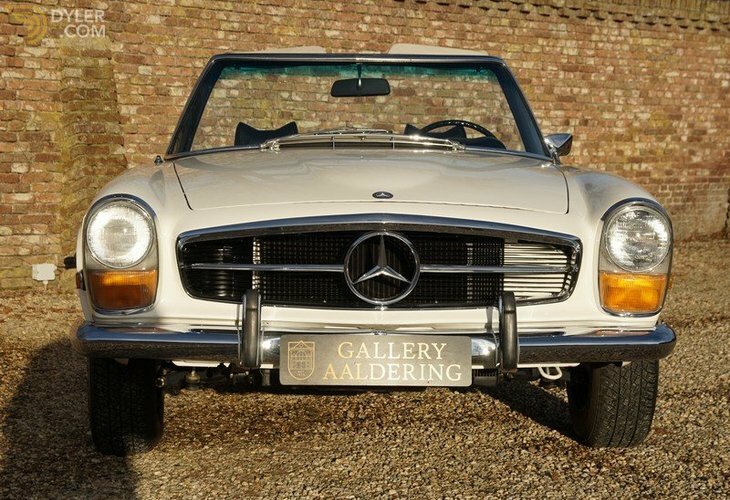 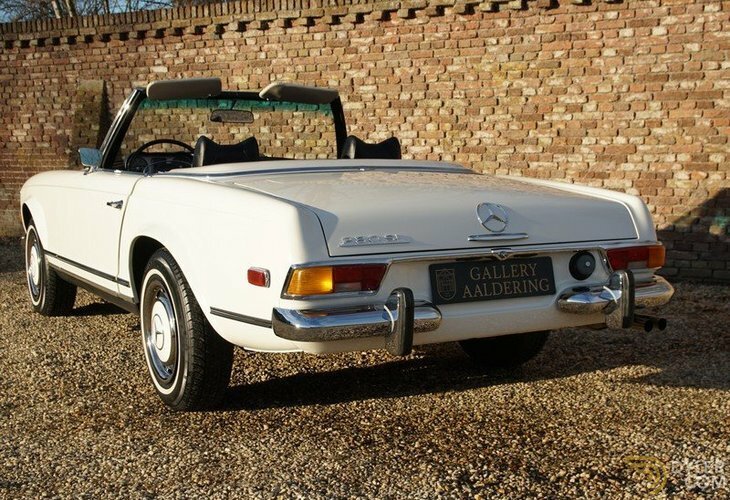 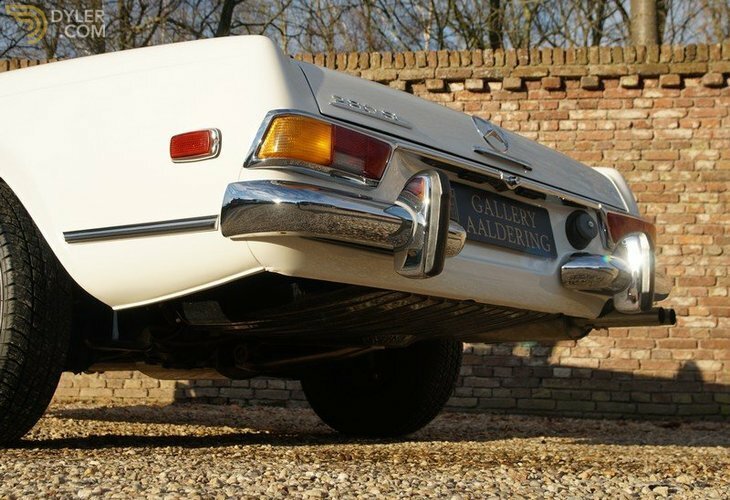 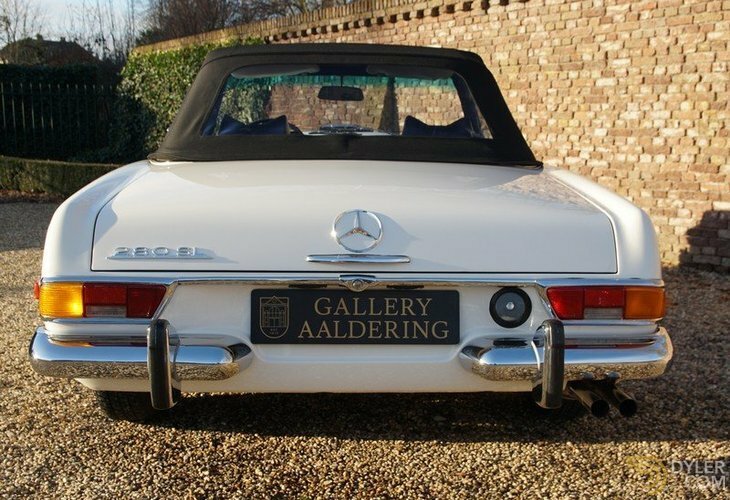 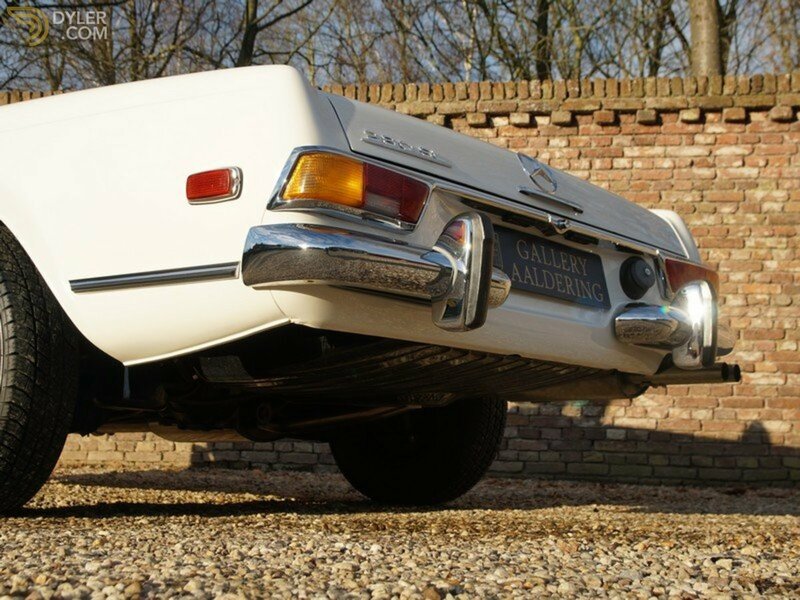 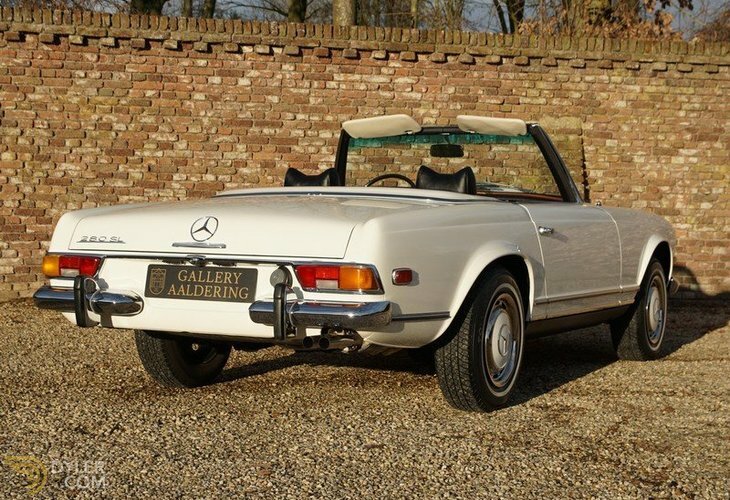 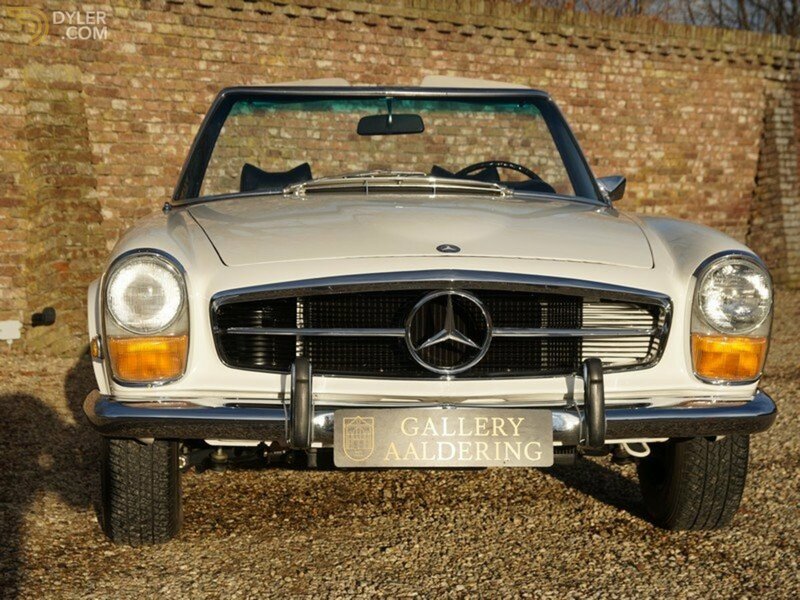 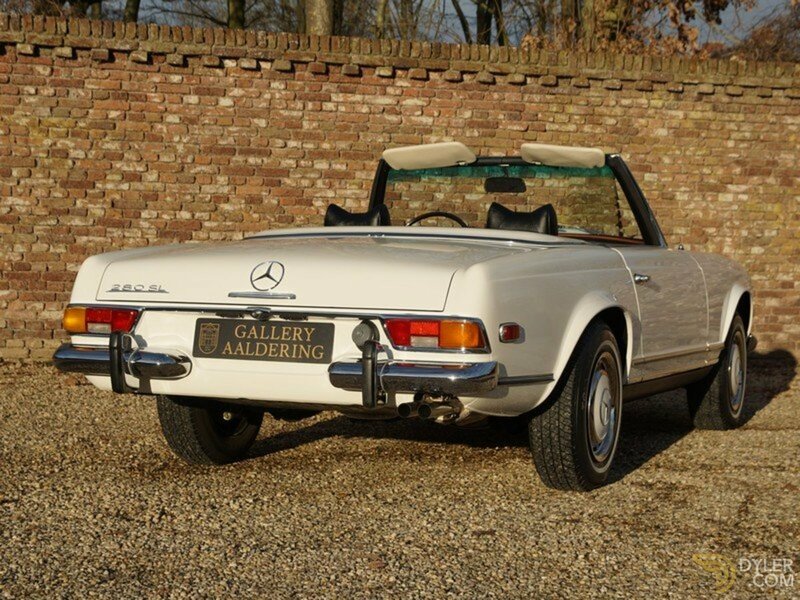 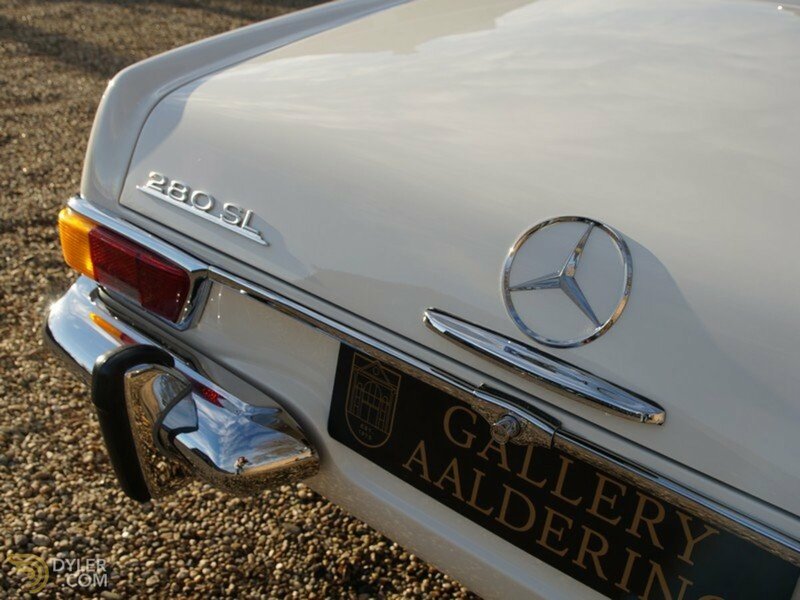 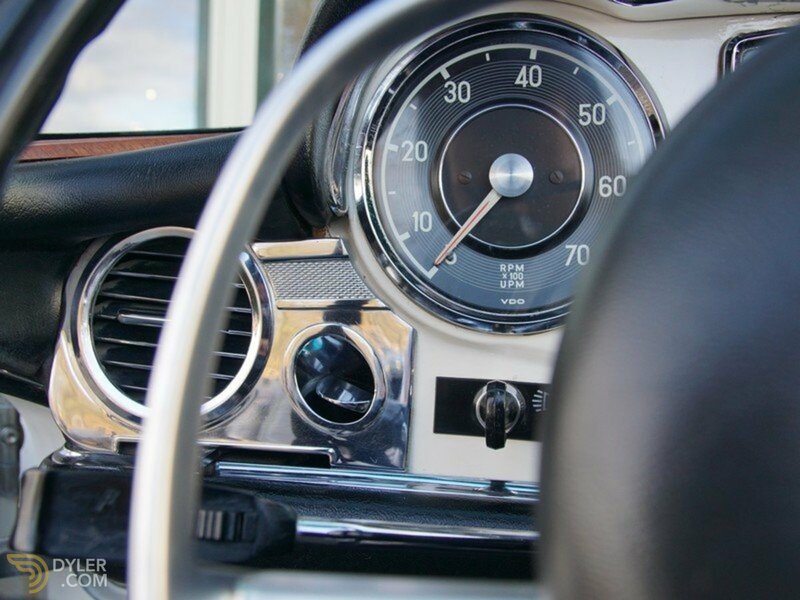 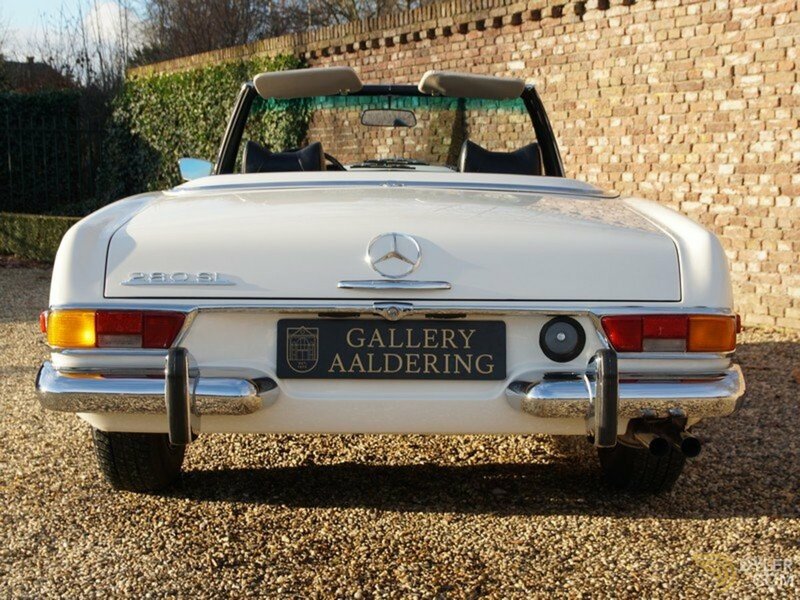 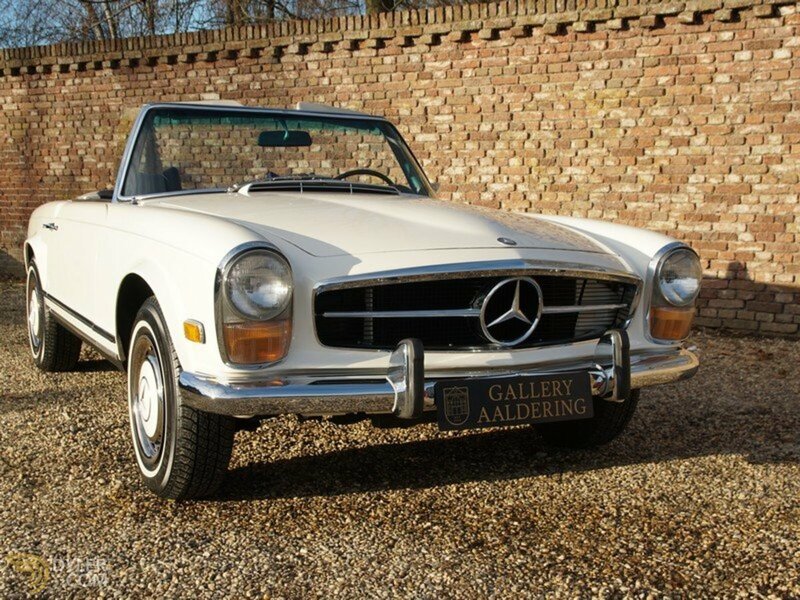 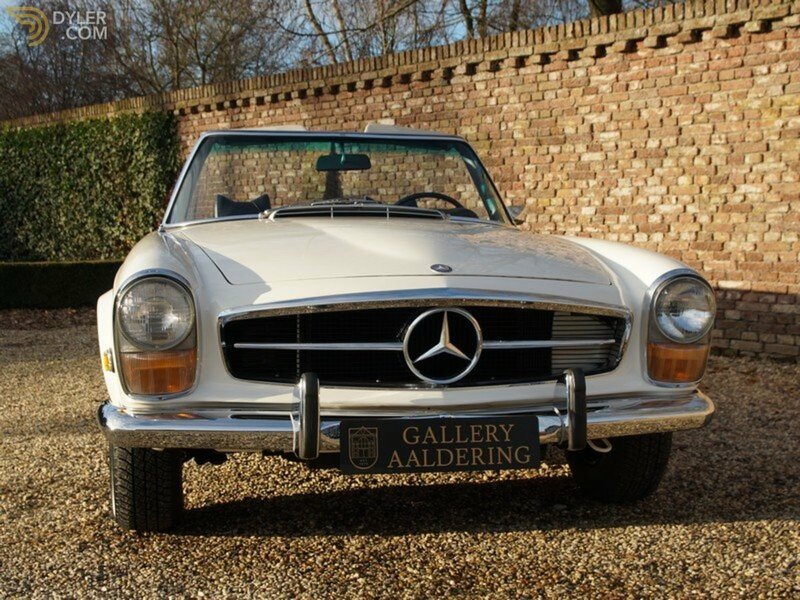 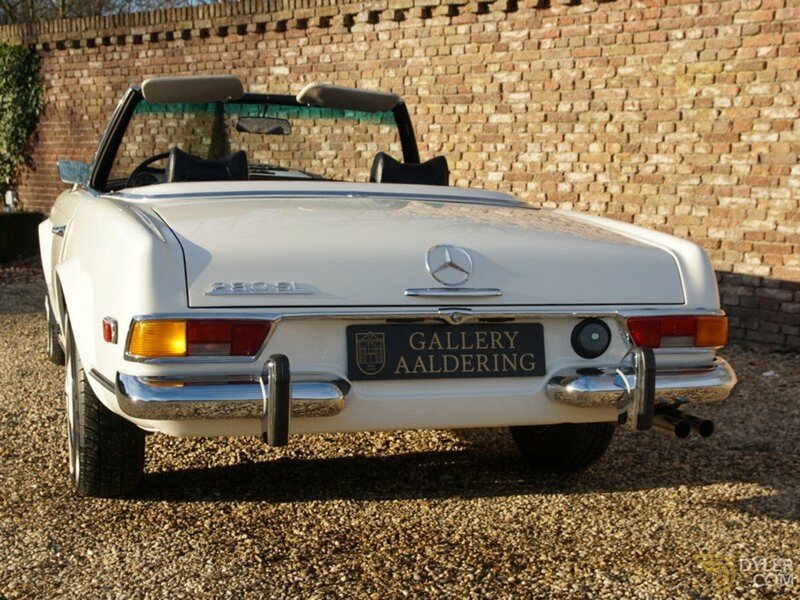 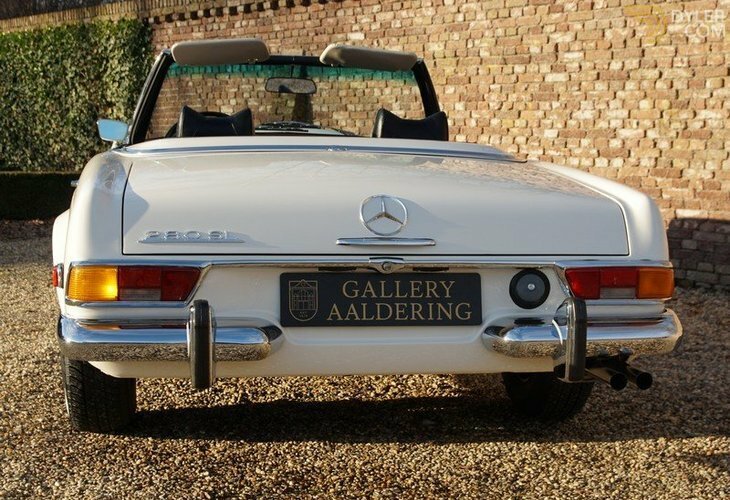 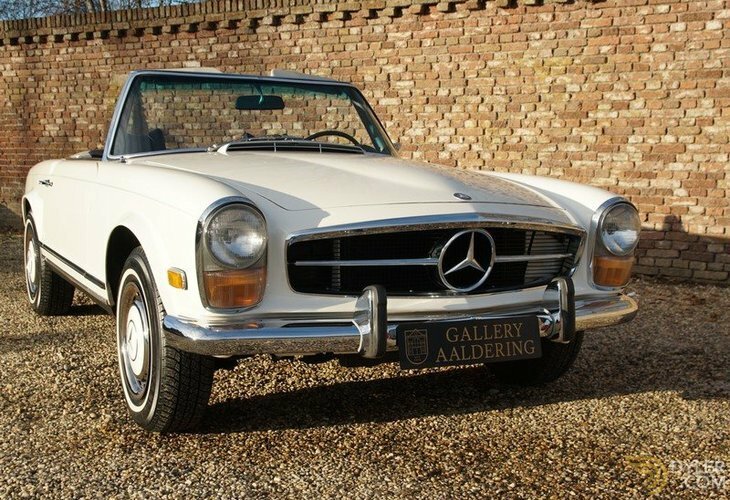 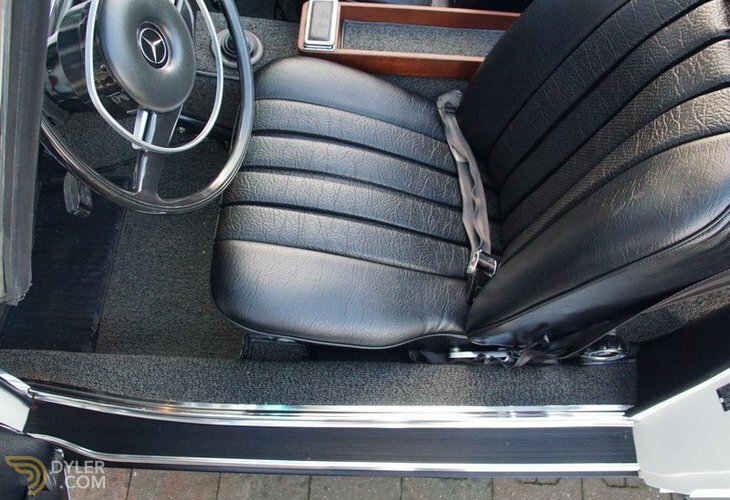 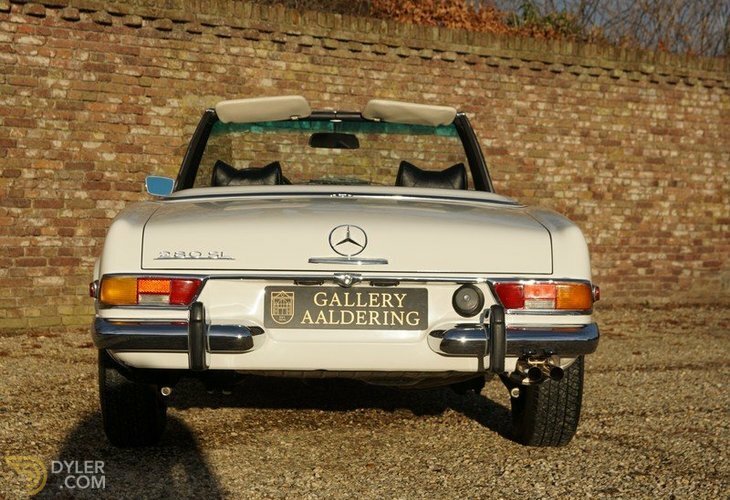 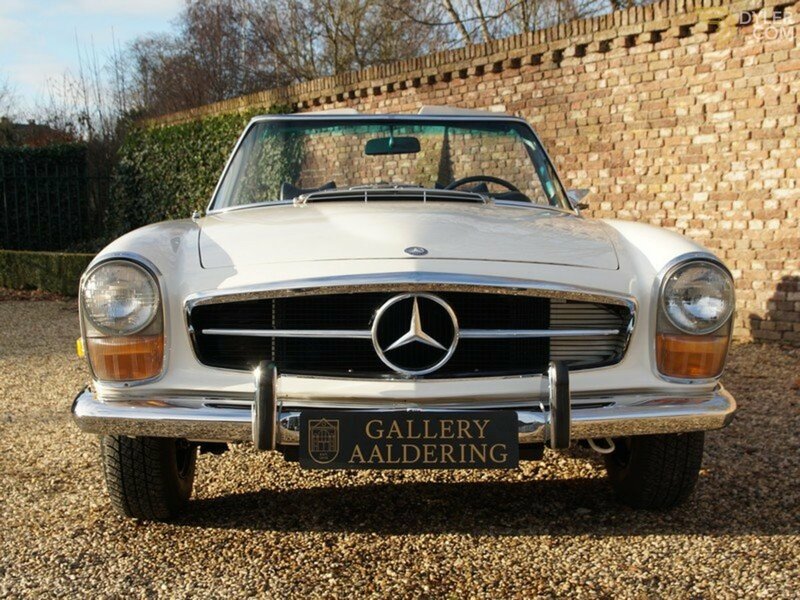 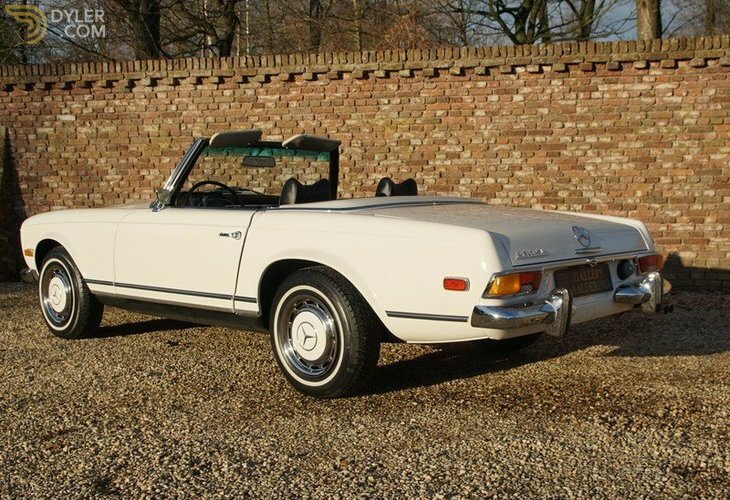 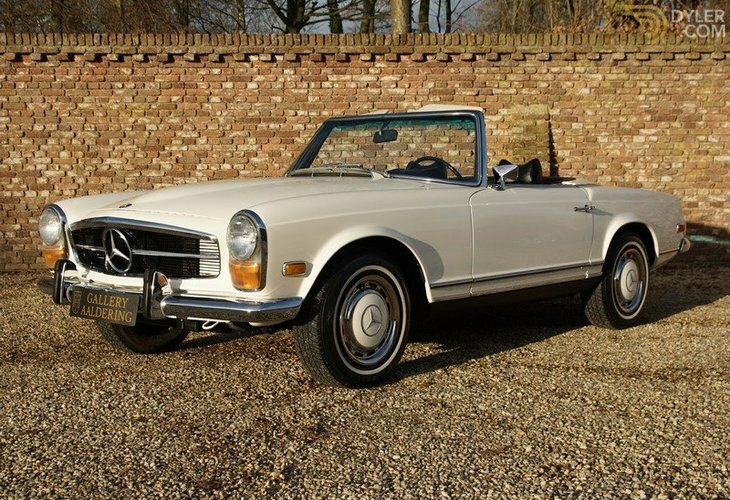 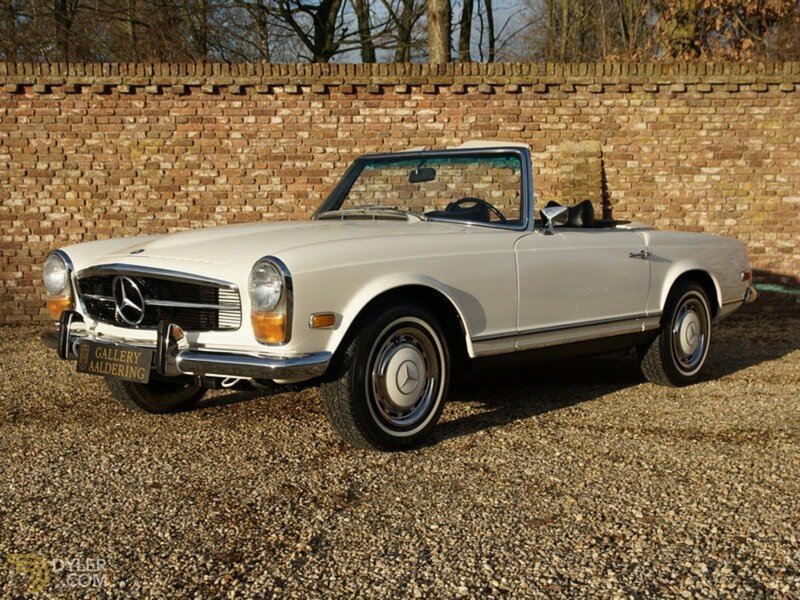 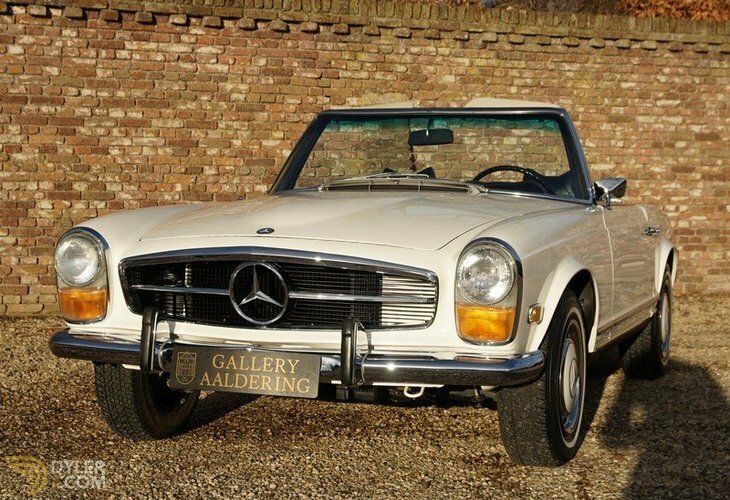 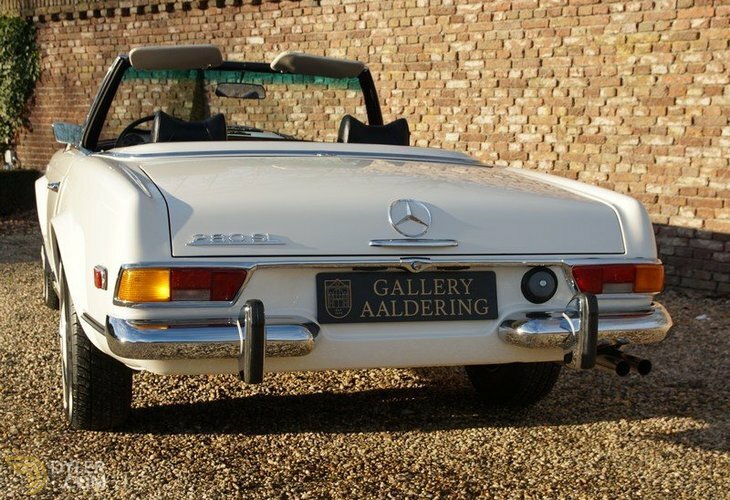 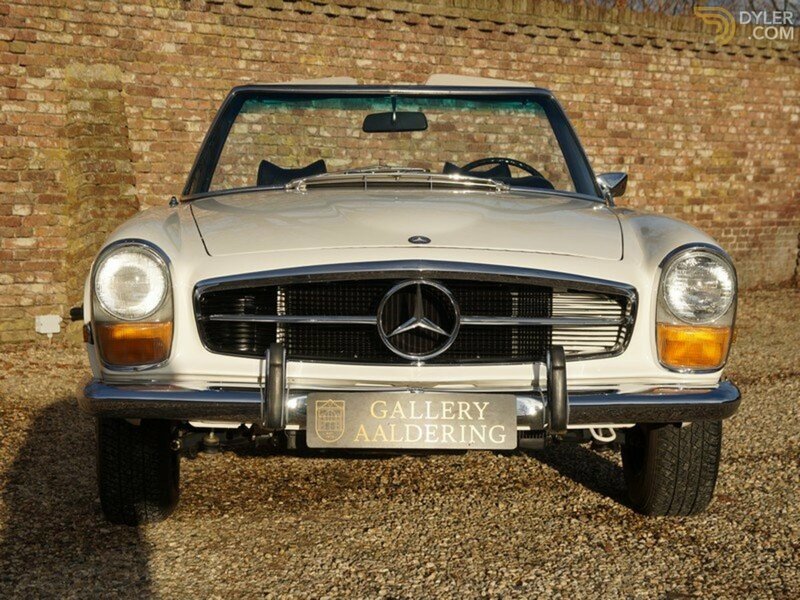 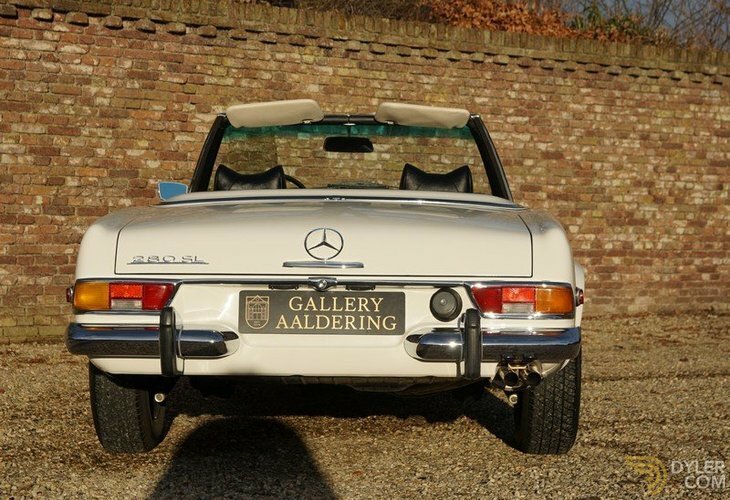 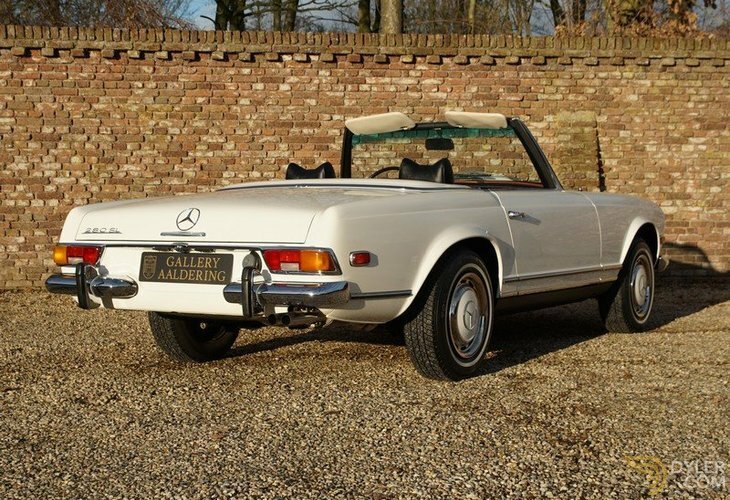 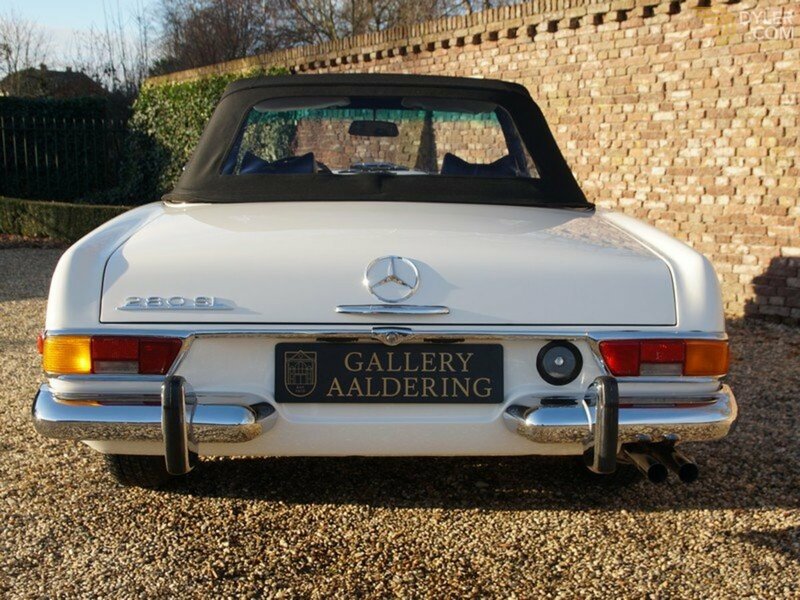 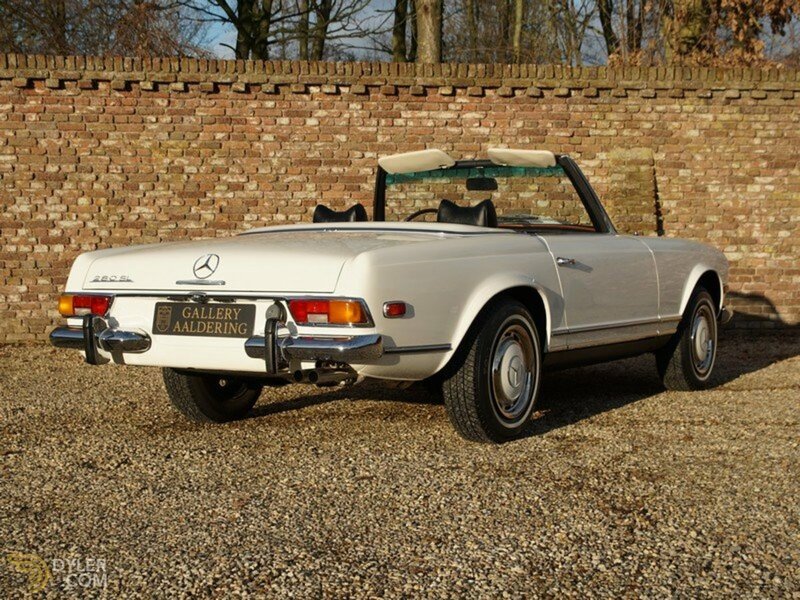 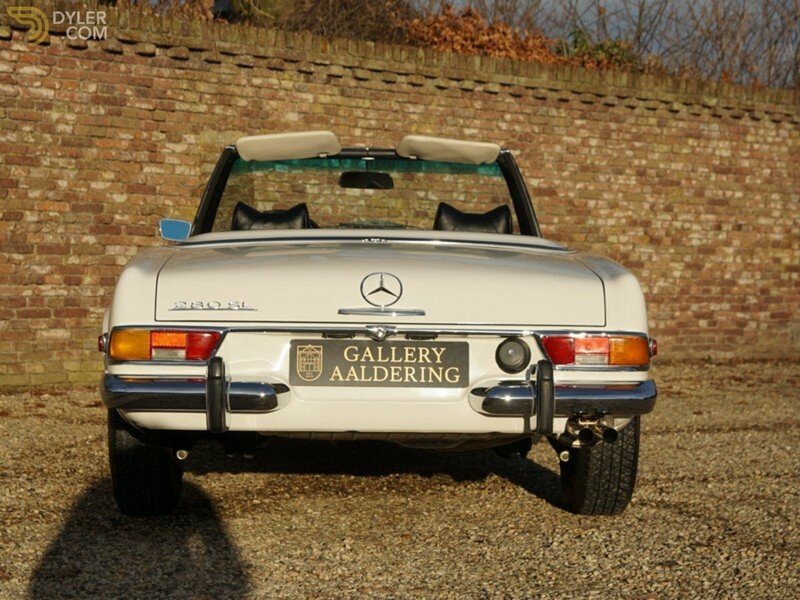 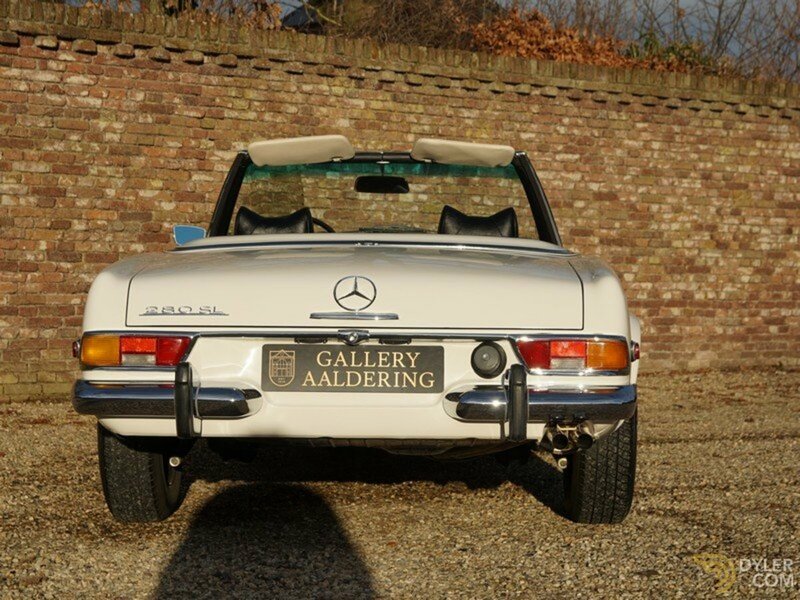 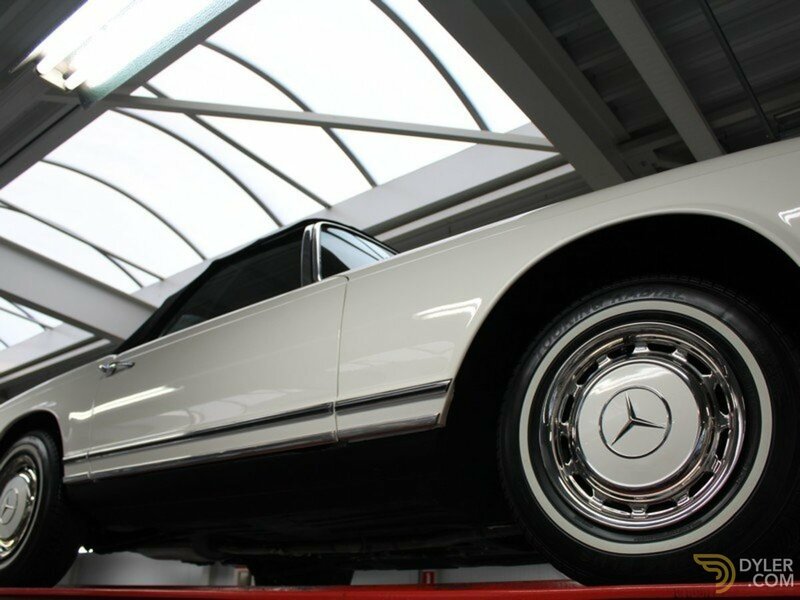 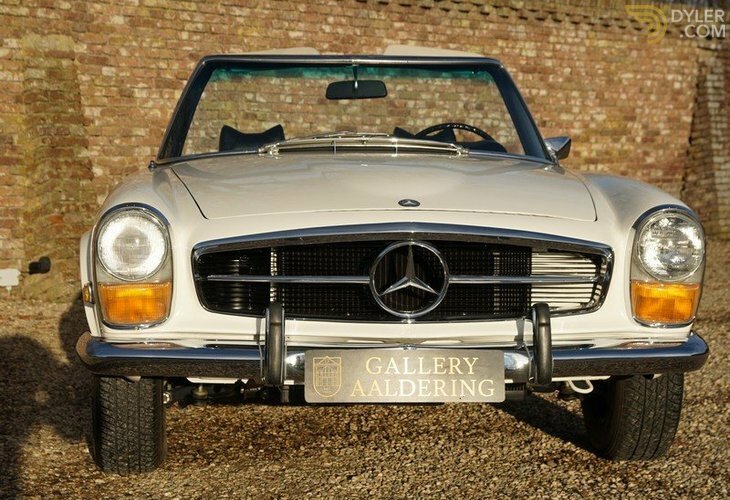 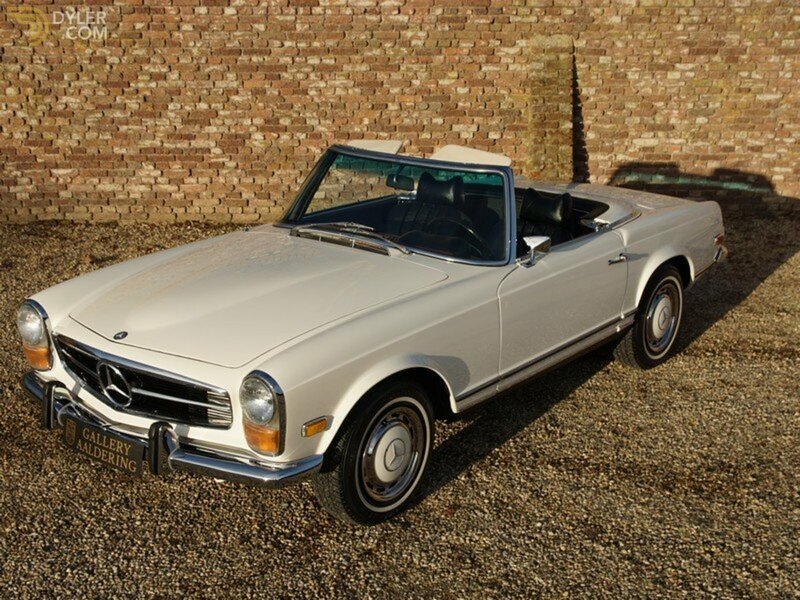 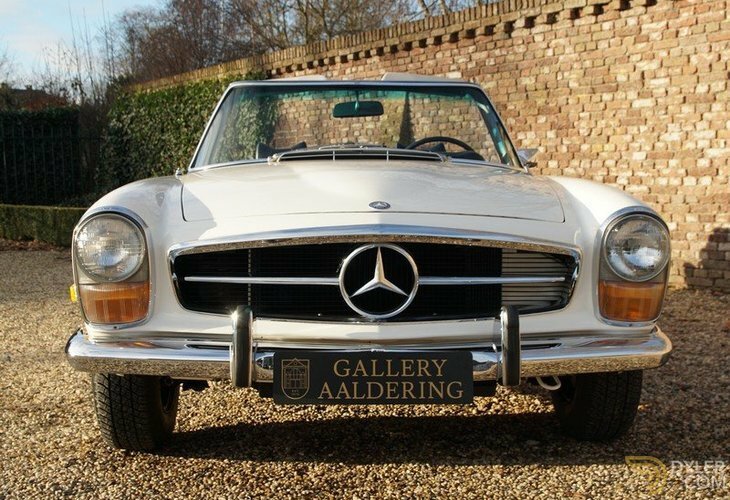 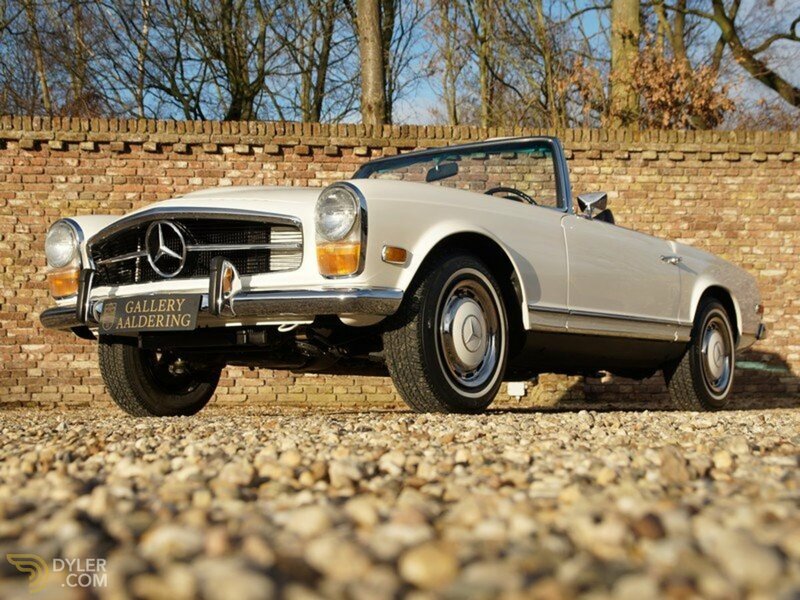 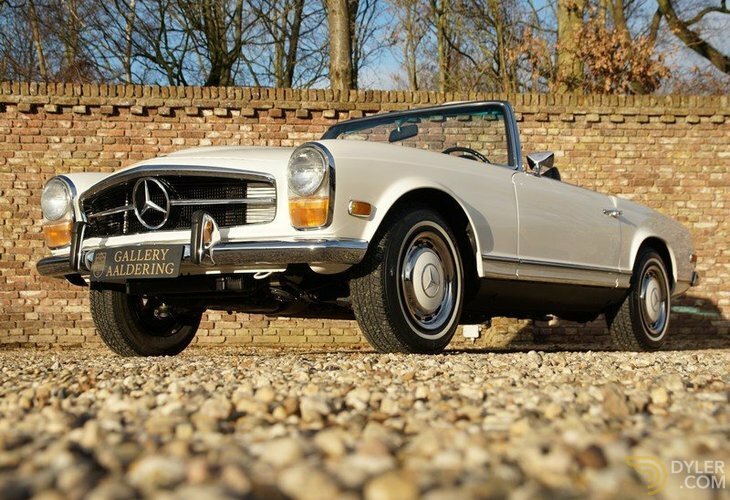 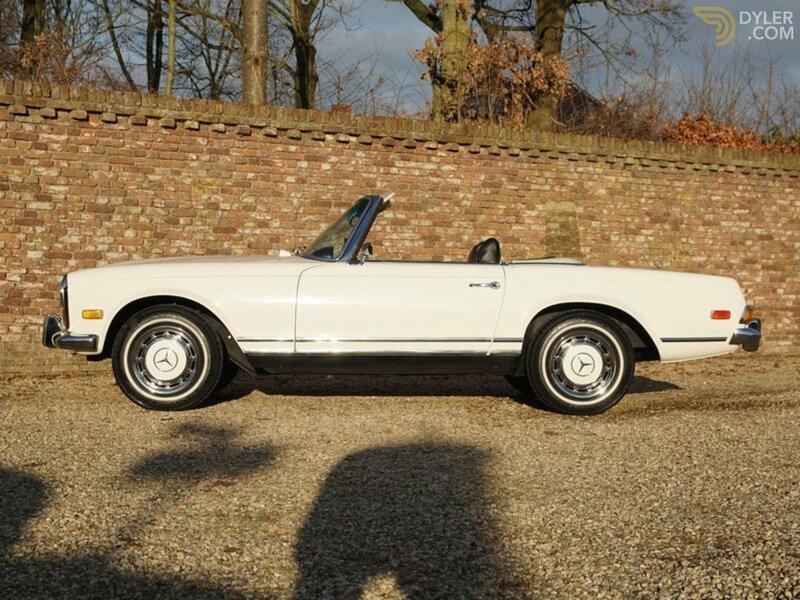 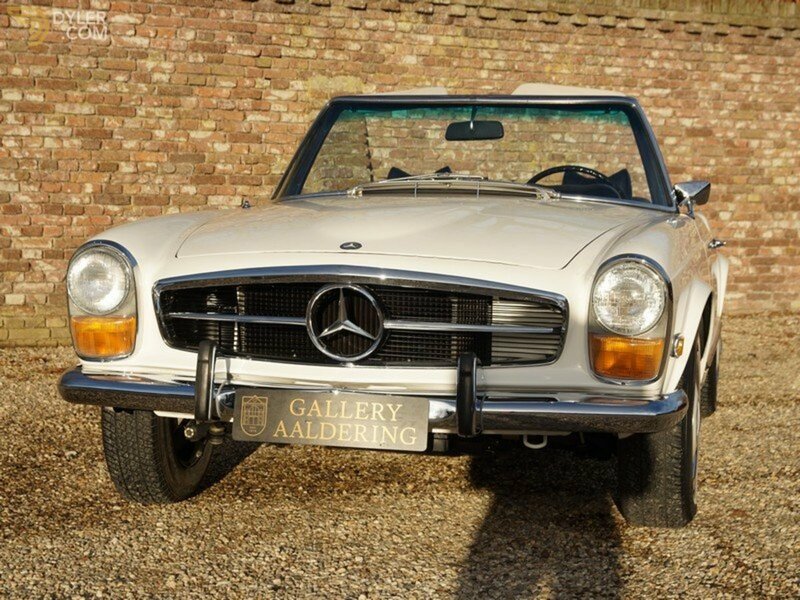 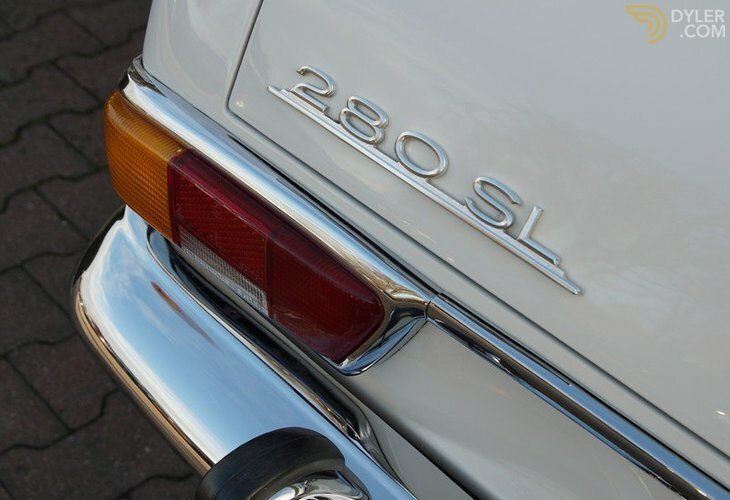 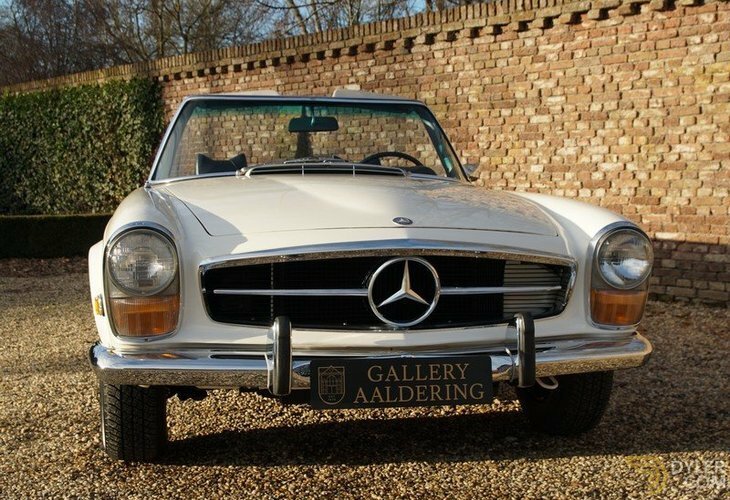 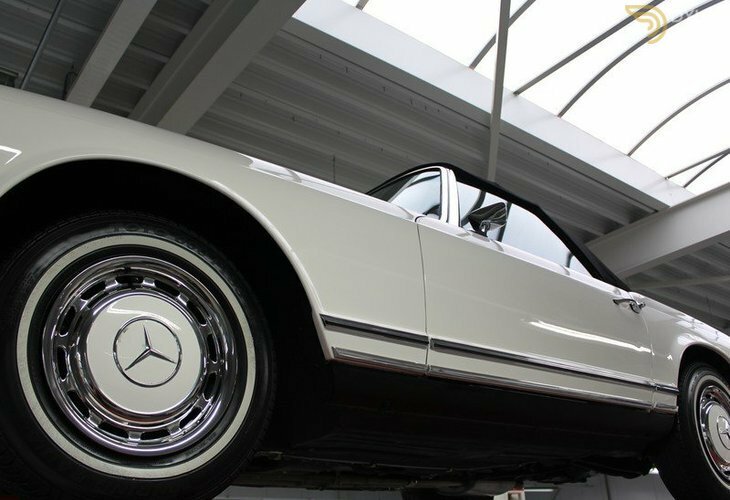 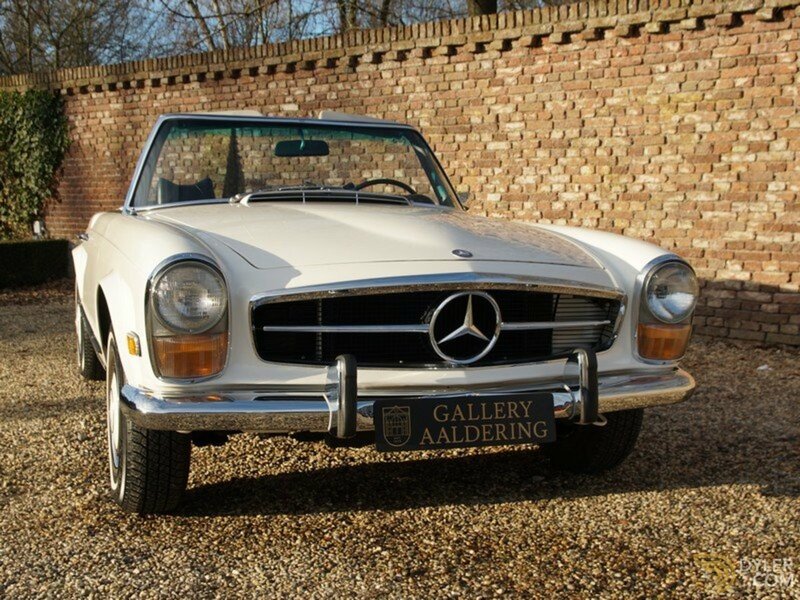 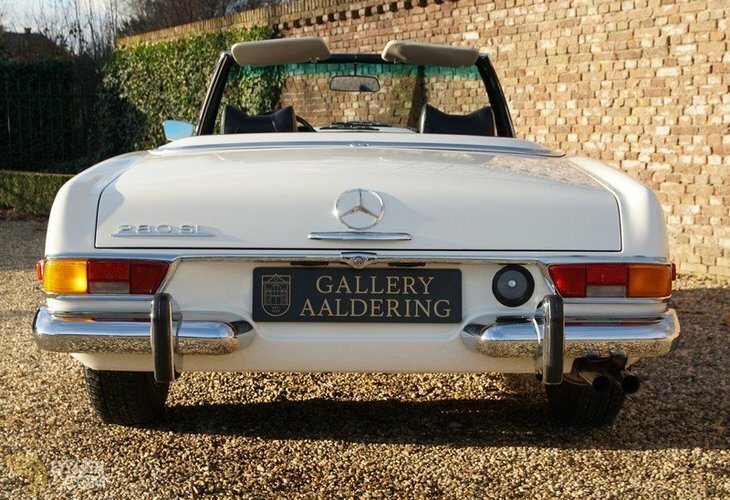 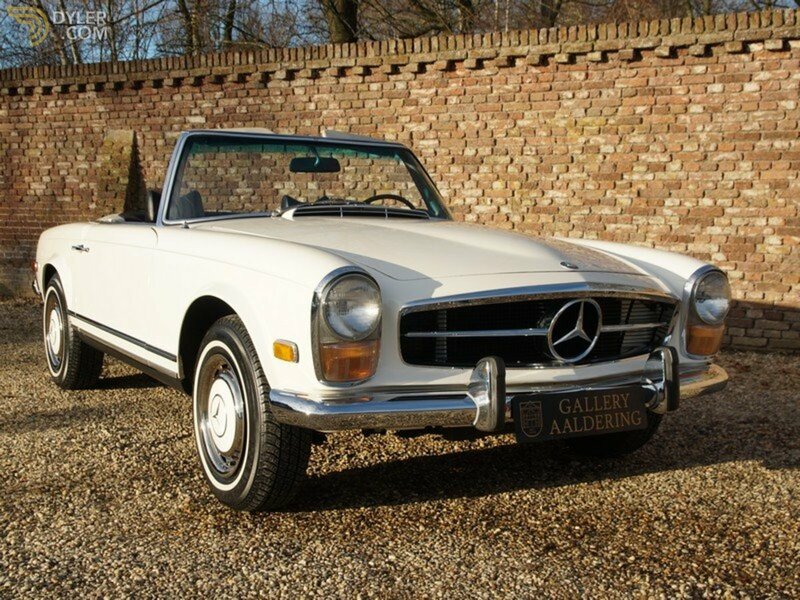 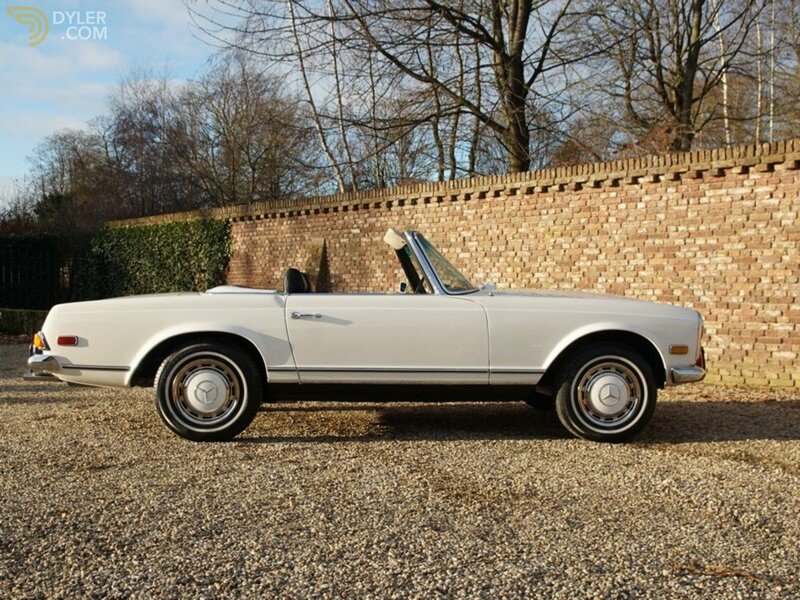 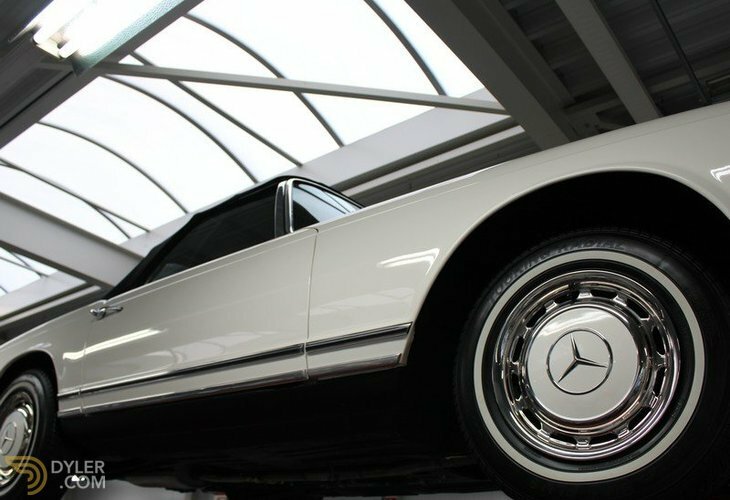 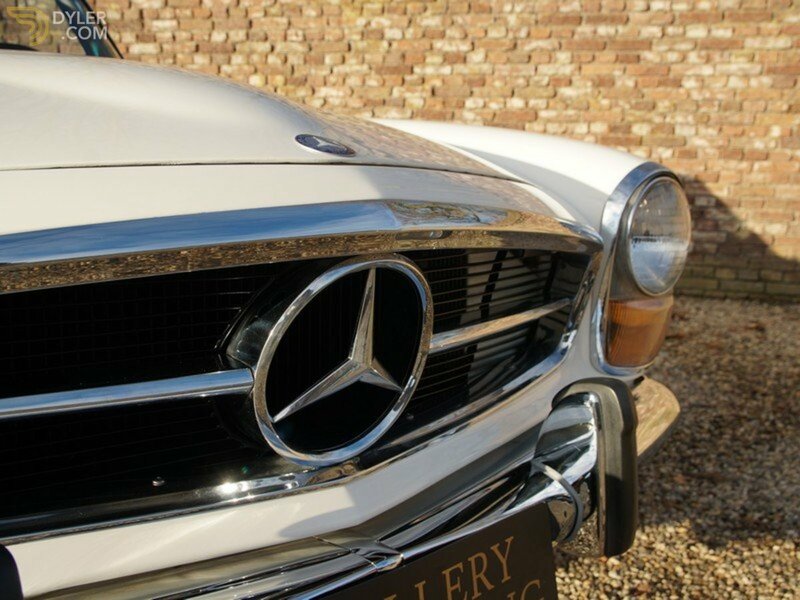 We have this simply stunning 1970 Mercedes Benz 280 SL Pagoda just waiting for a new owner! 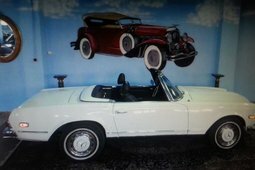 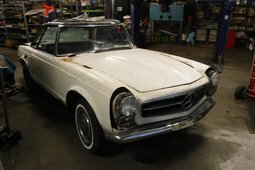 The last owner kept the car for 19 years in Washington, D.C. 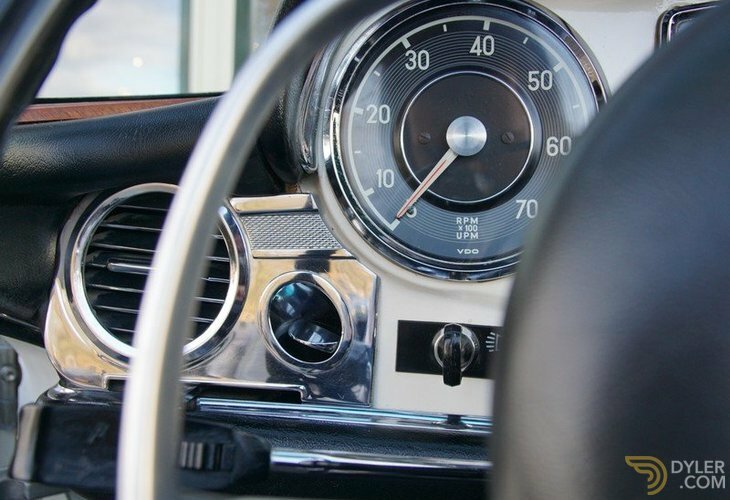 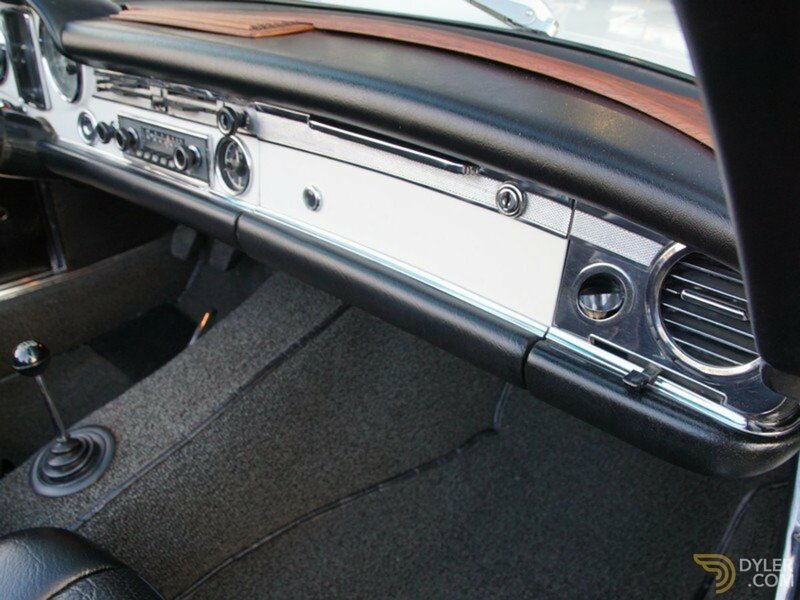 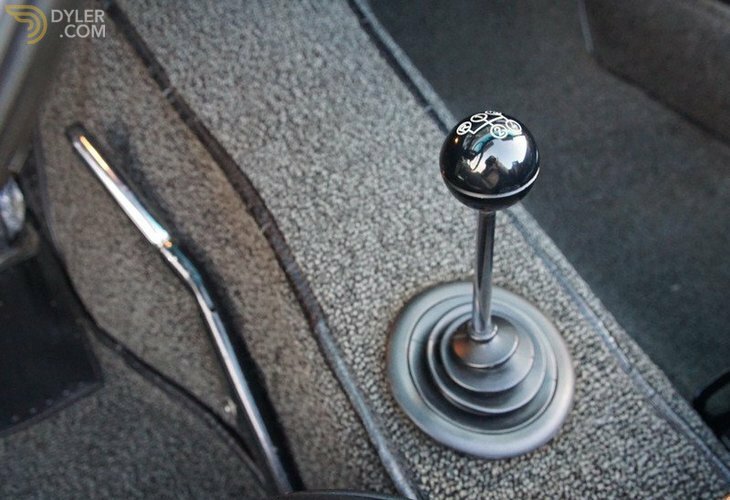 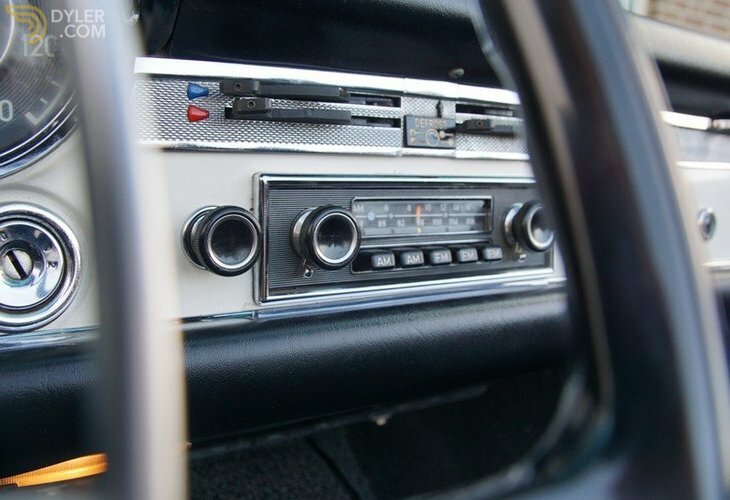 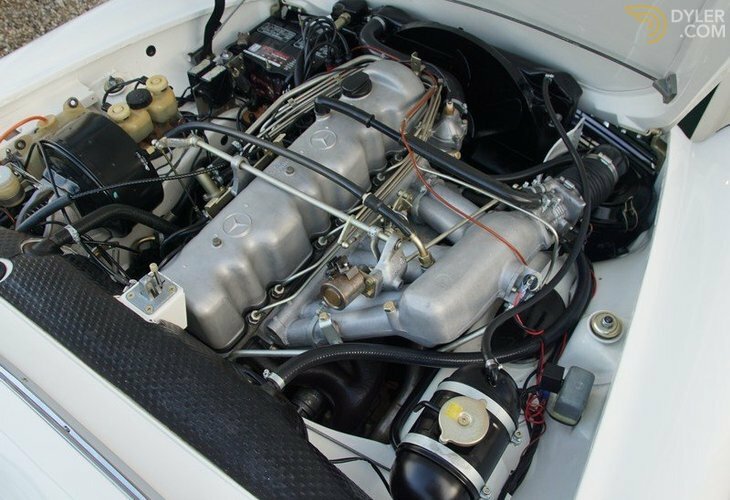 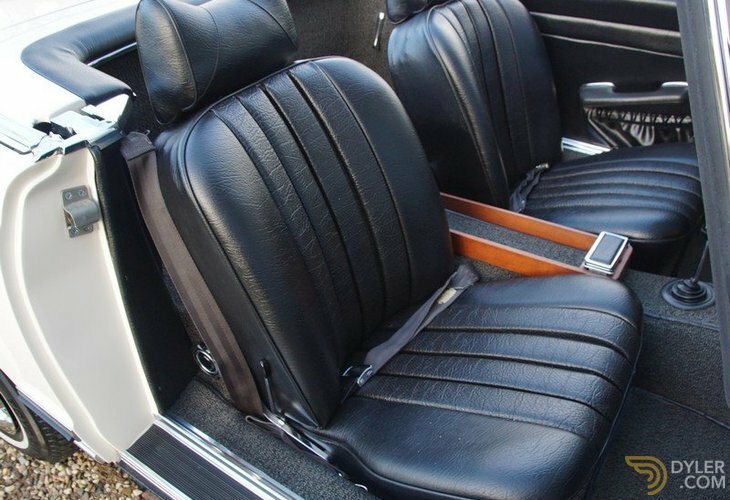 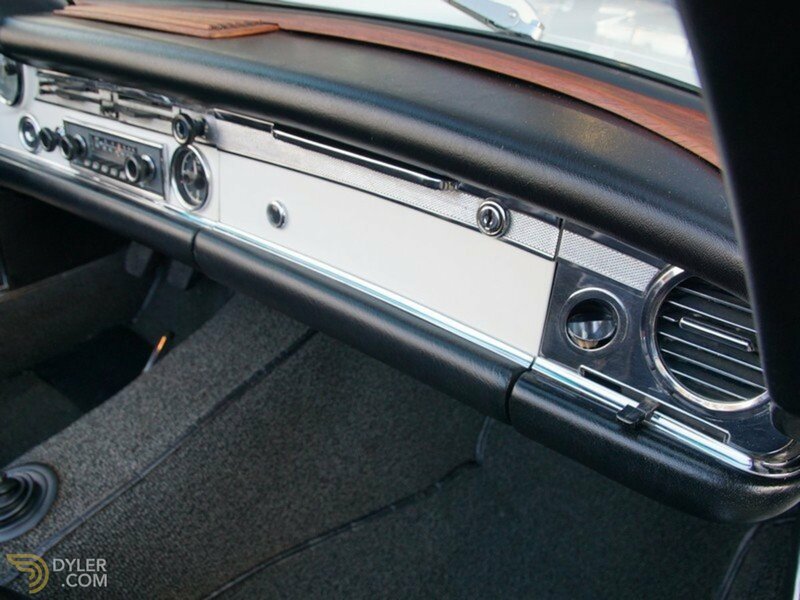 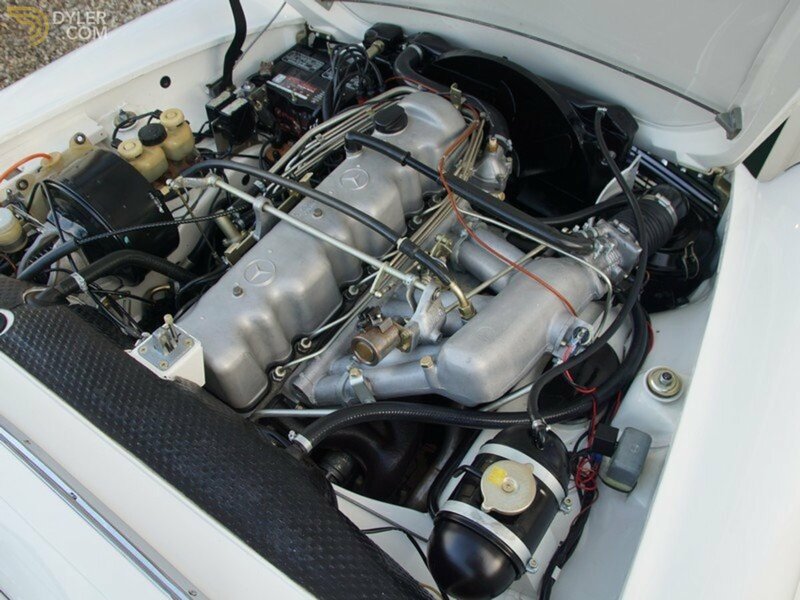 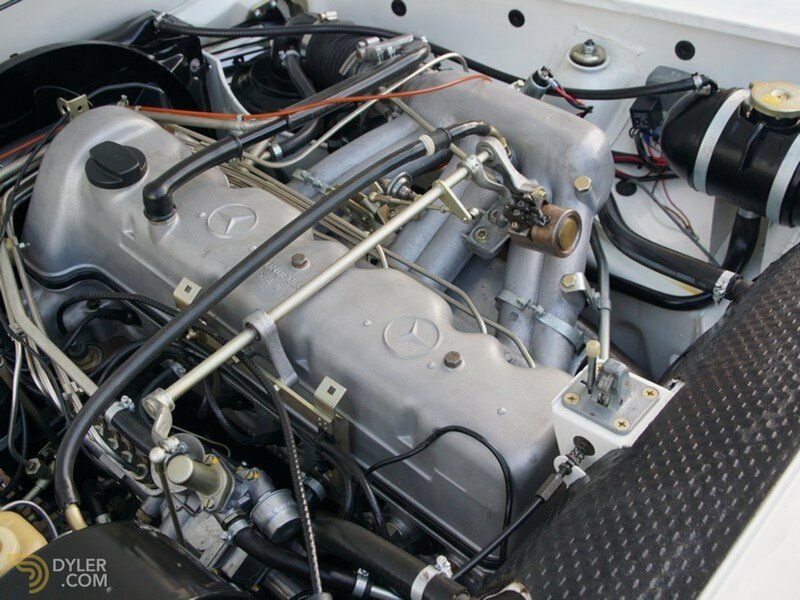 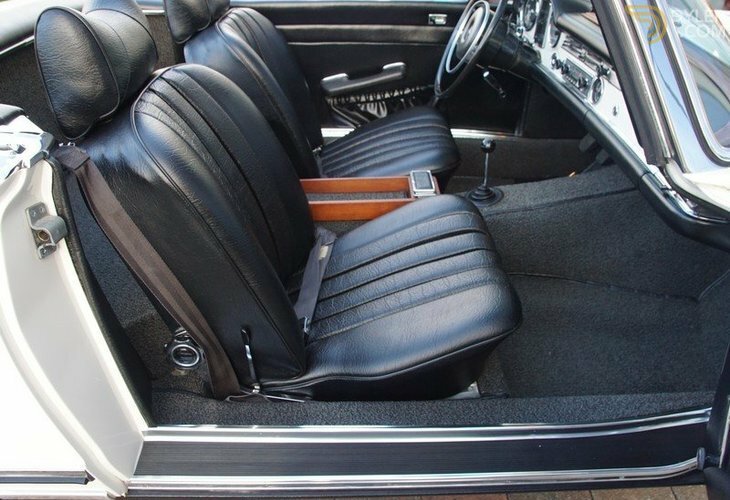 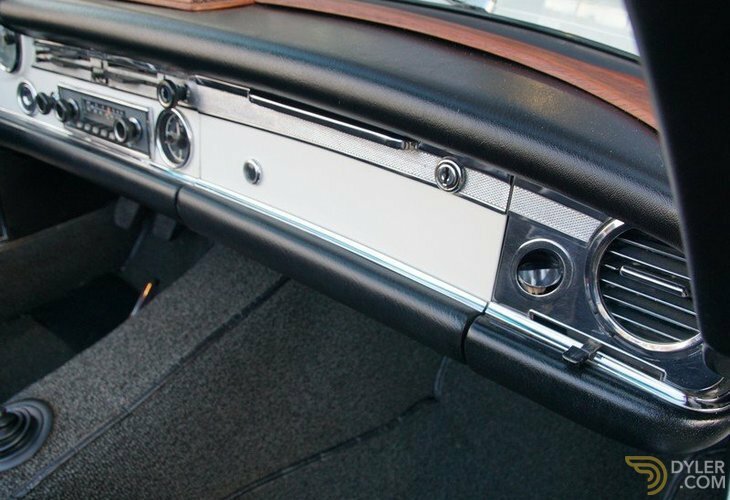 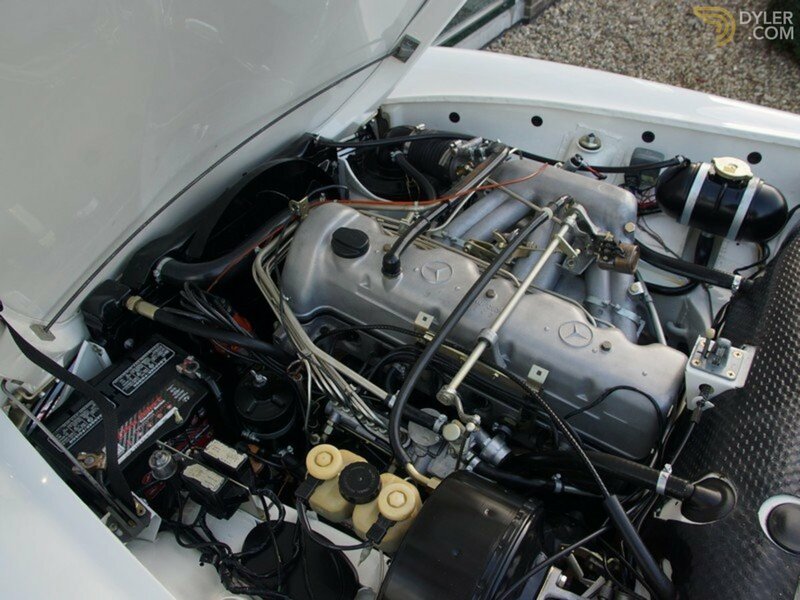 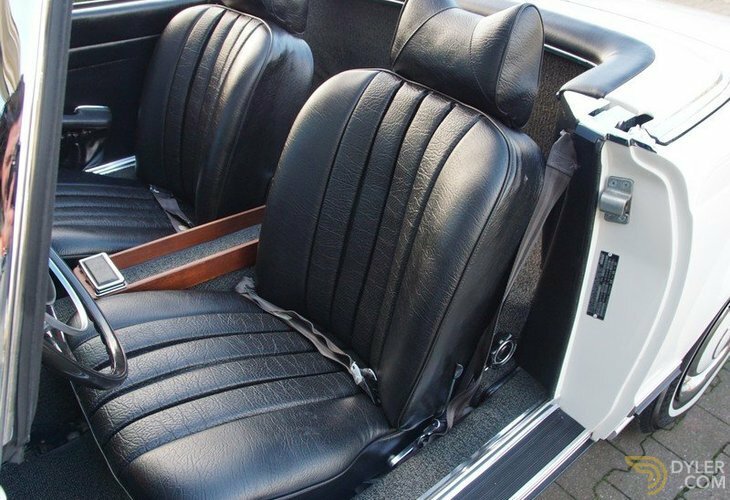 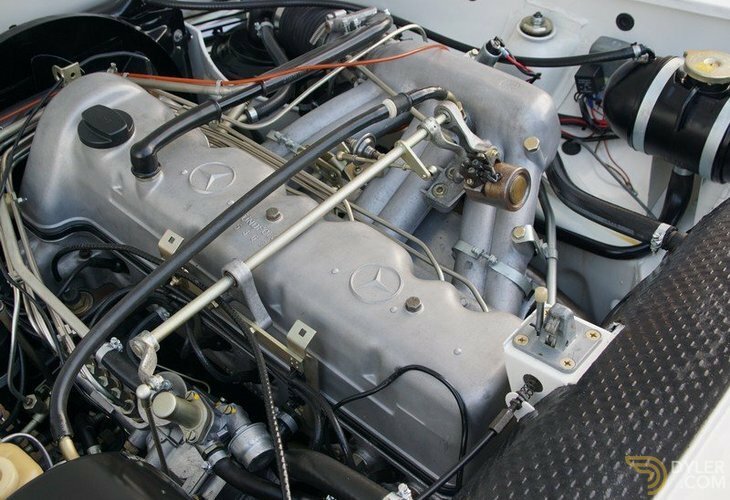 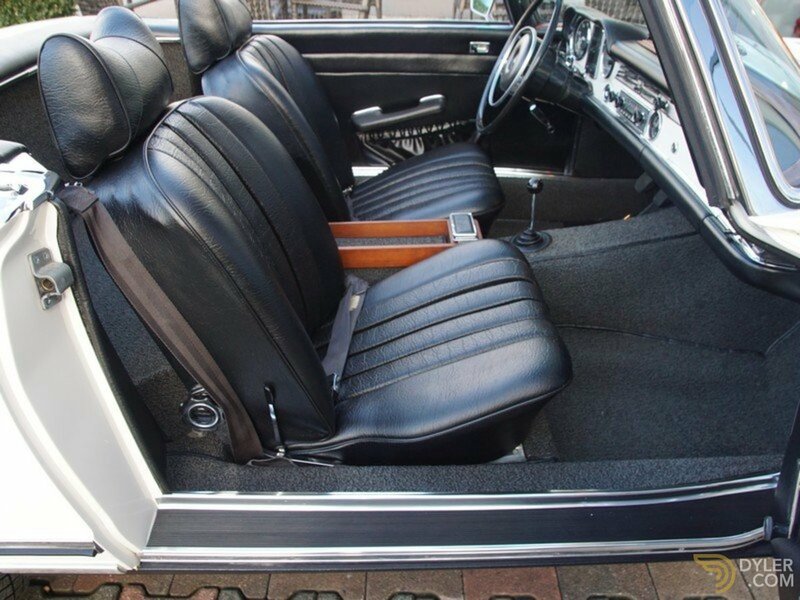 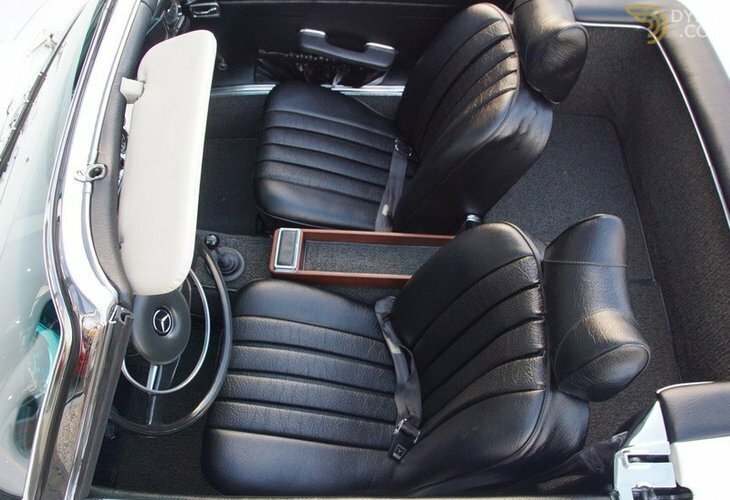 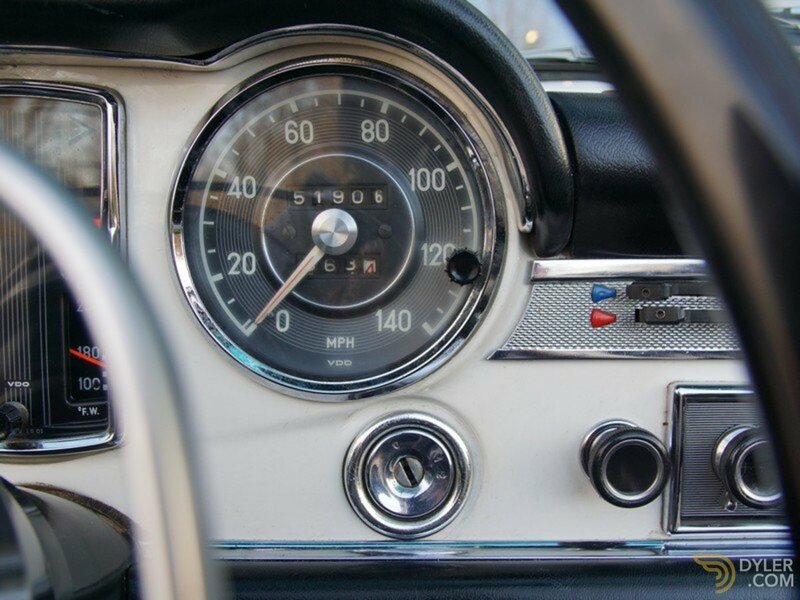 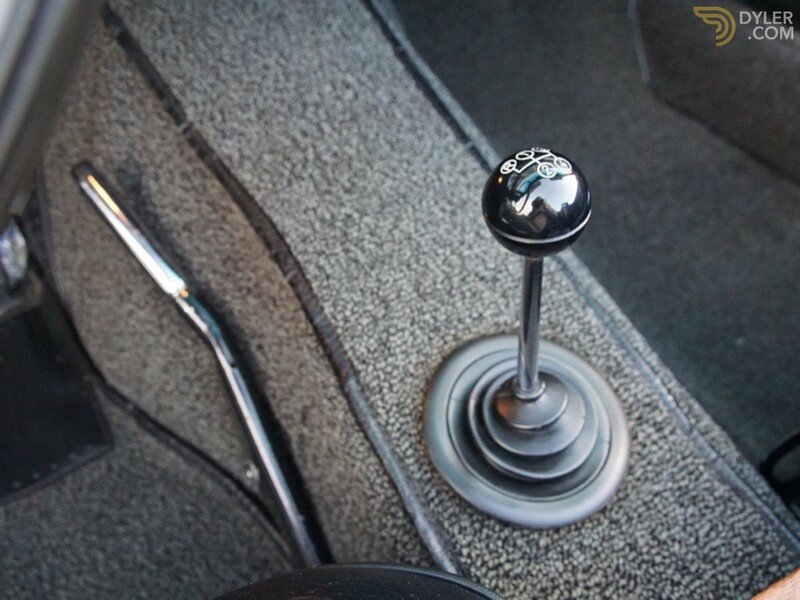 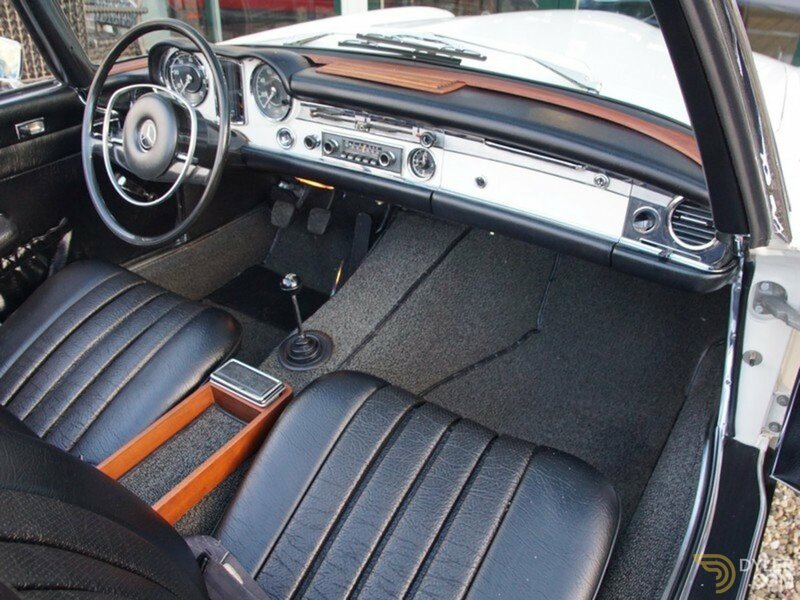 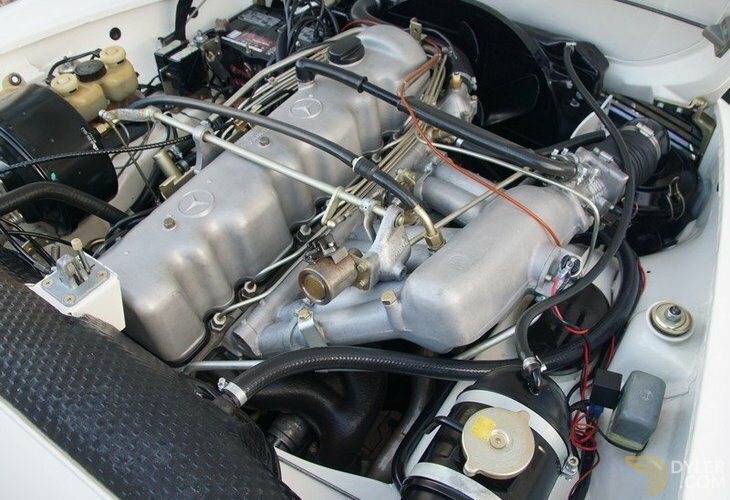 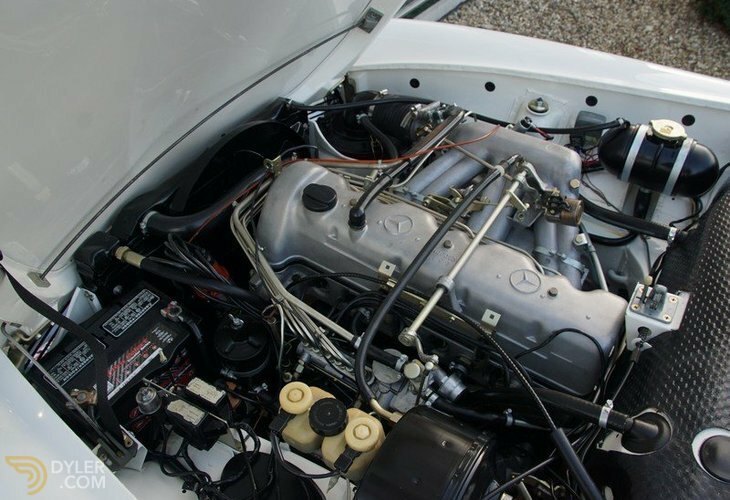 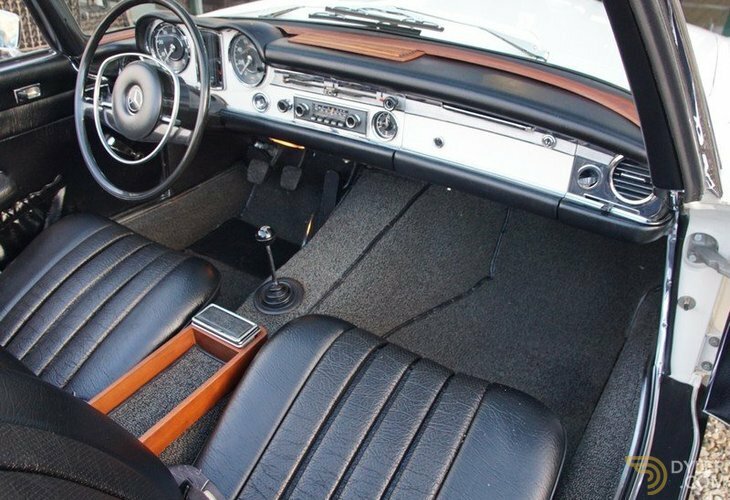 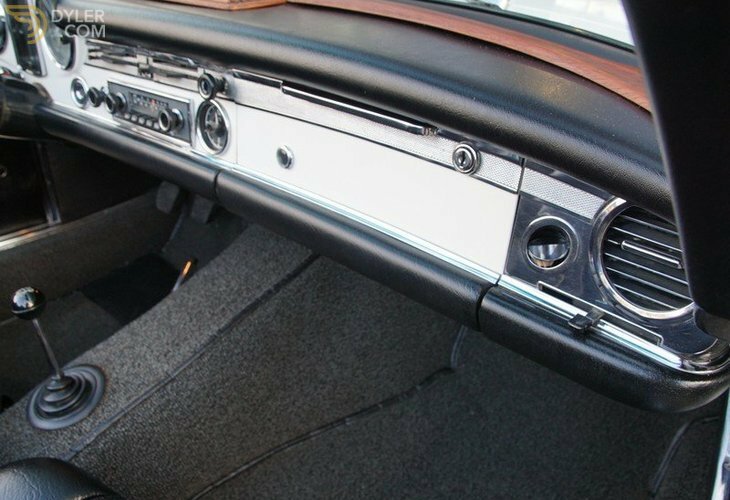 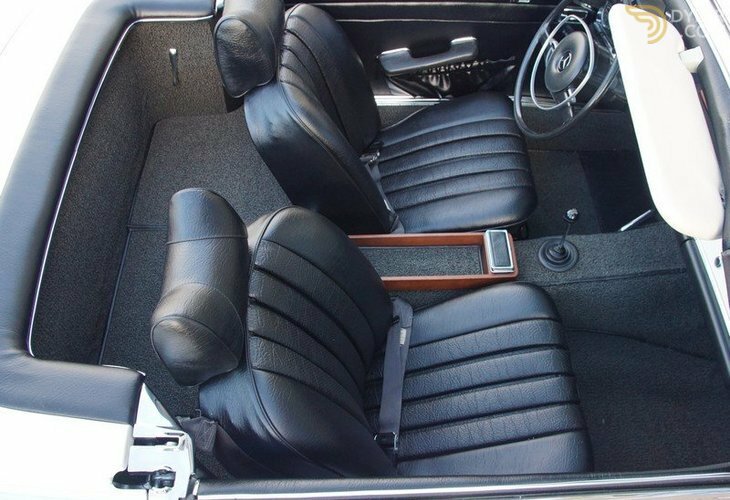 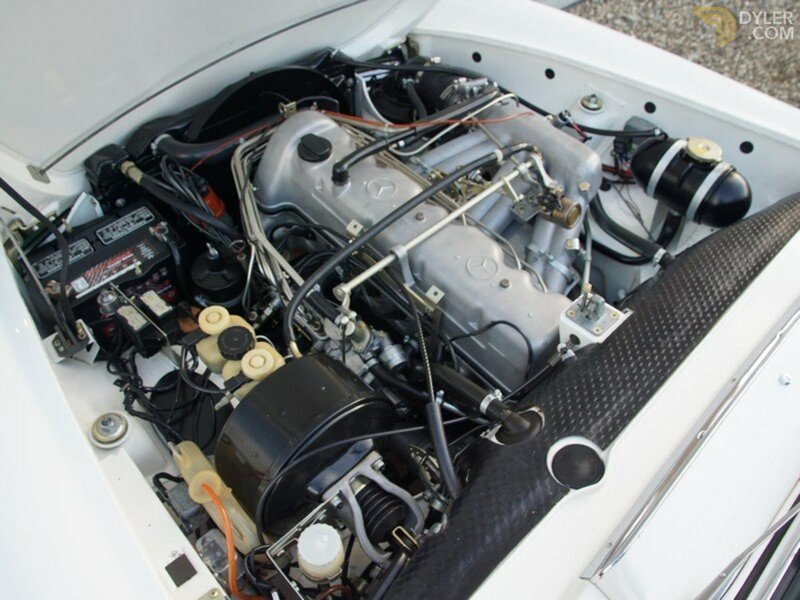 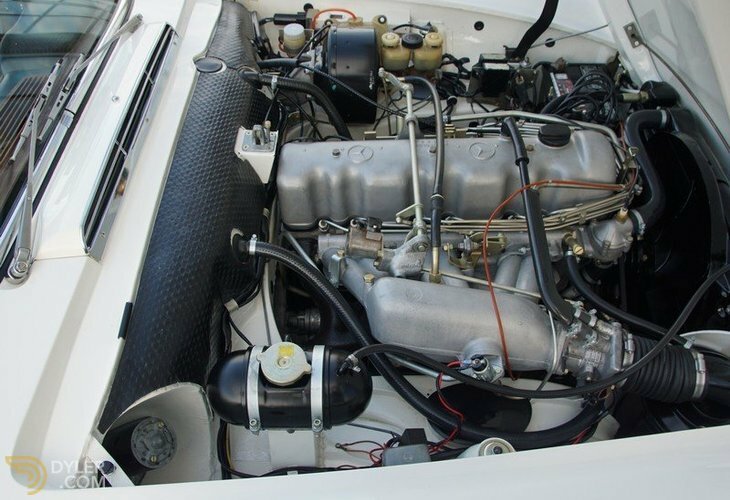 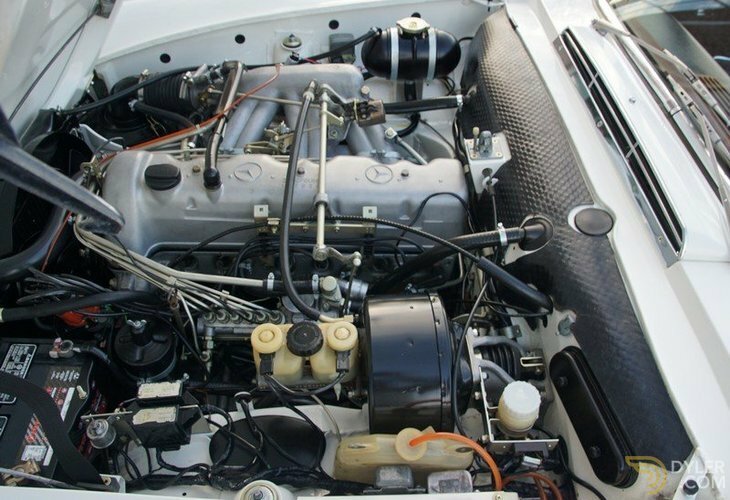 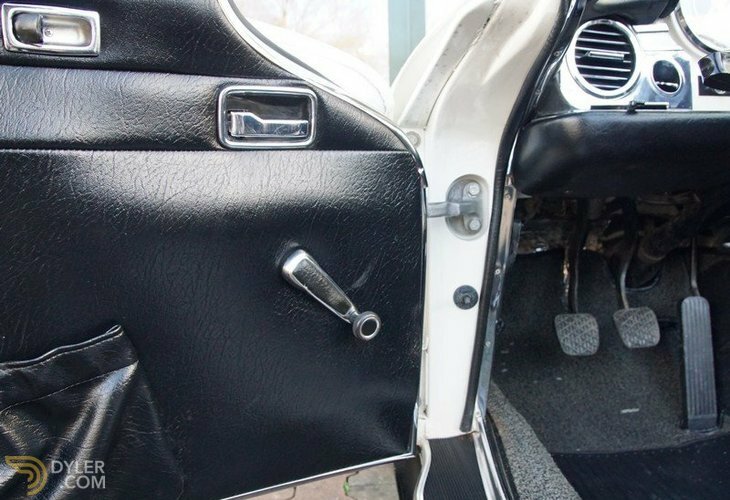 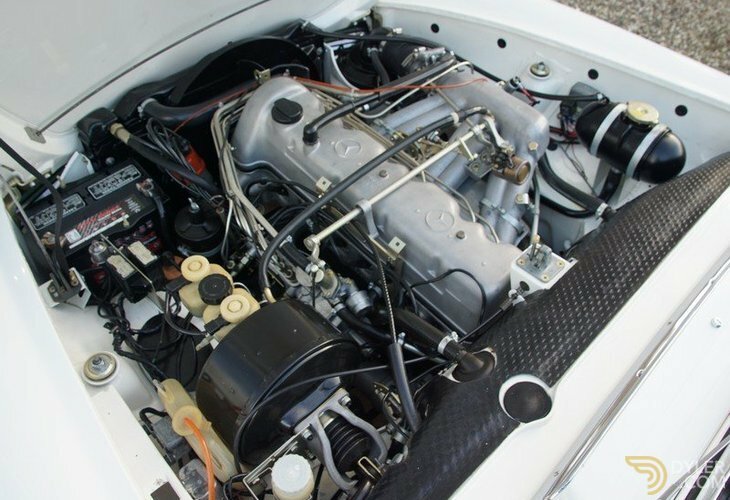 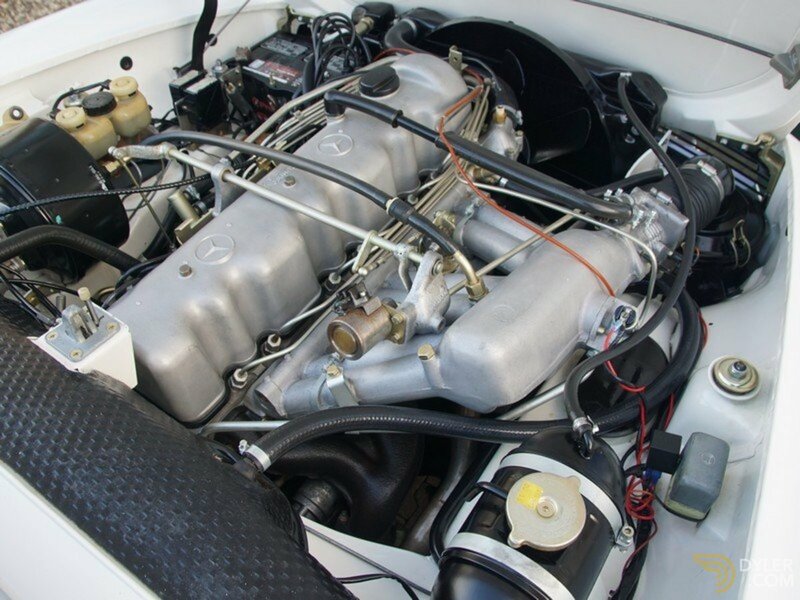 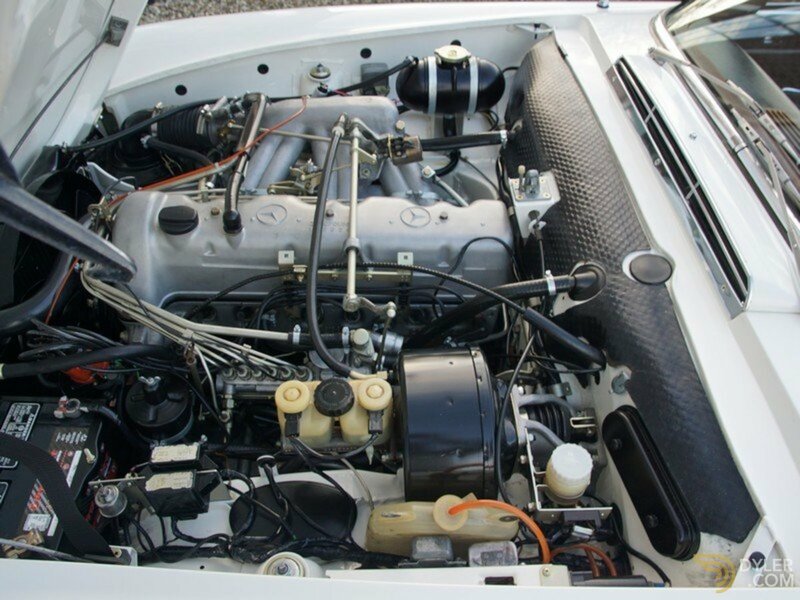 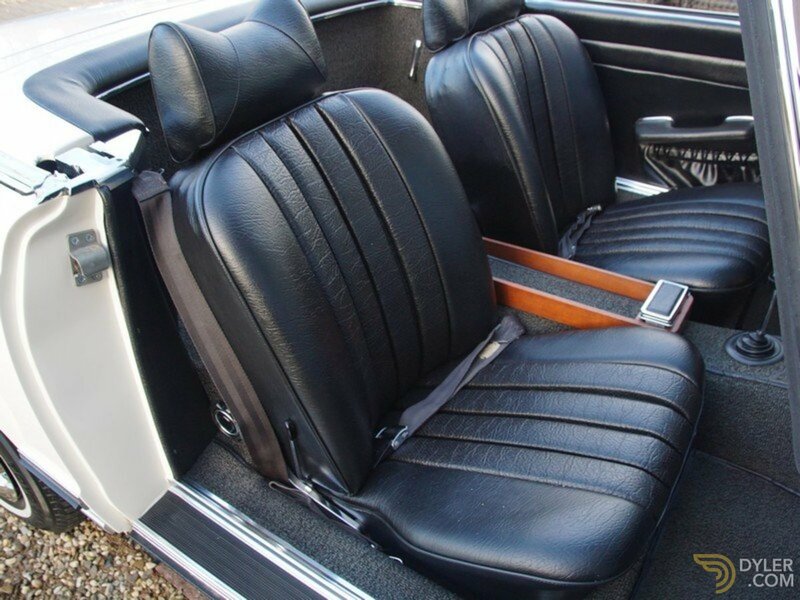 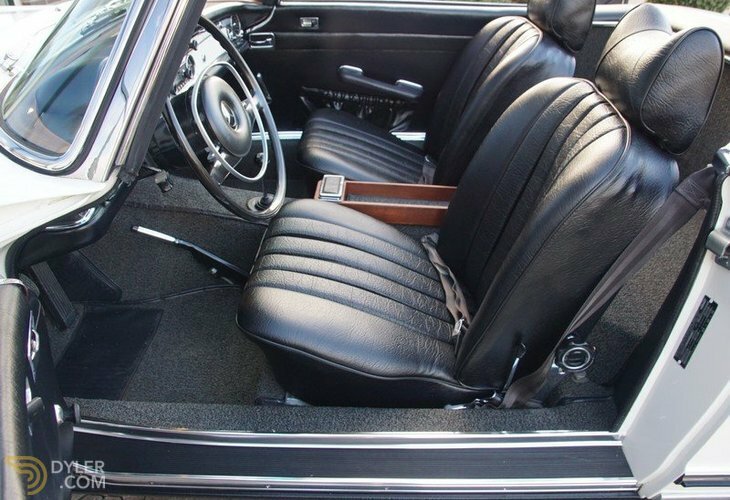 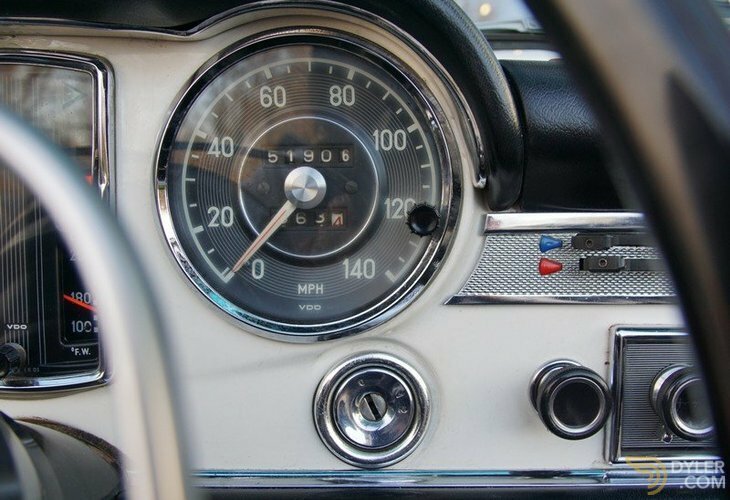 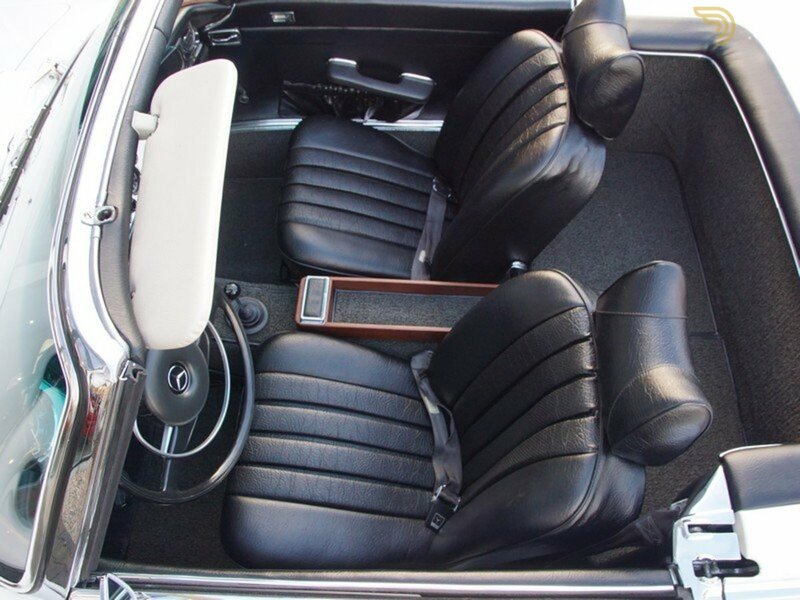 This 1970 manual version was completely restored and mechanically overhauled in 2004. 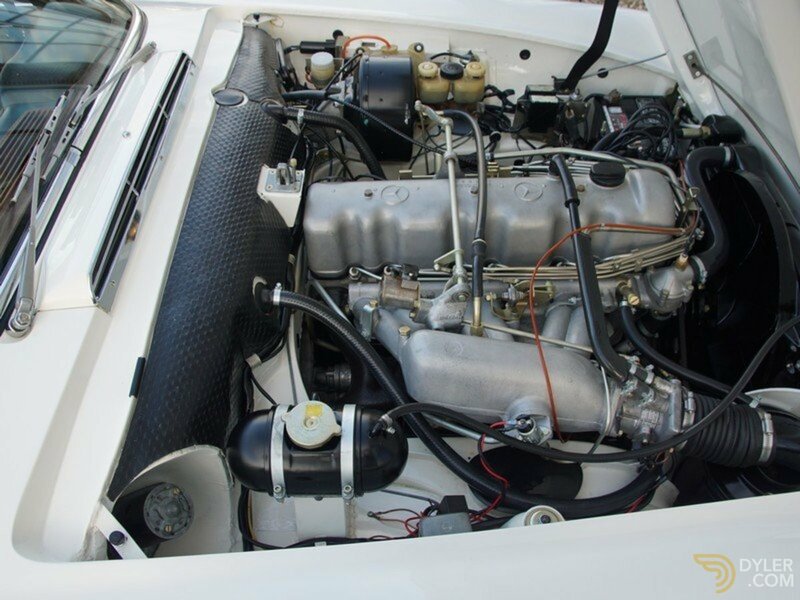 The accompanying documentation shows that every effort and expense was lavished on this process. 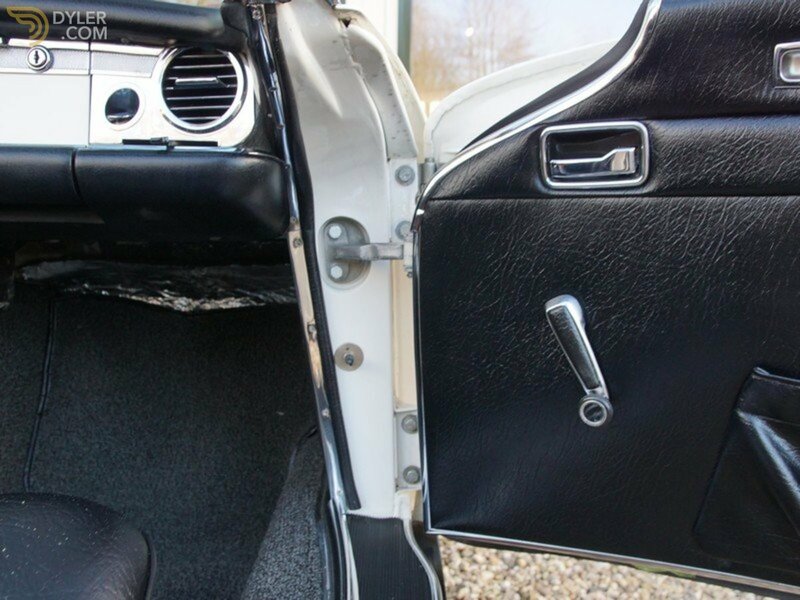 This has resulted in high quality finished car. 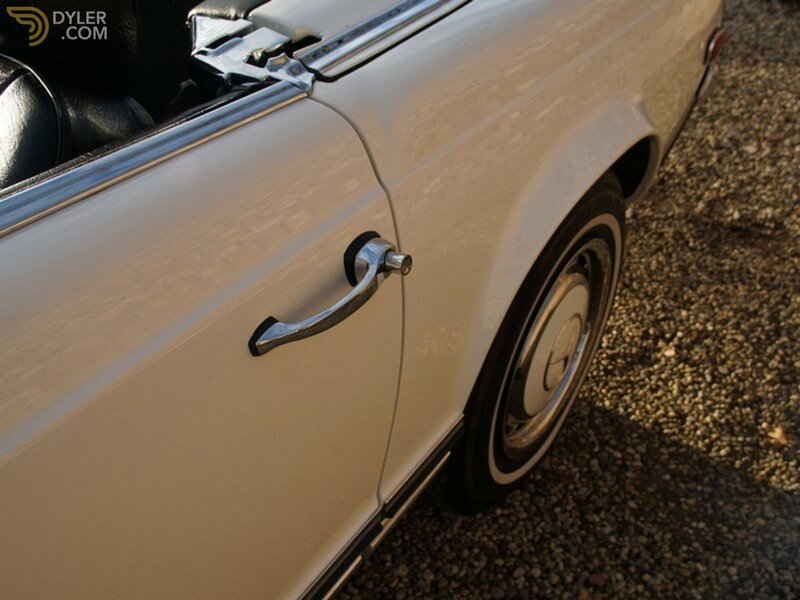 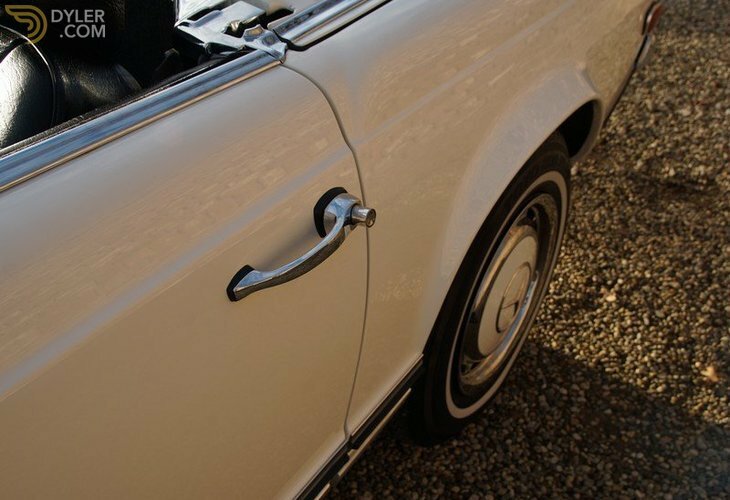 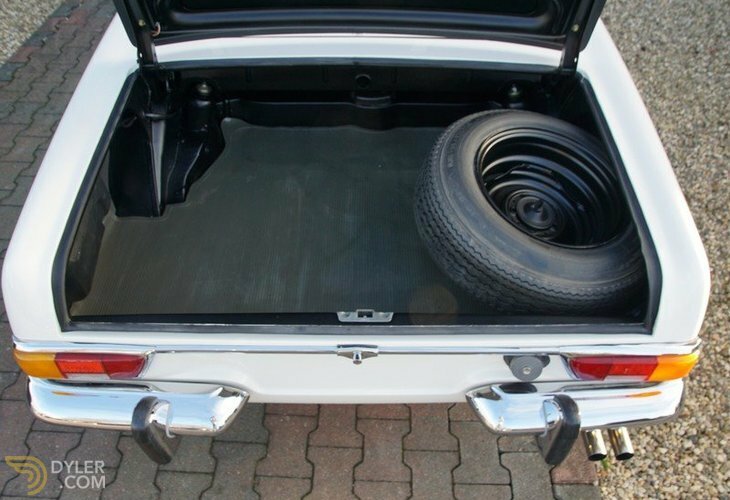 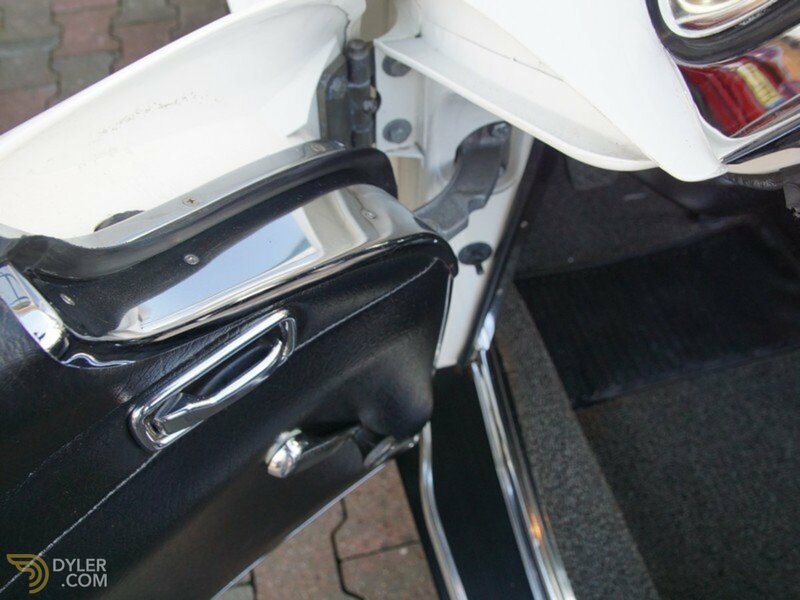 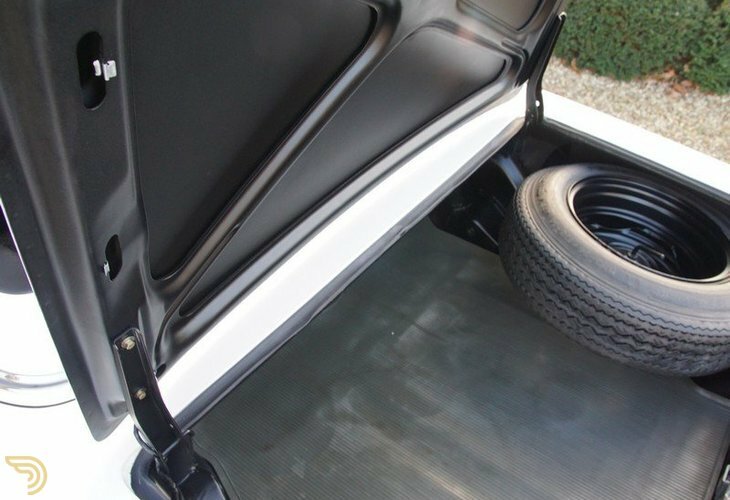 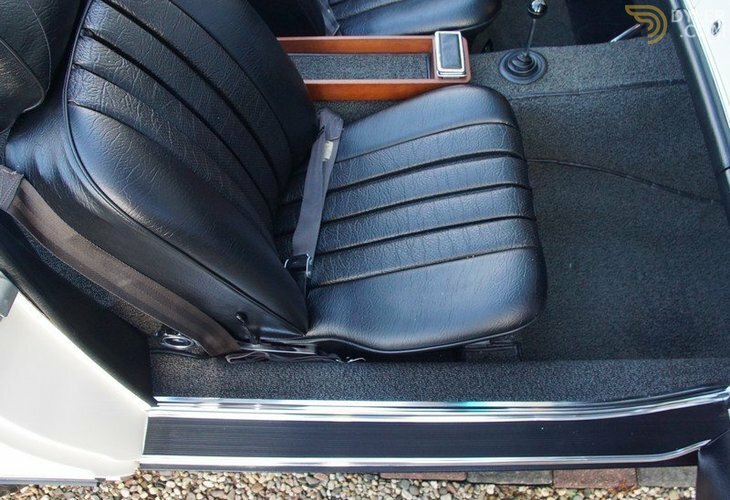 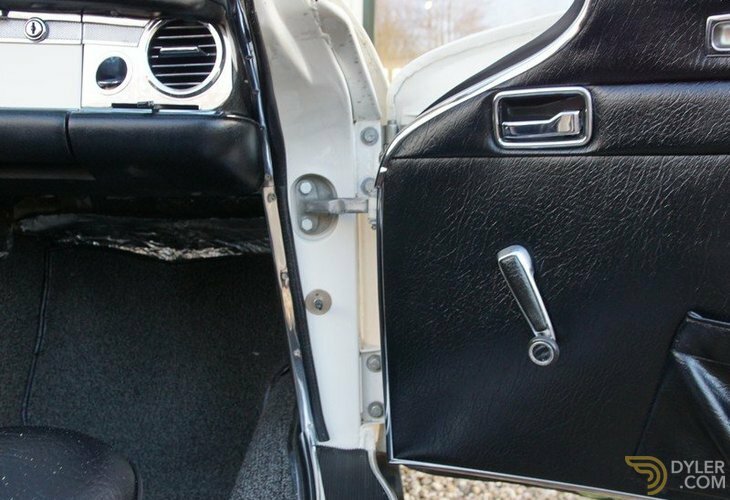 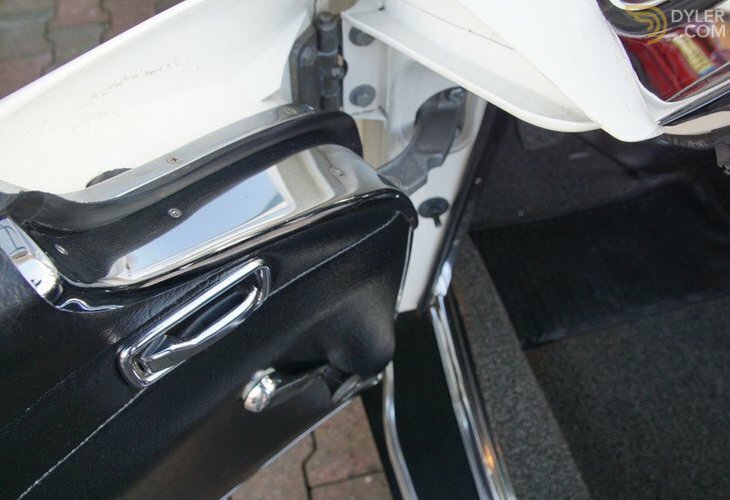 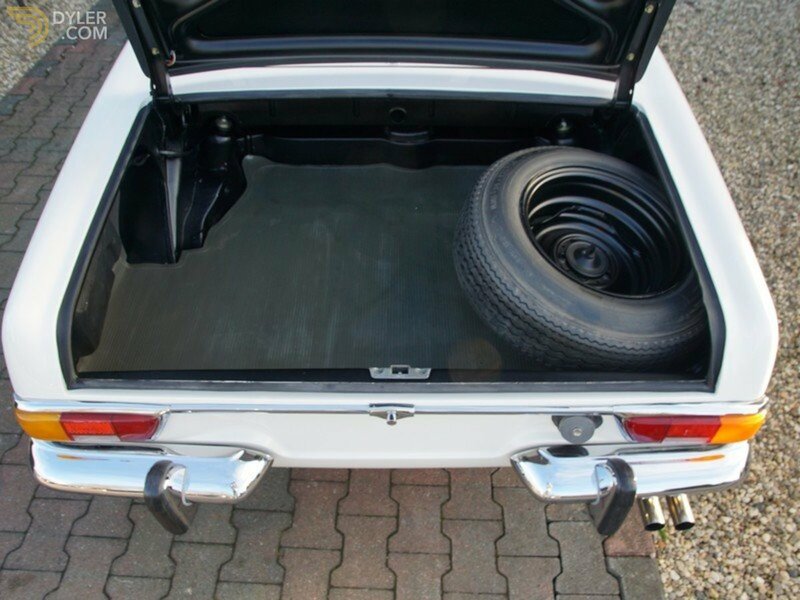 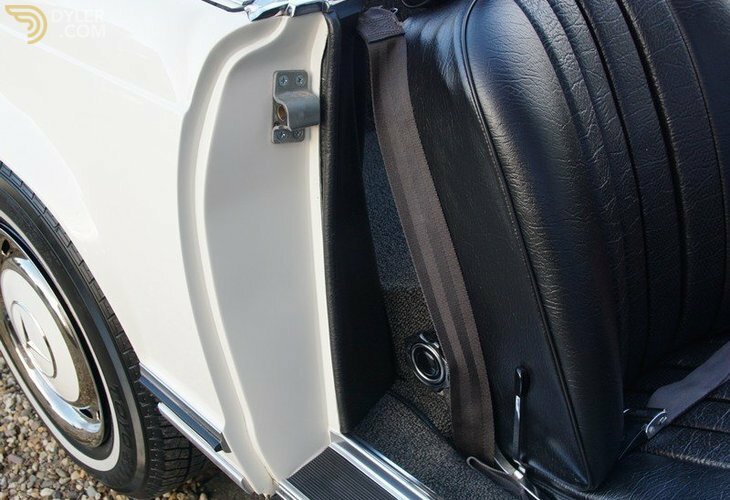 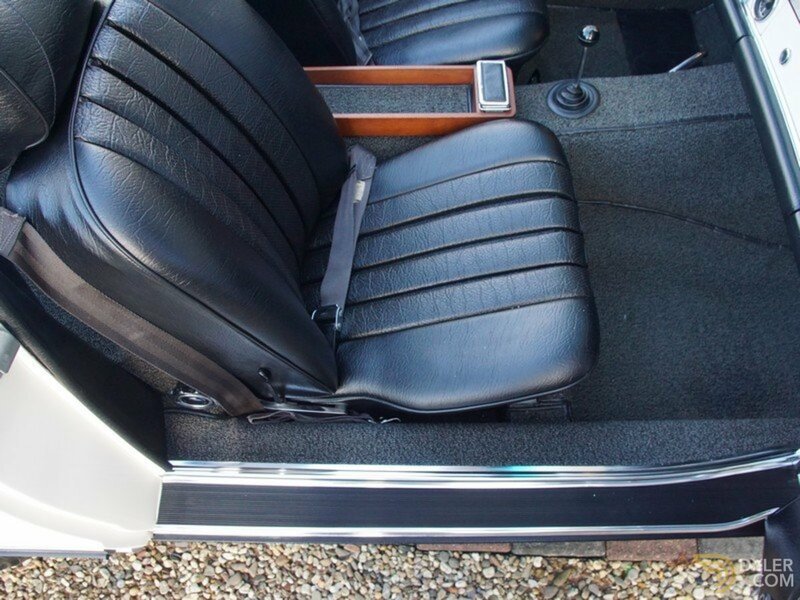 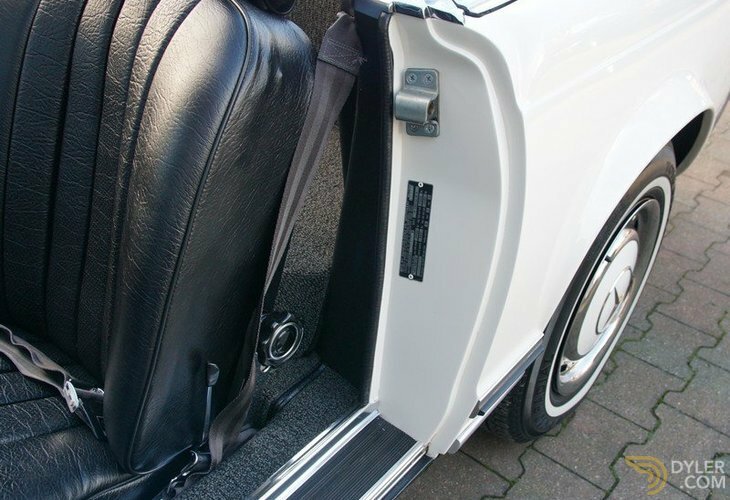 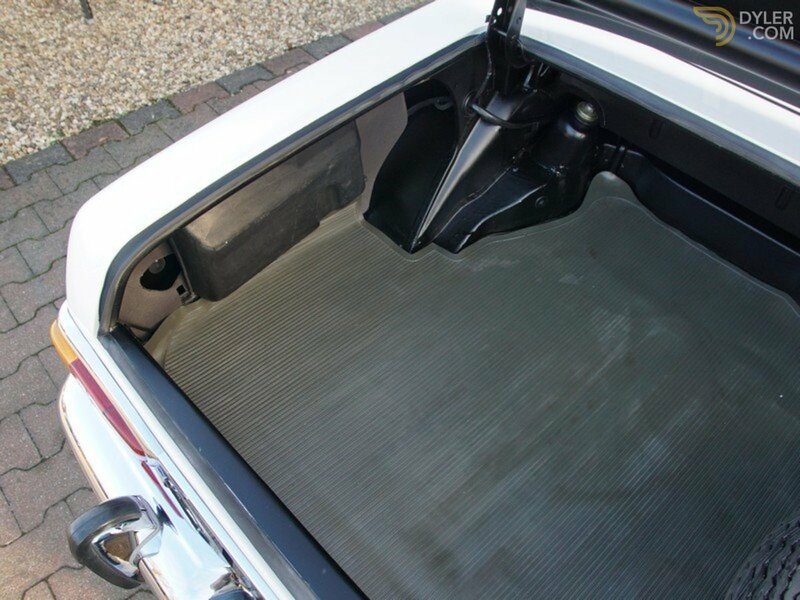 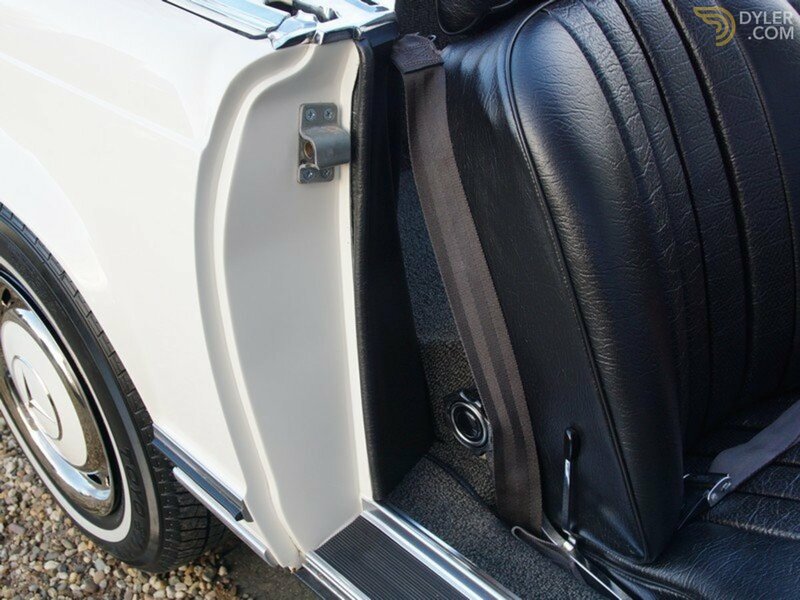 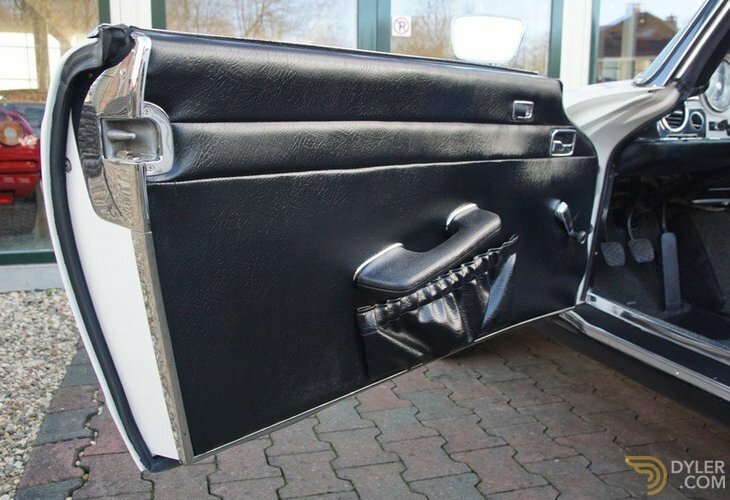 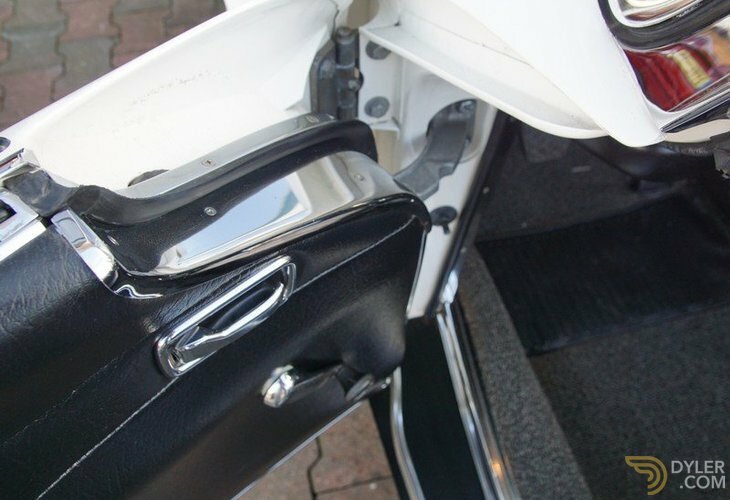 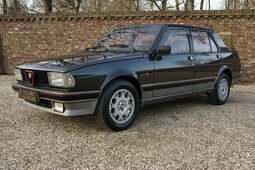 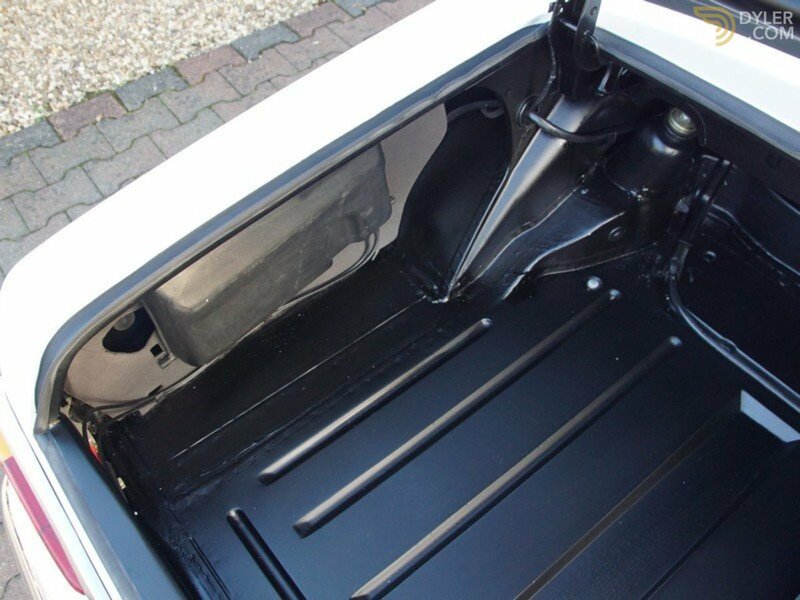 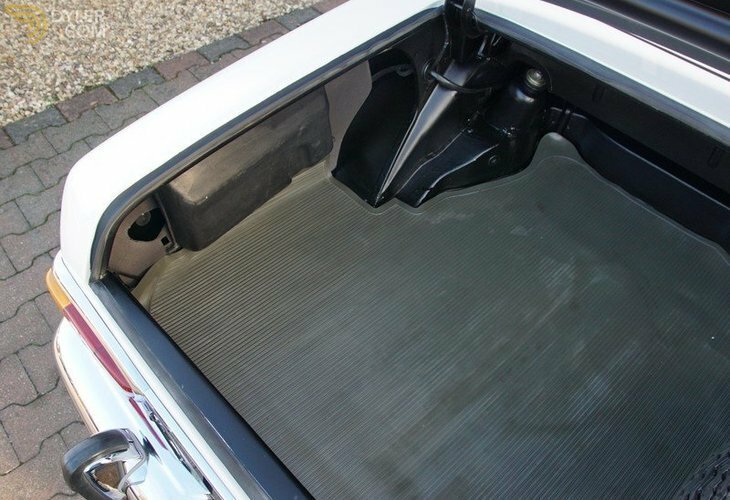 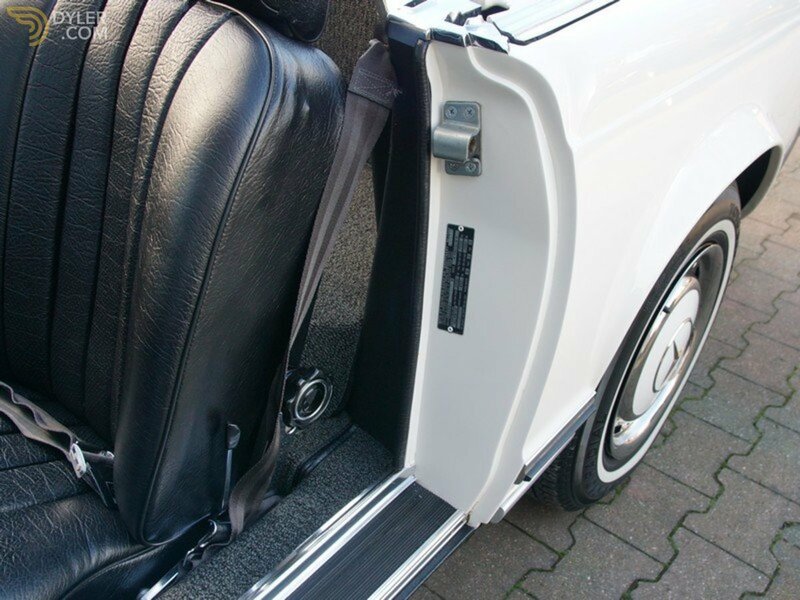 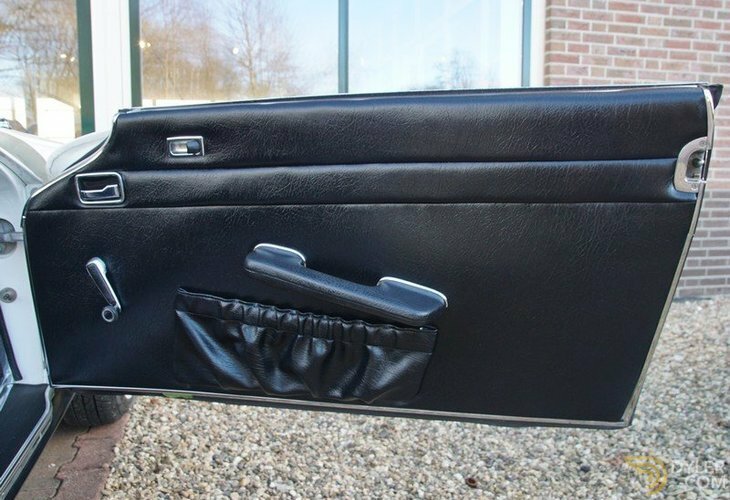 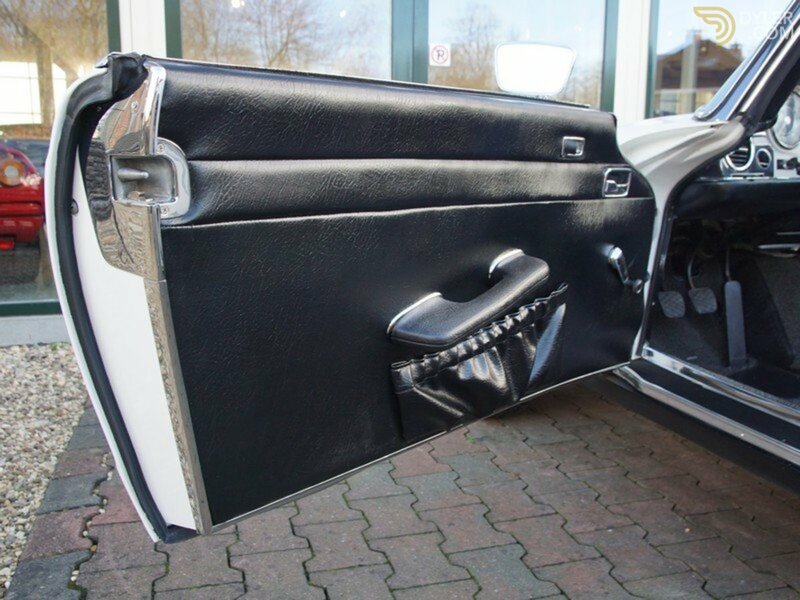 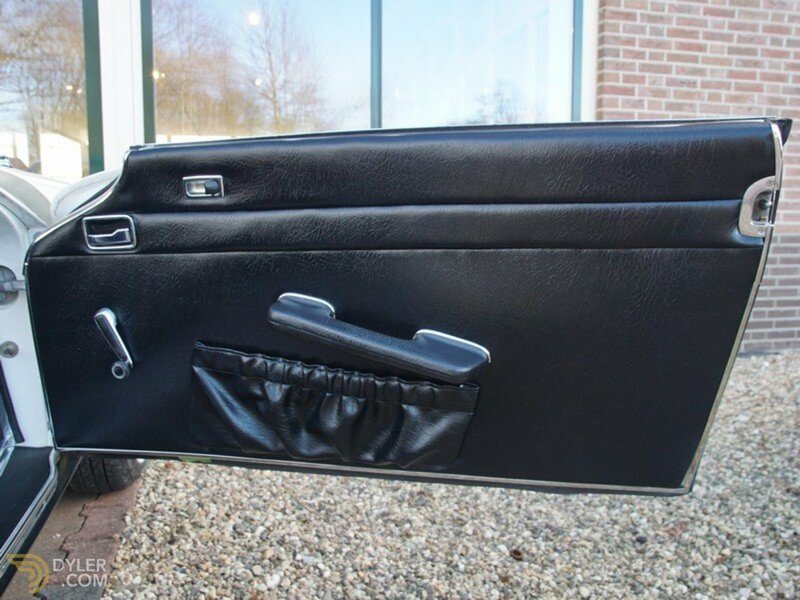 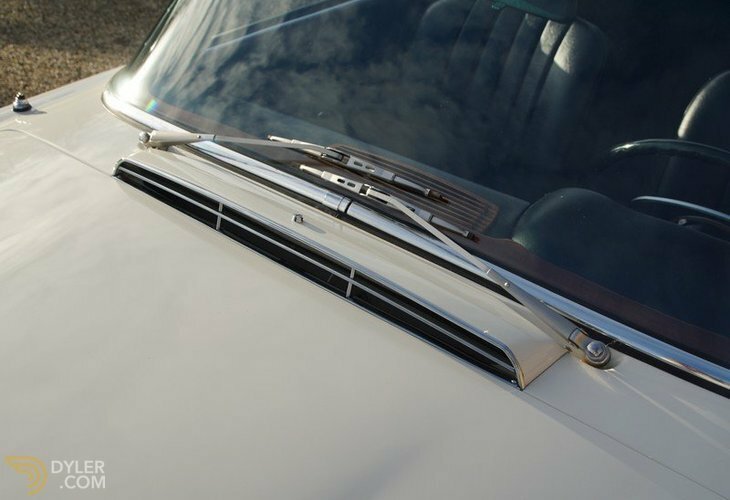 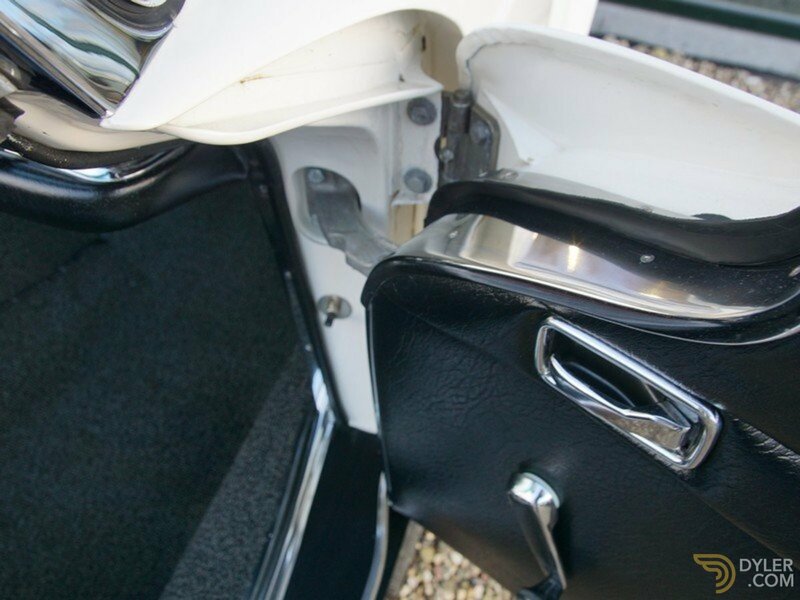 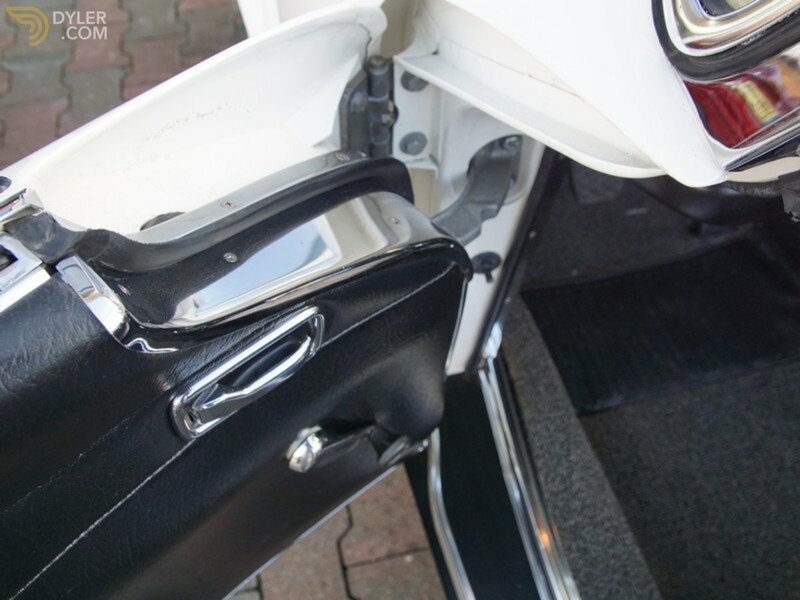 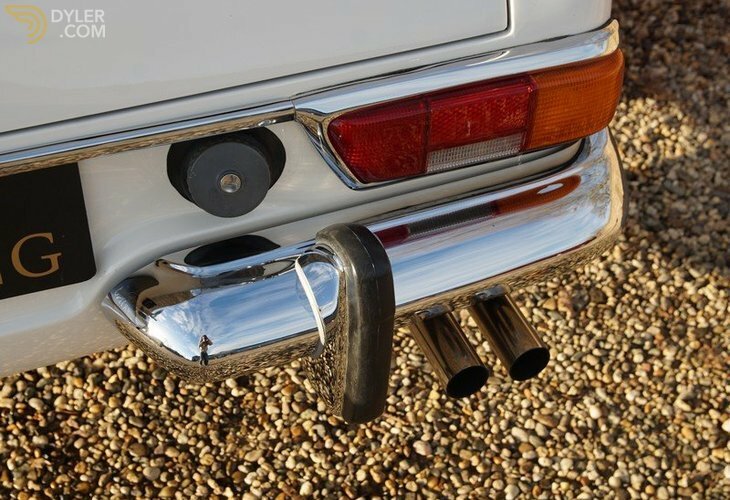 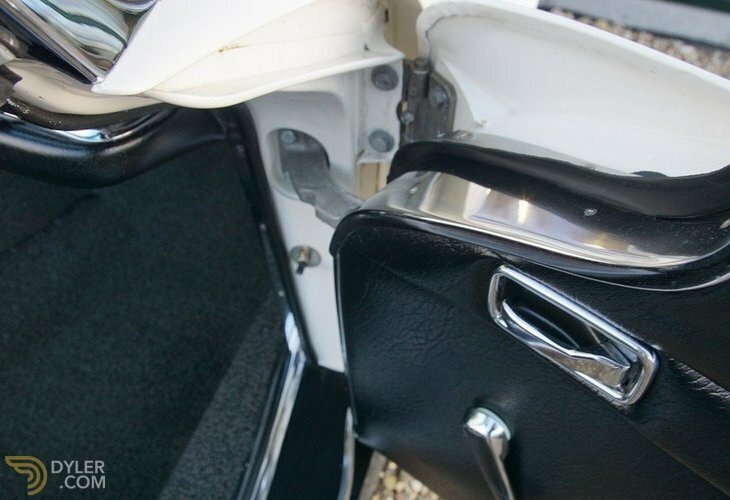 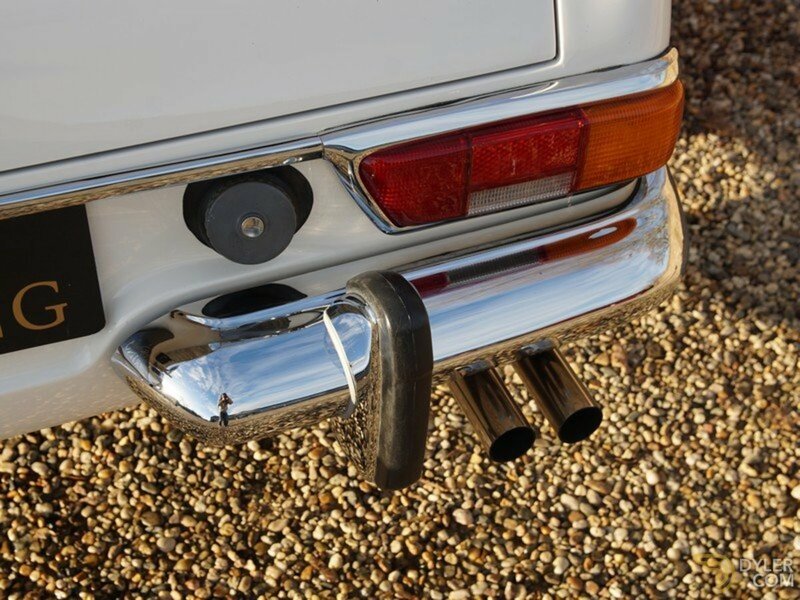 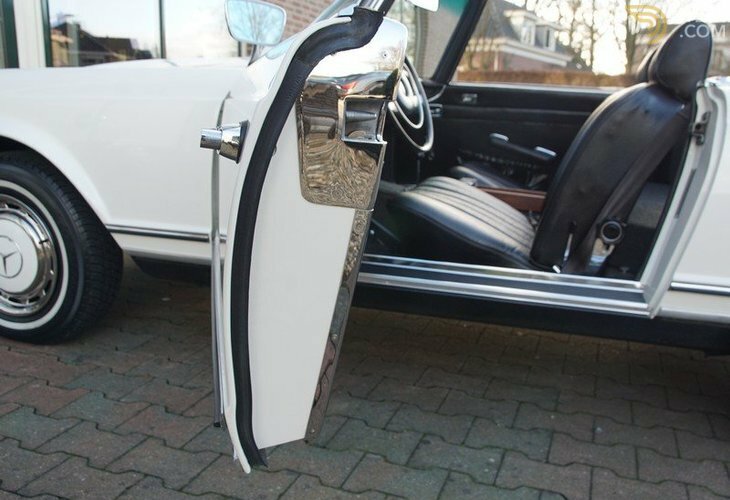 The splendid bodywork has the correct body panel fittings and is supremely straight. 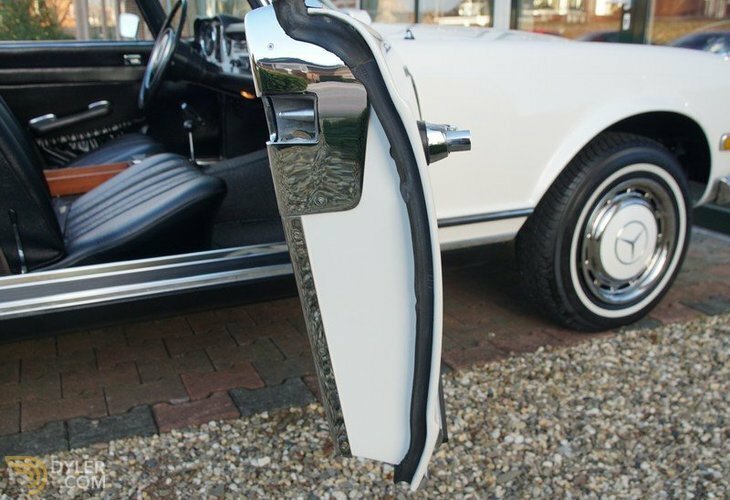 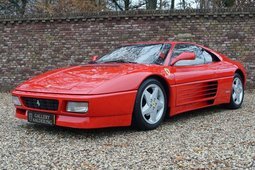 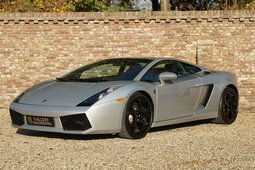 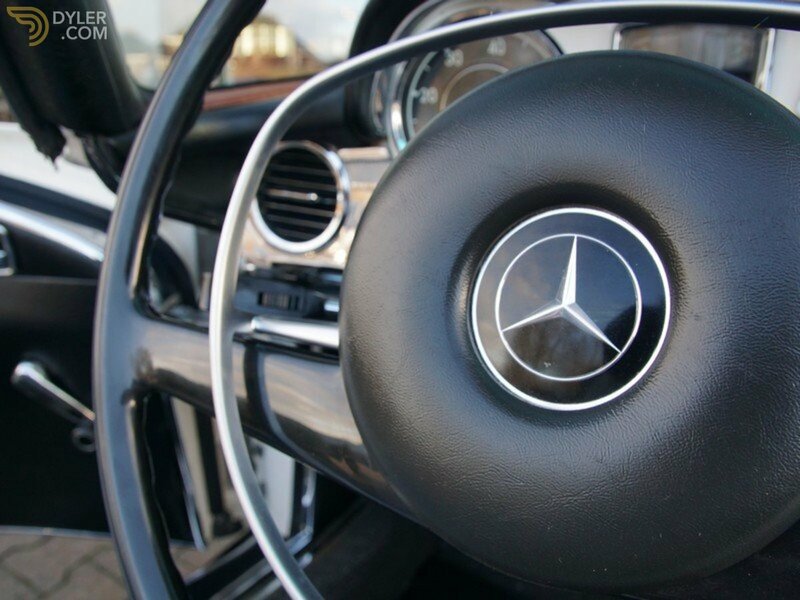 The paintwork is sublime and the chrome details are in a top condition. 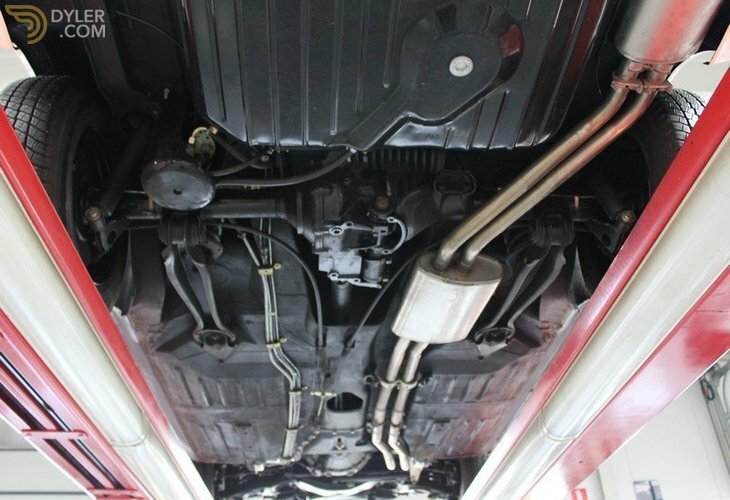 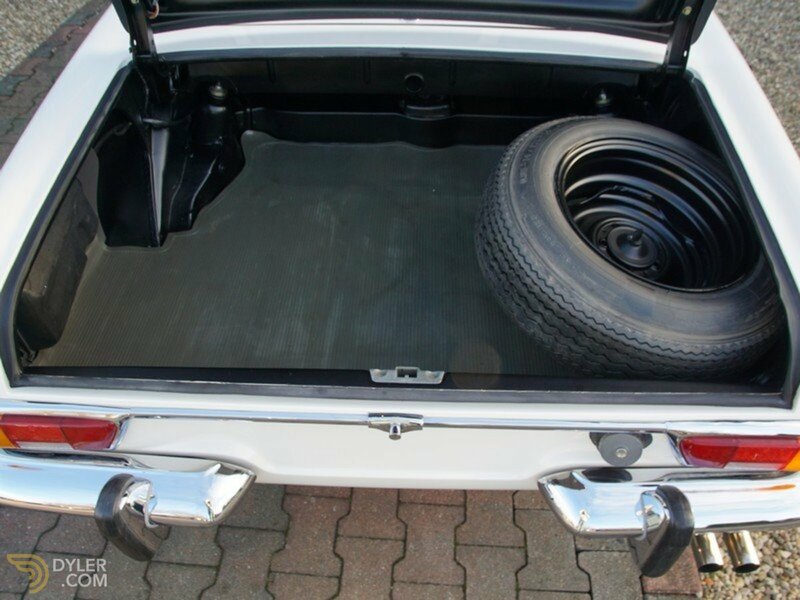 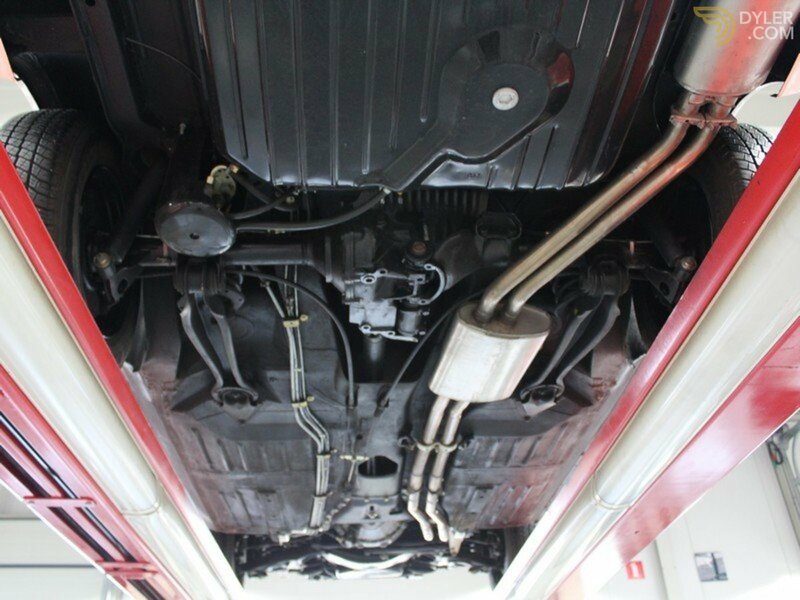 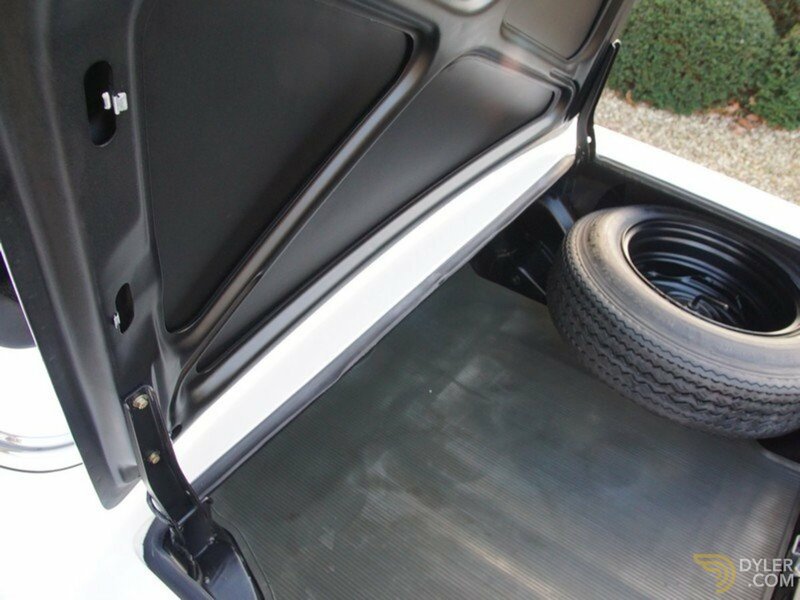 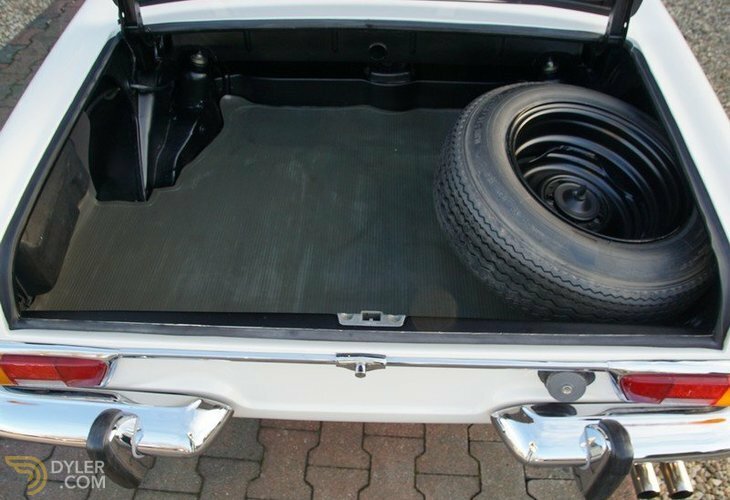 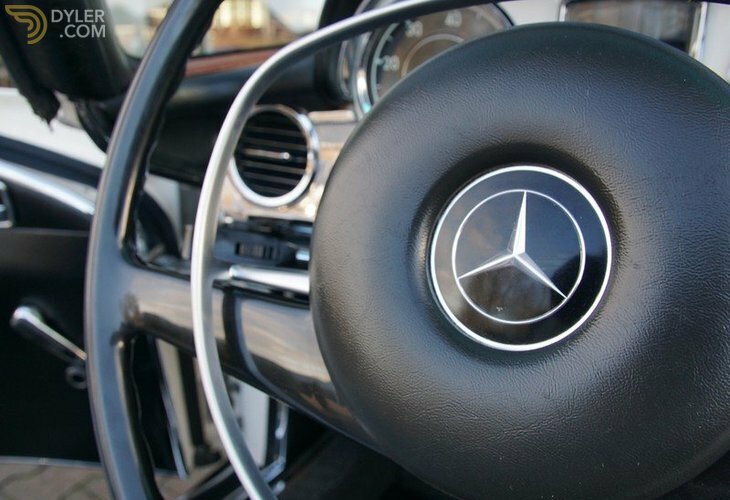 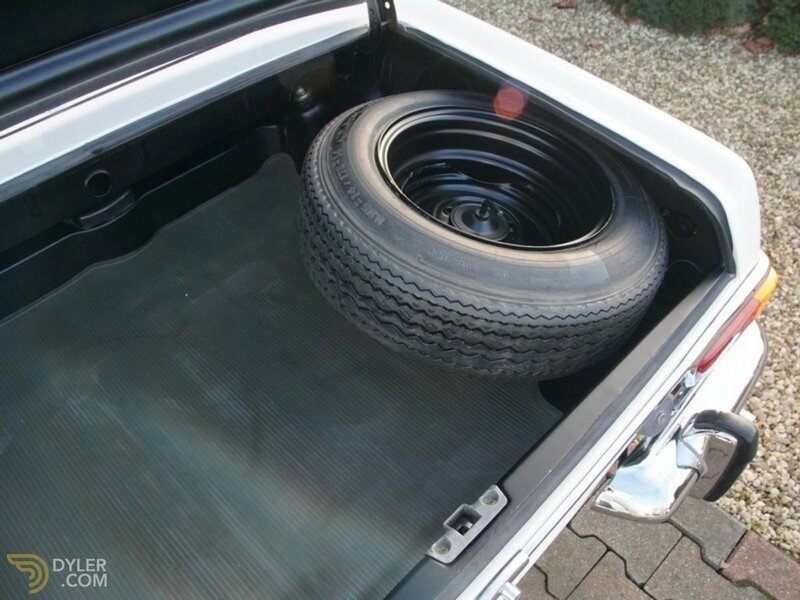 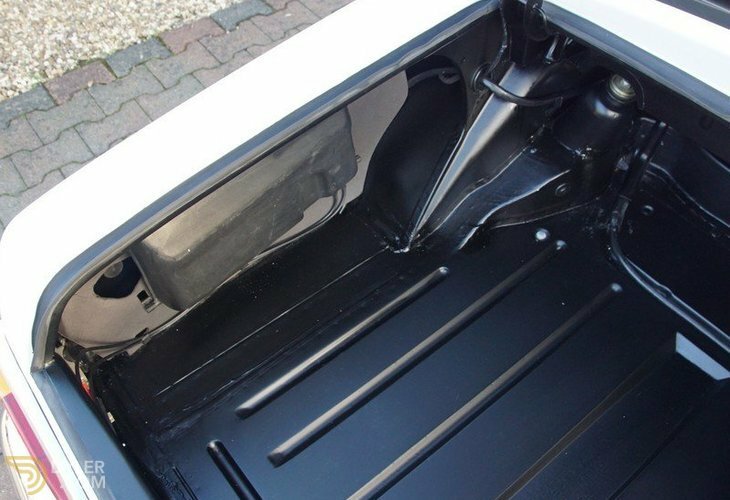 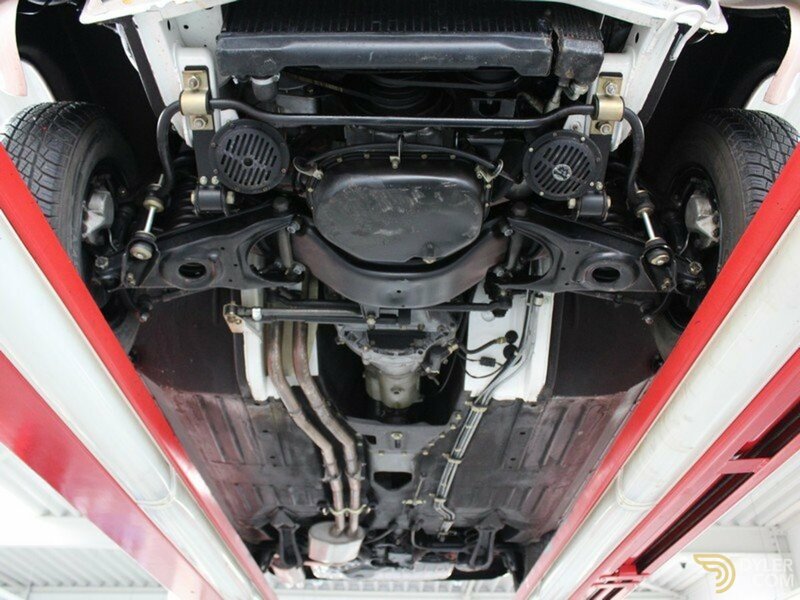 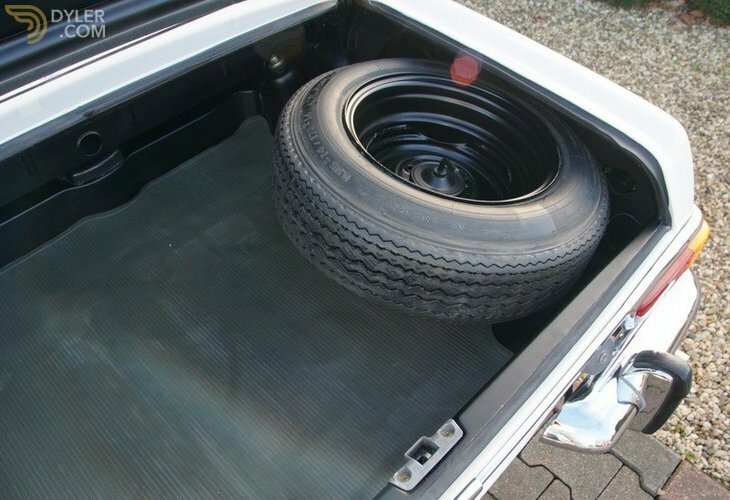 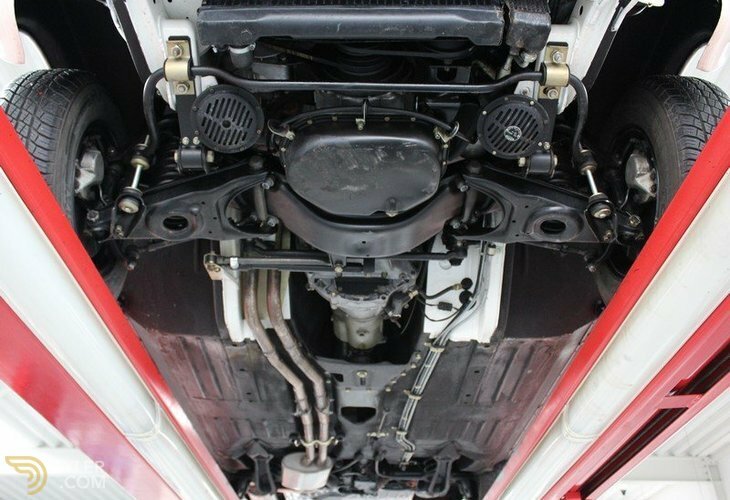 Naturally, the underbody is completely rust-free and as good as new. 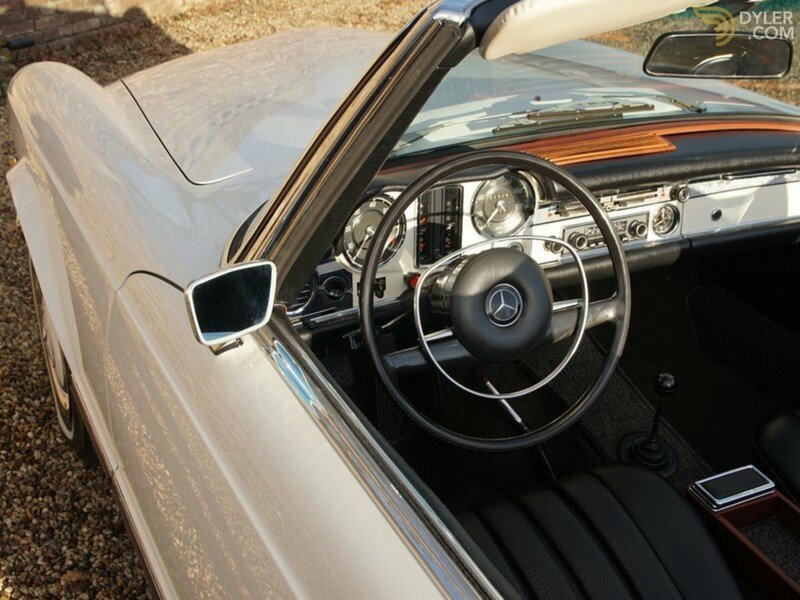 Mechanically this car performs flawlessly. 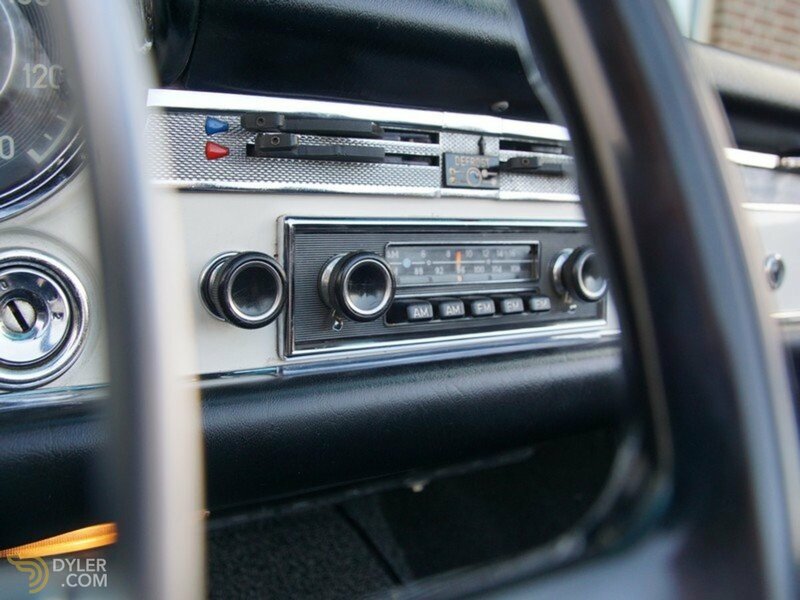 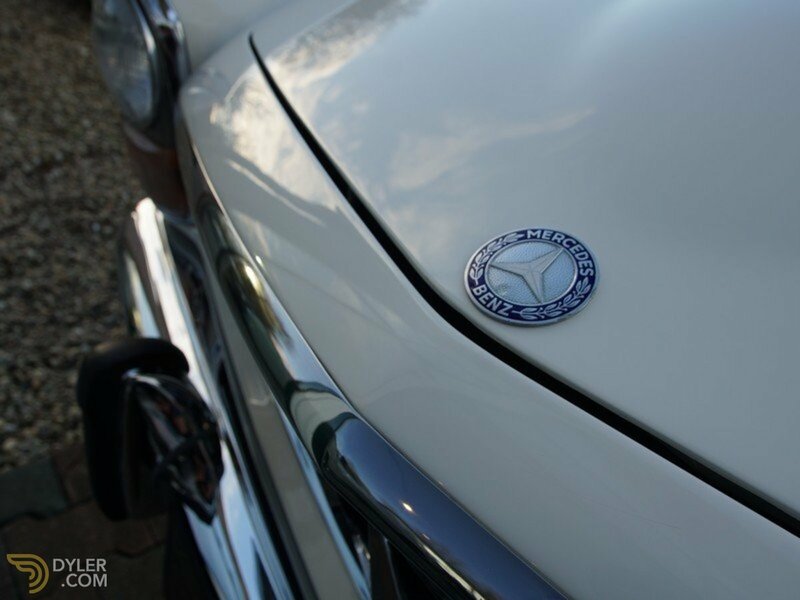 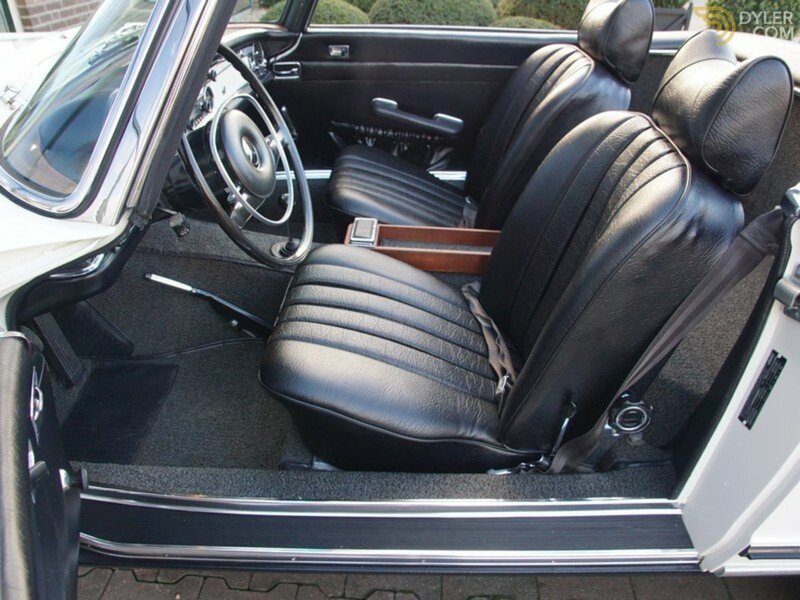 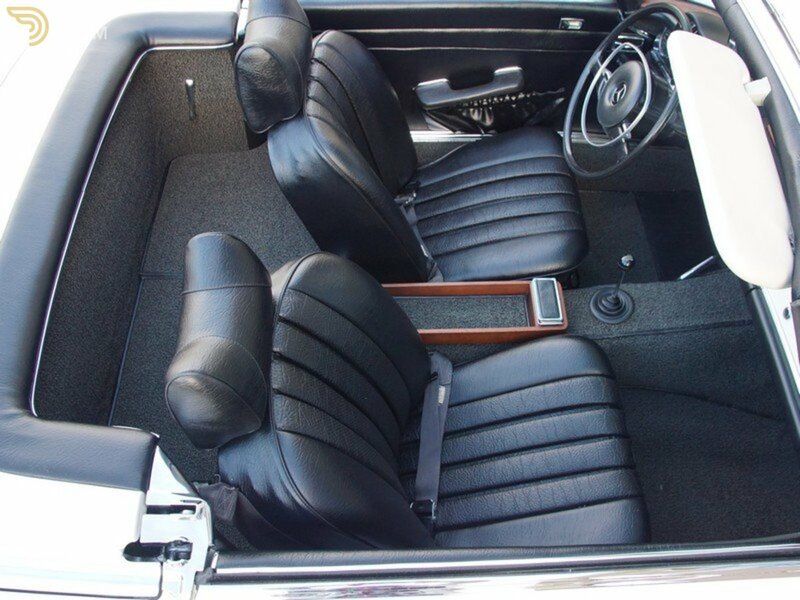 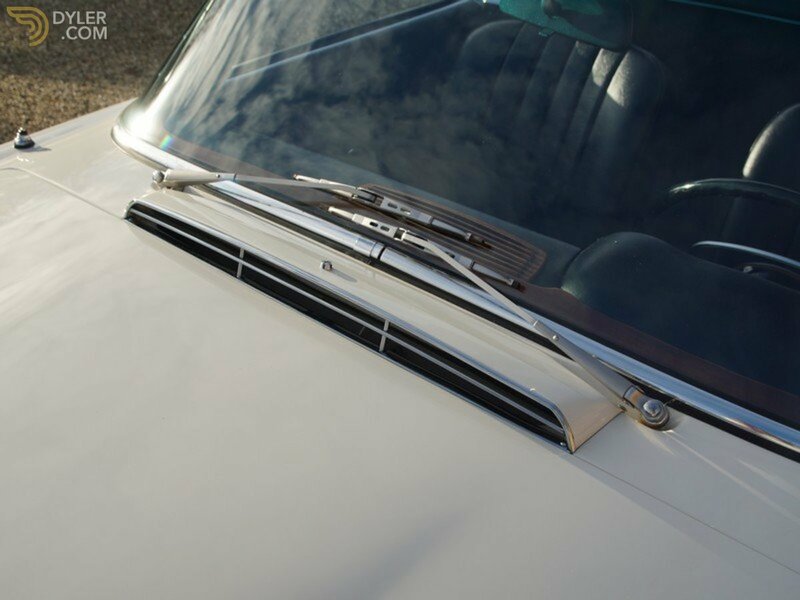 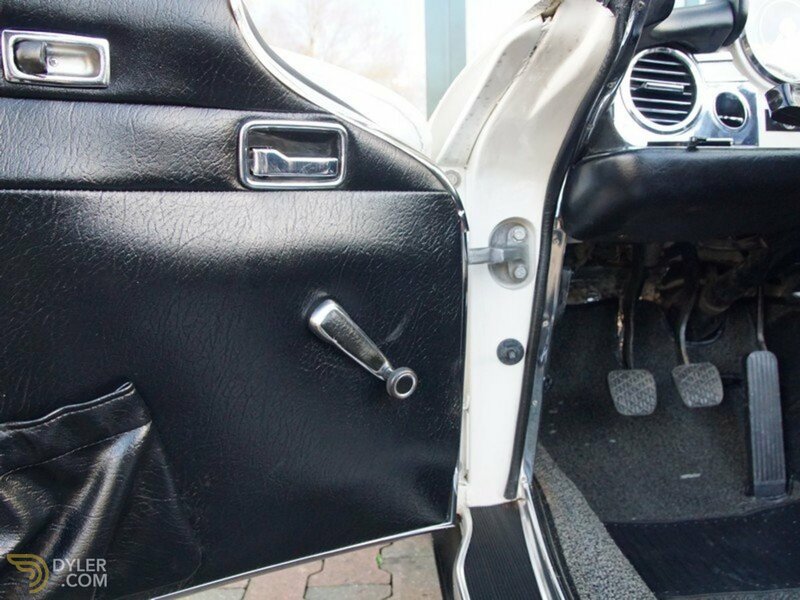 It has its original “Weiss 050G” finish combined with a lovely “040G” black leather interior trim and matching hood. 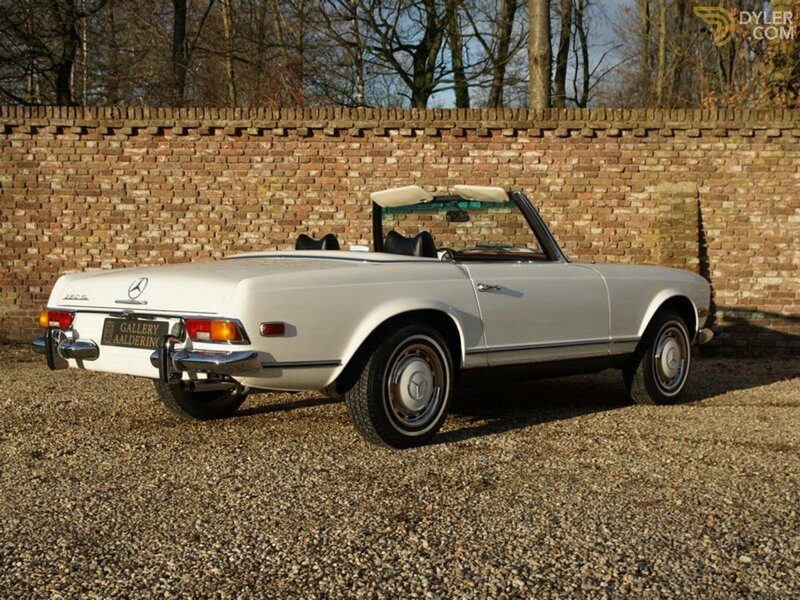 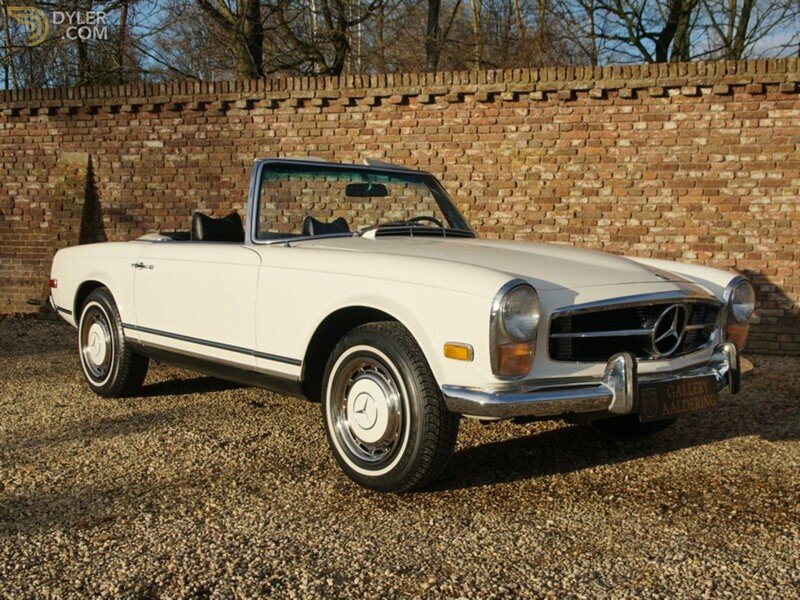 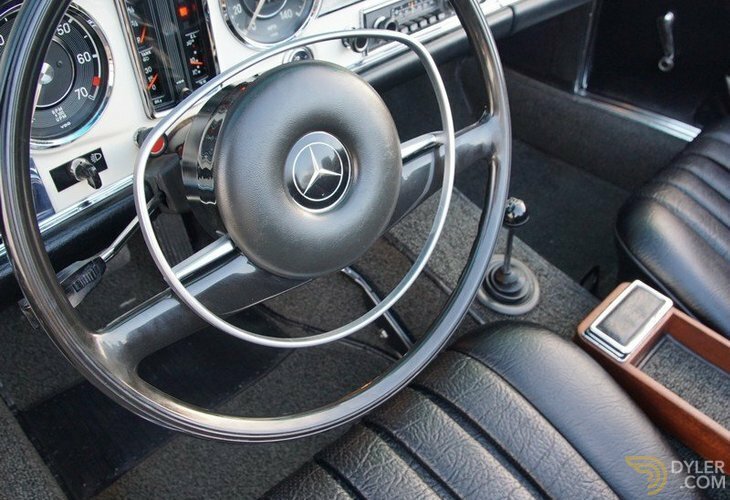 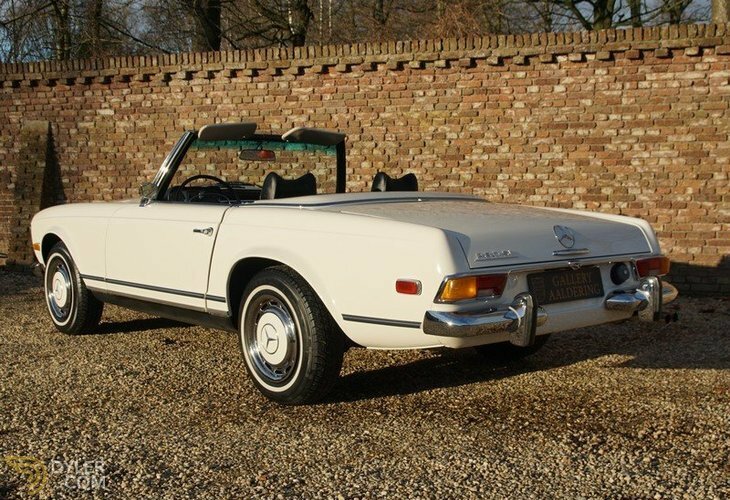 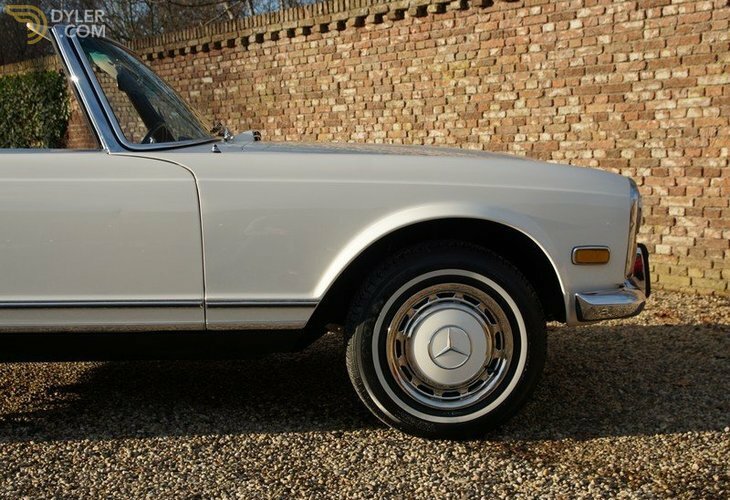 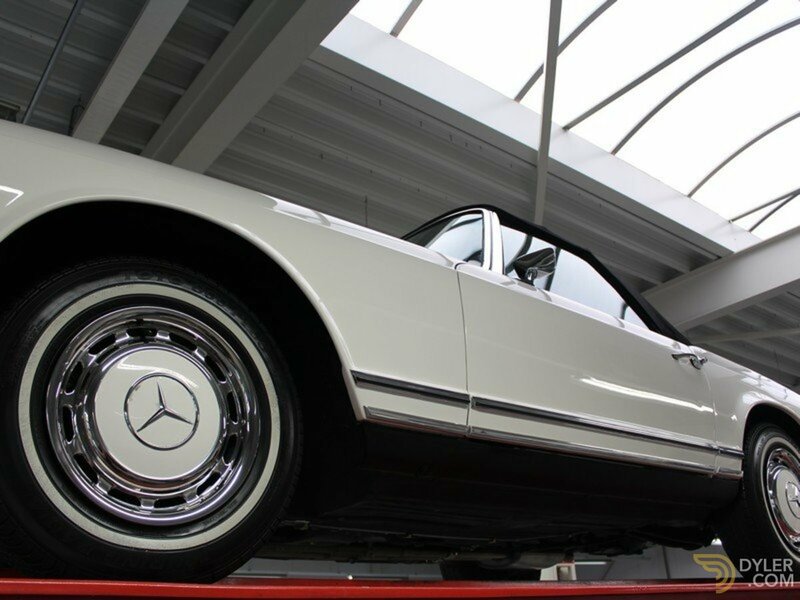 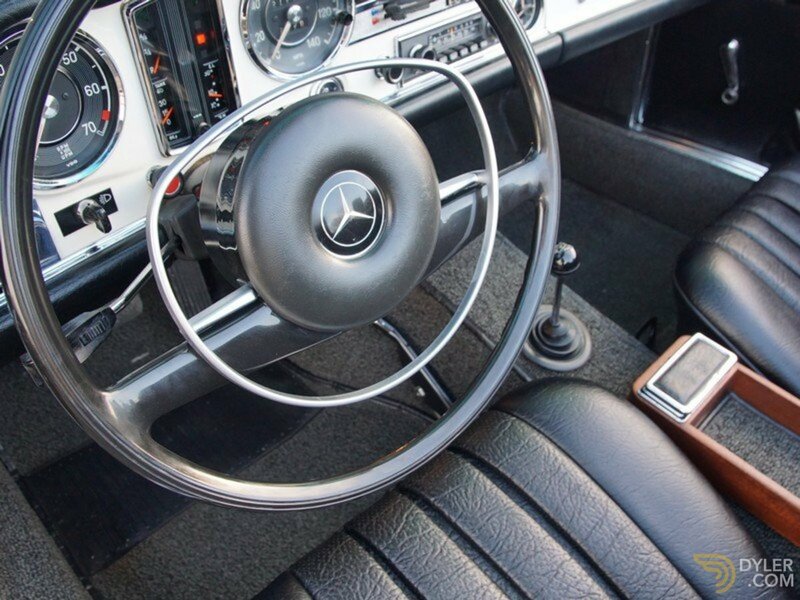 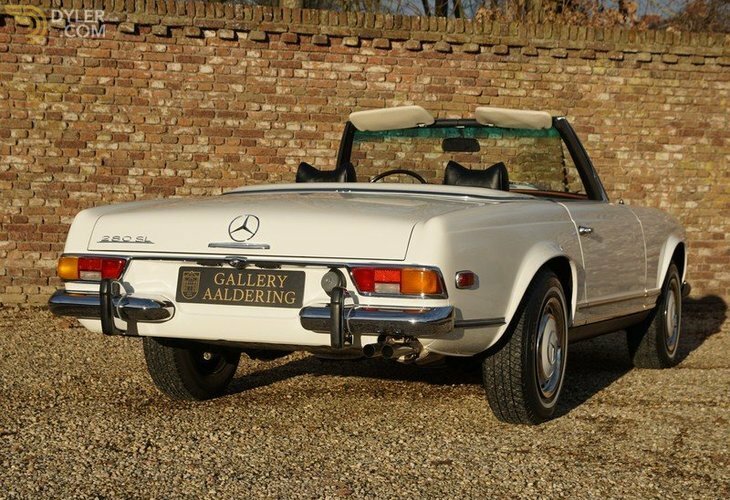 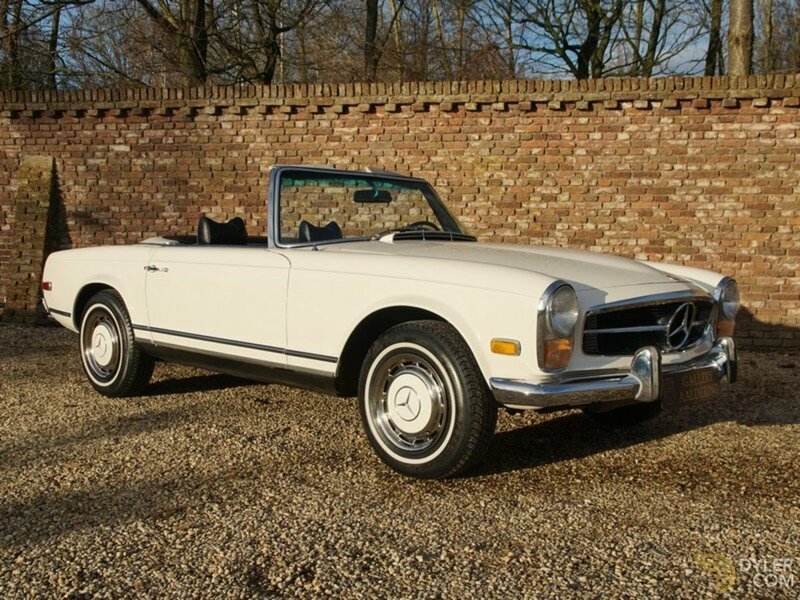 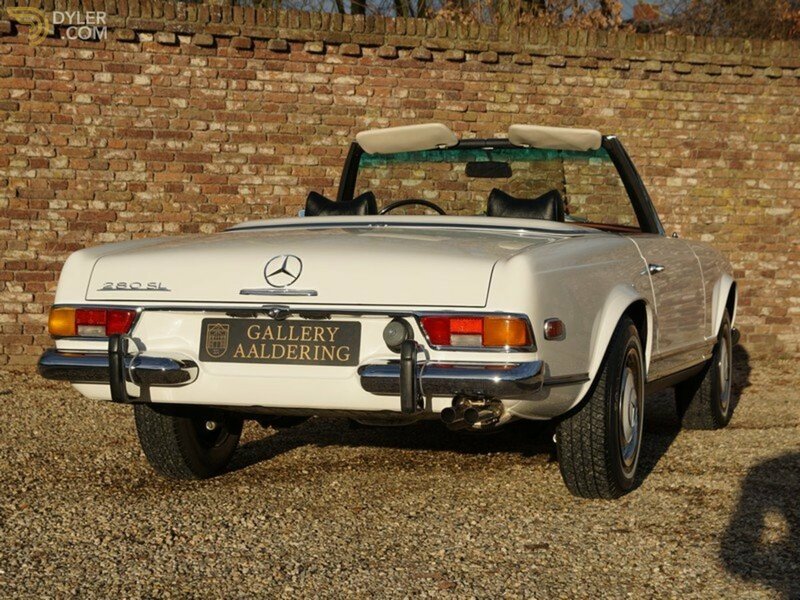 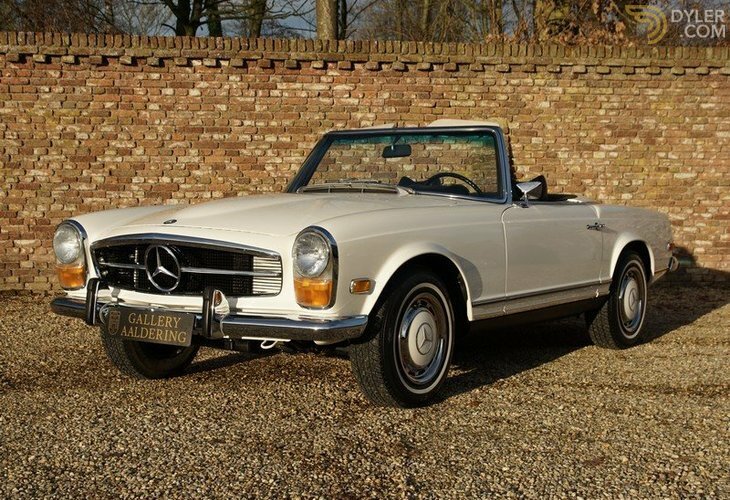 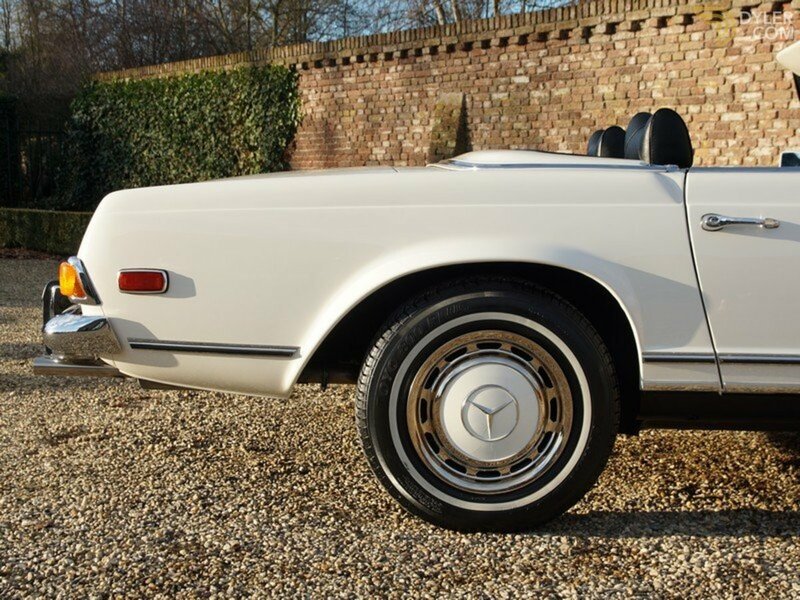 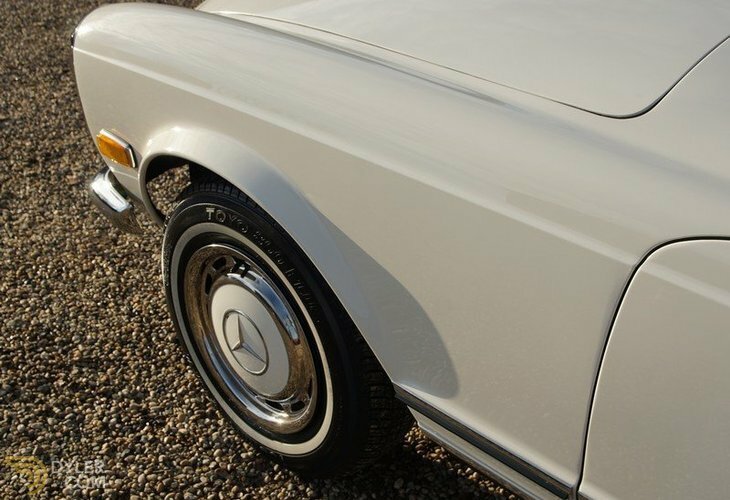 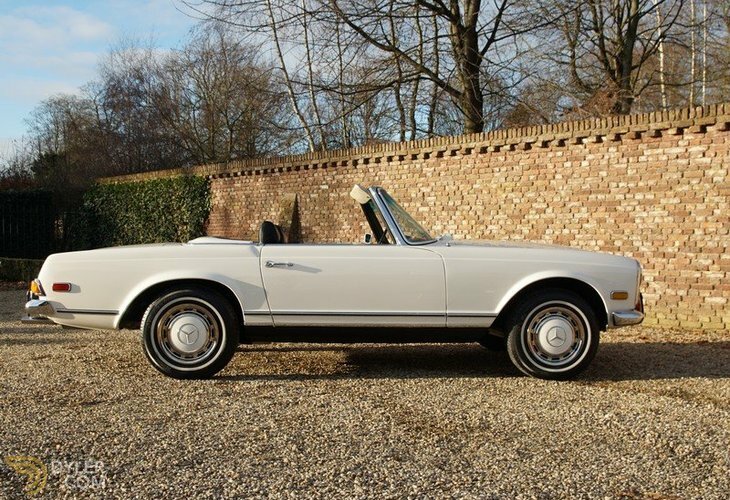 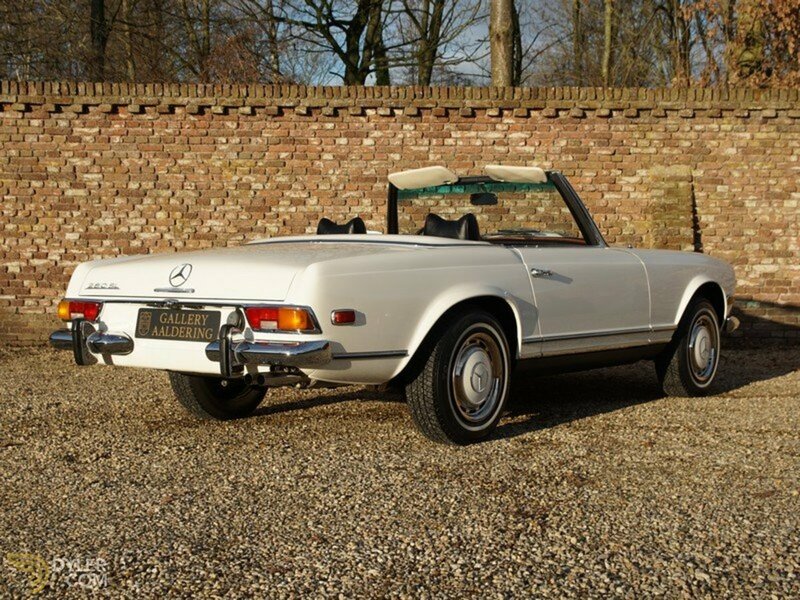 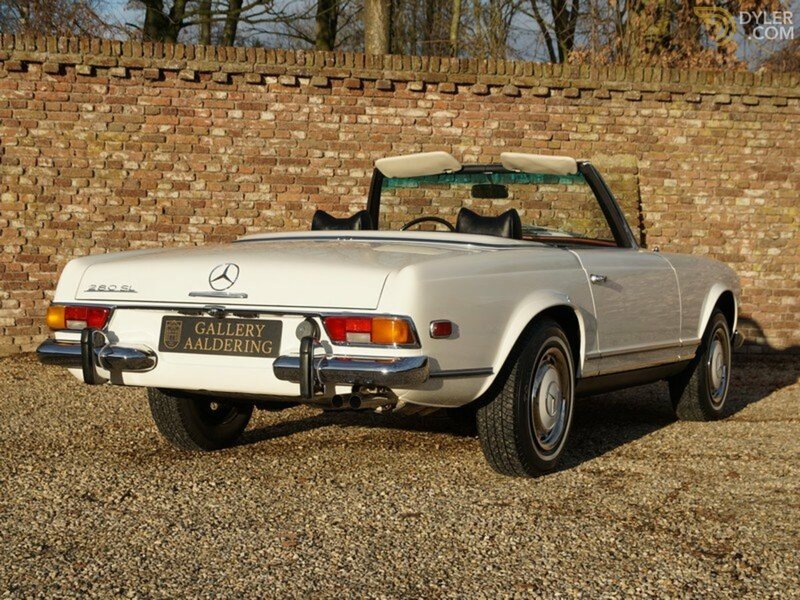 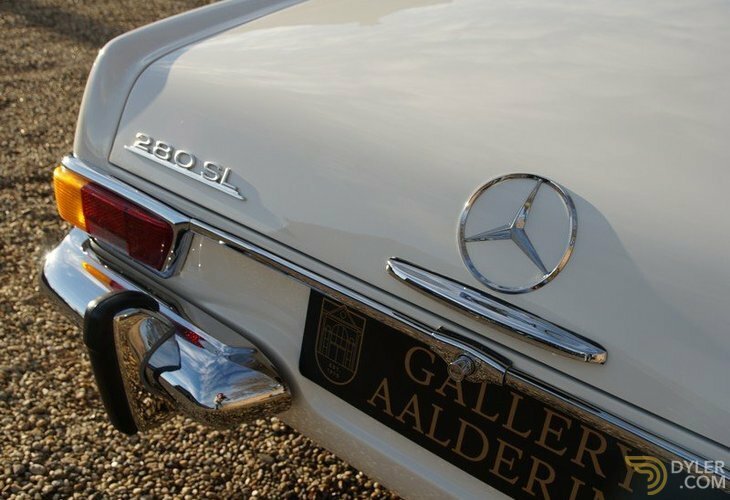 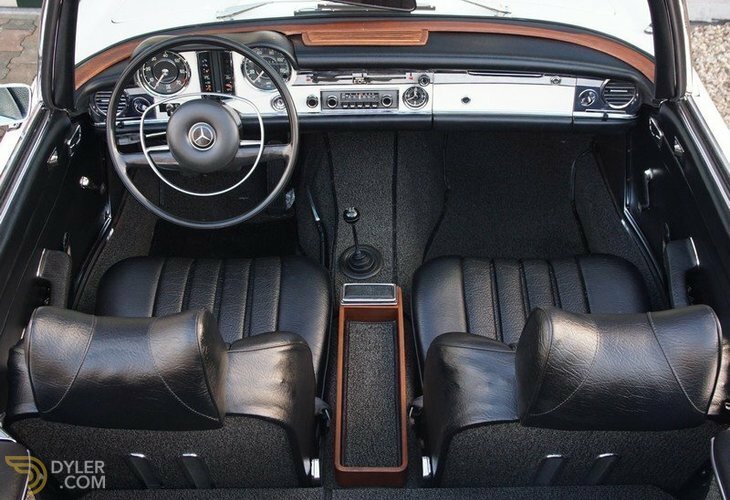 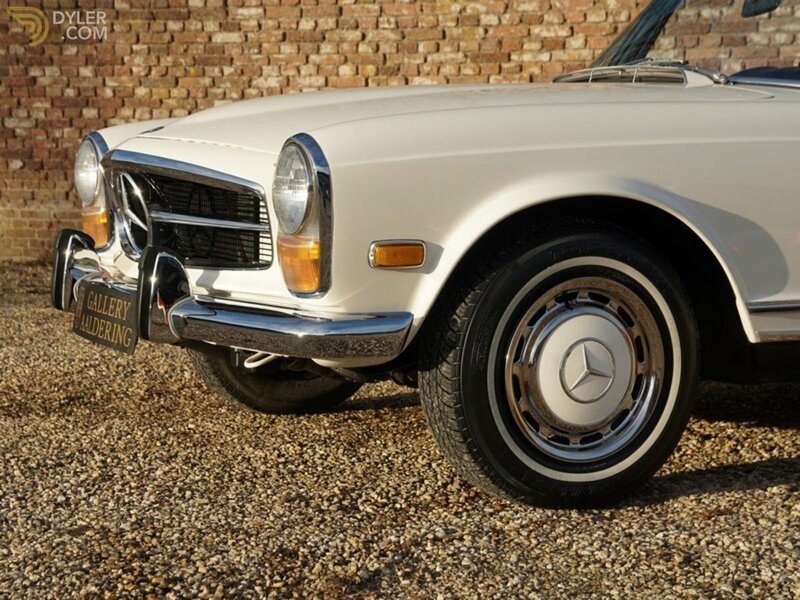 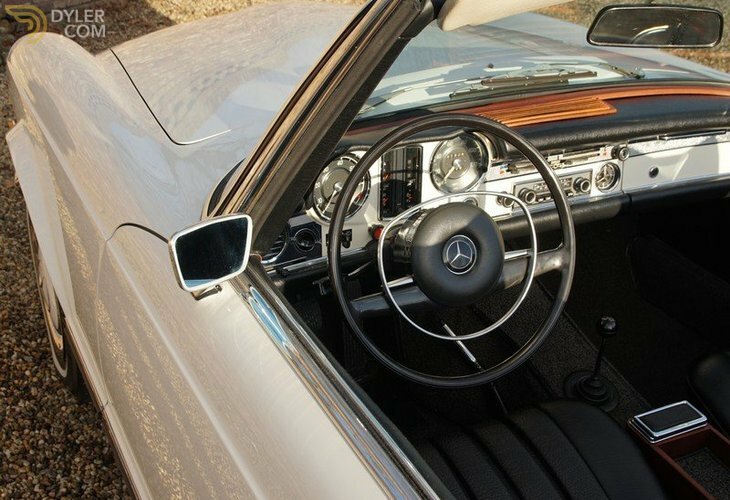 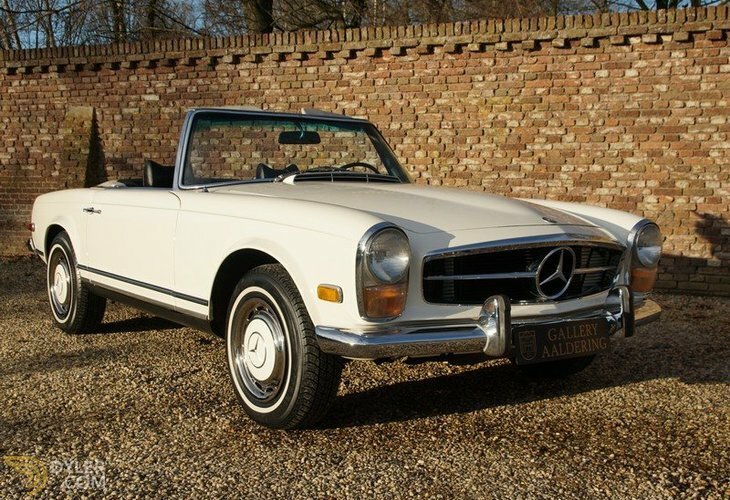 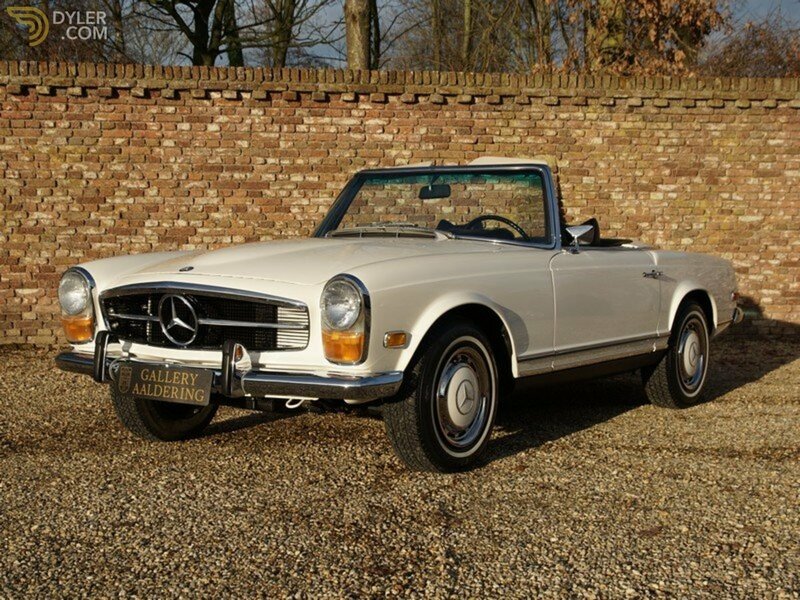 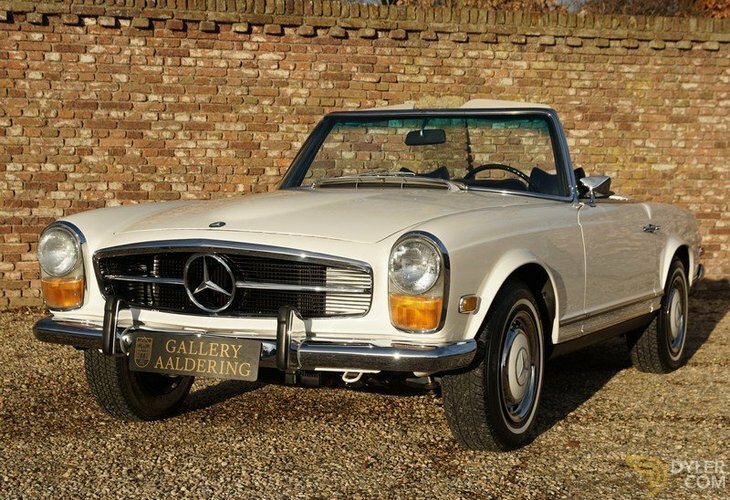 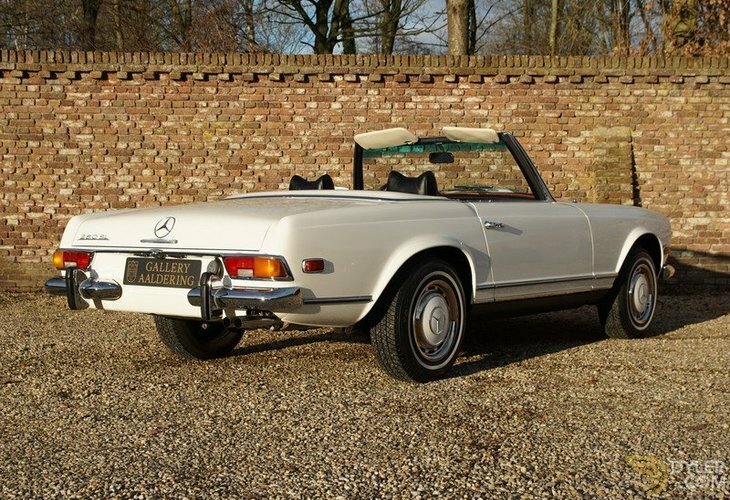 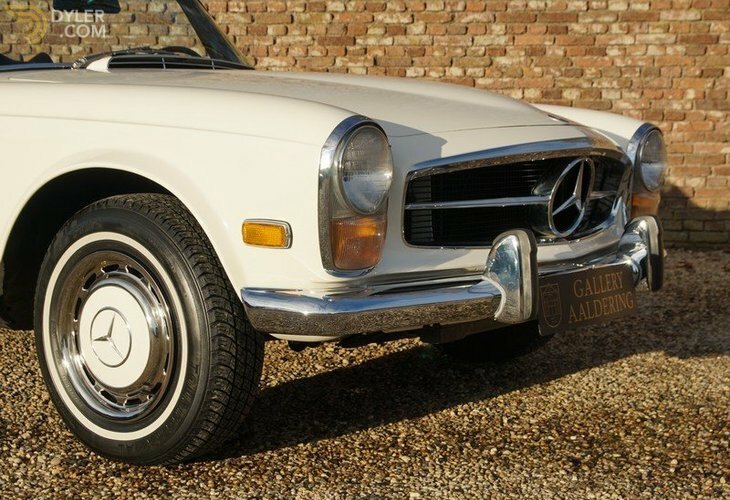 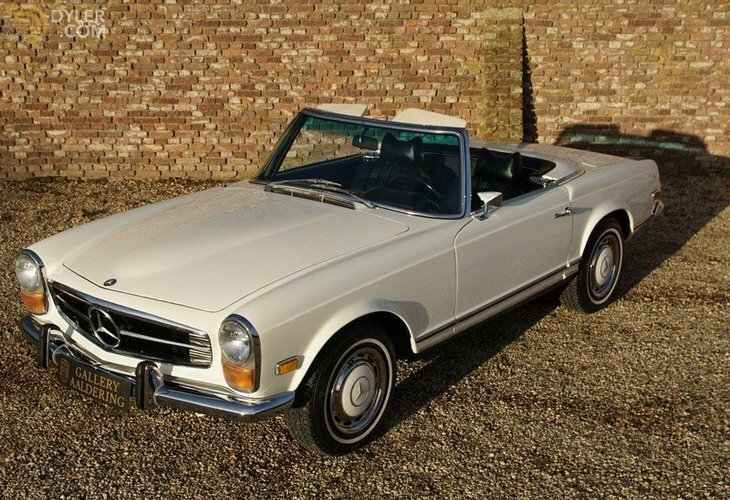 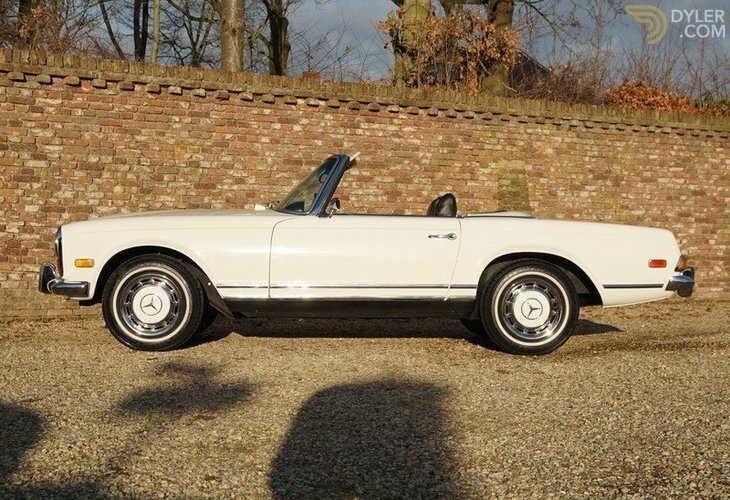 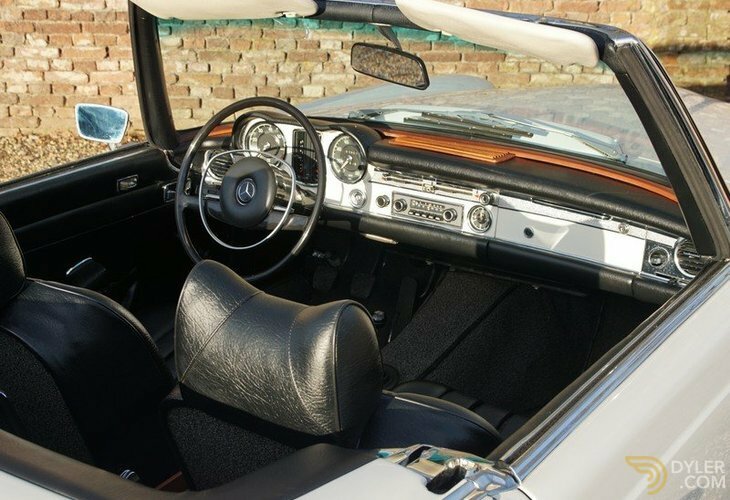 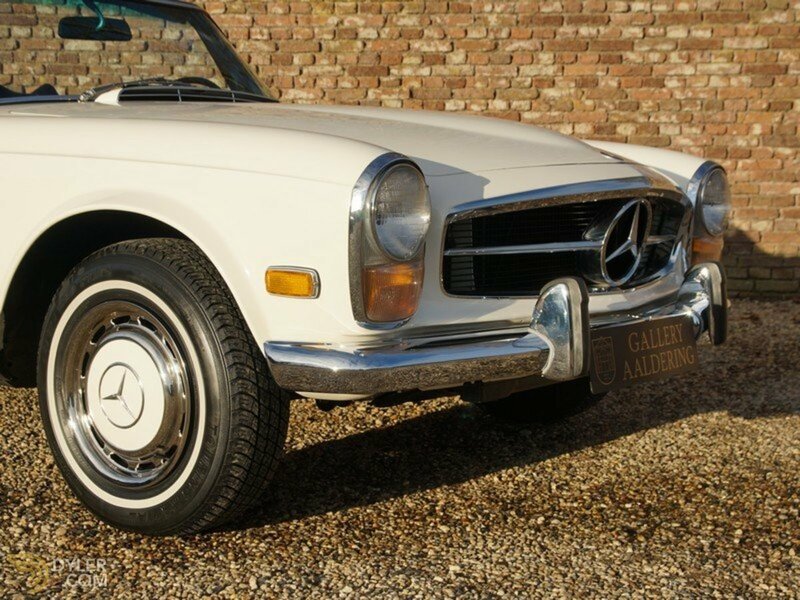 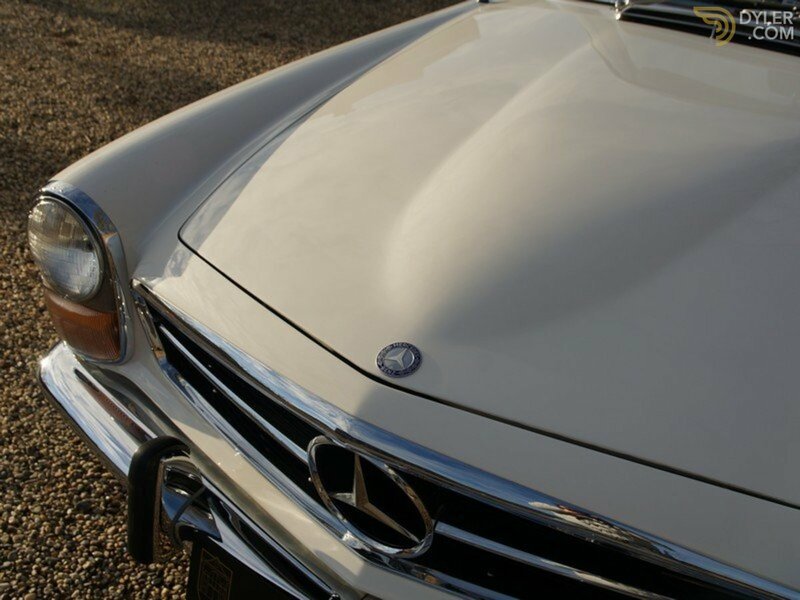 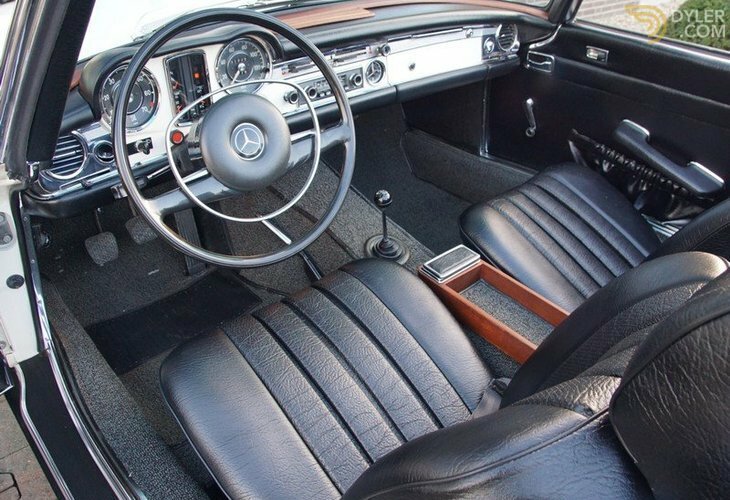 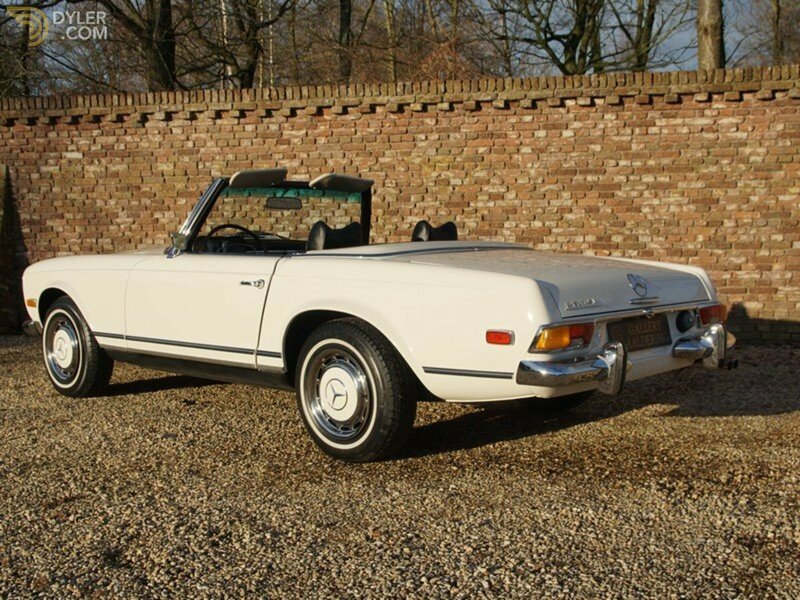 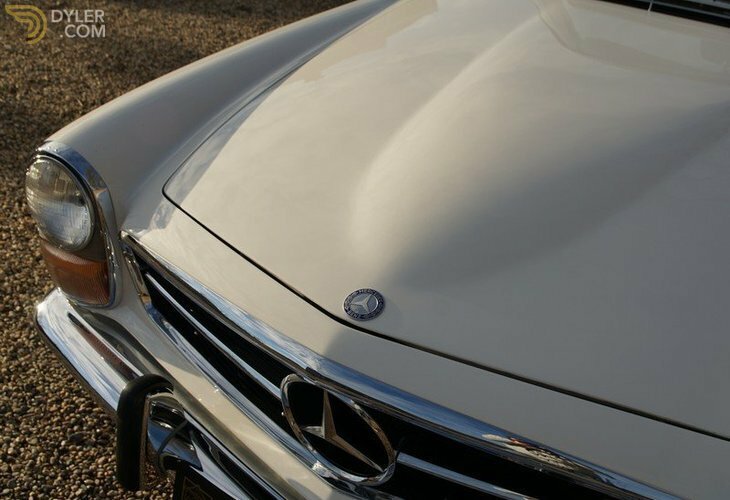 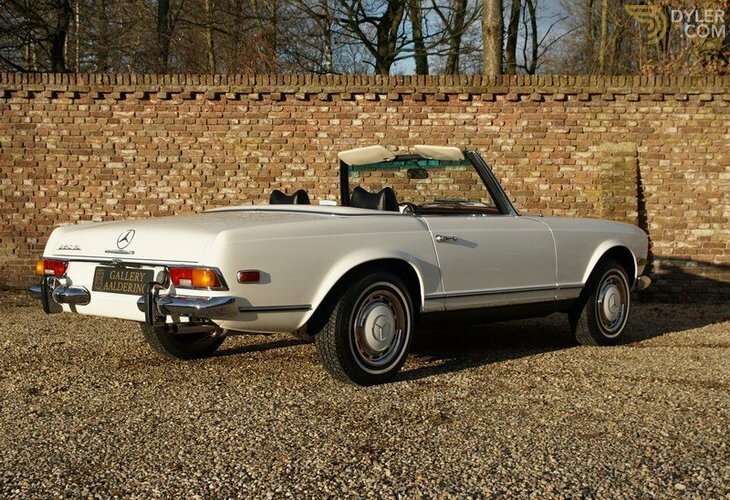 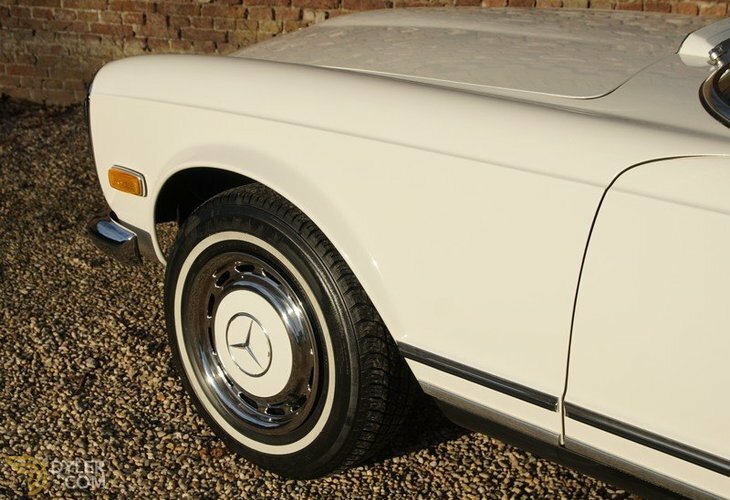 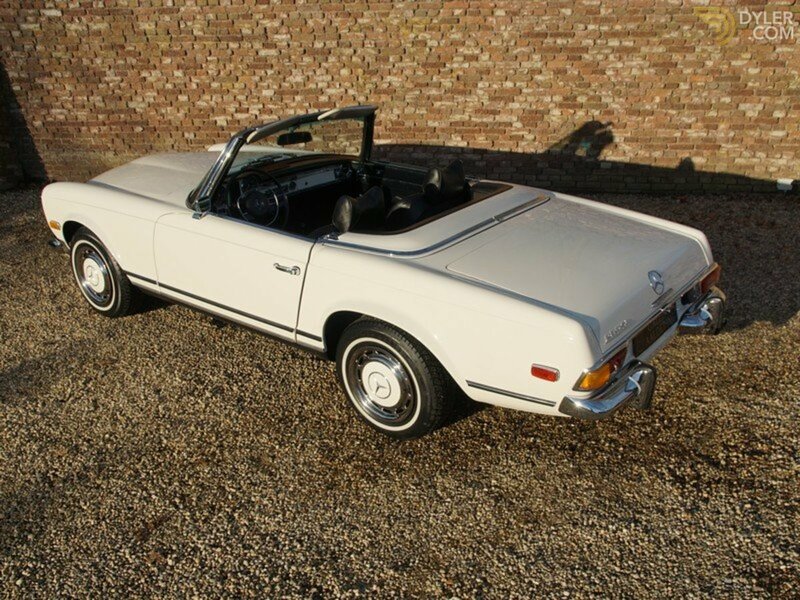 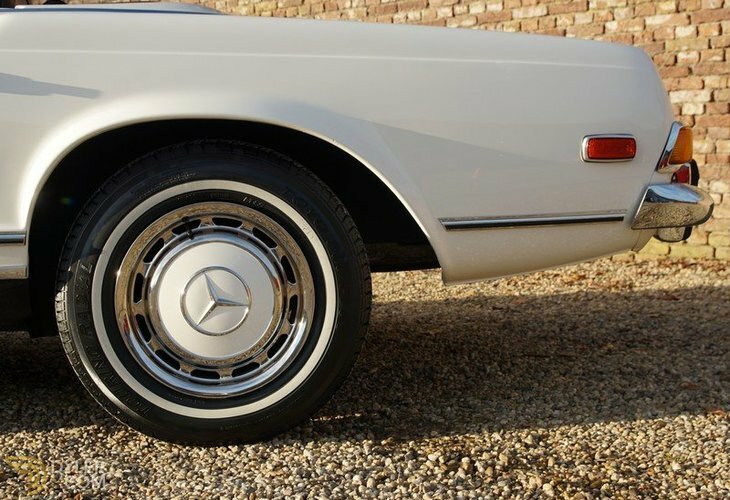 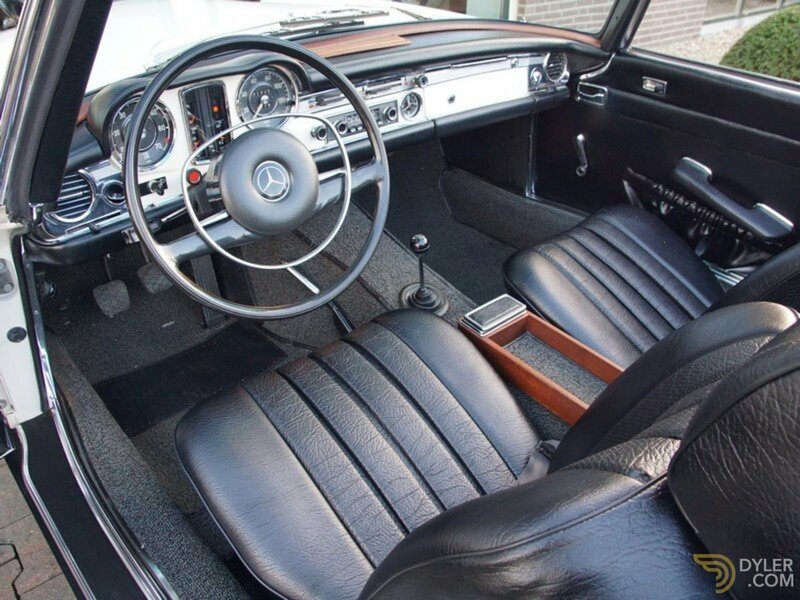 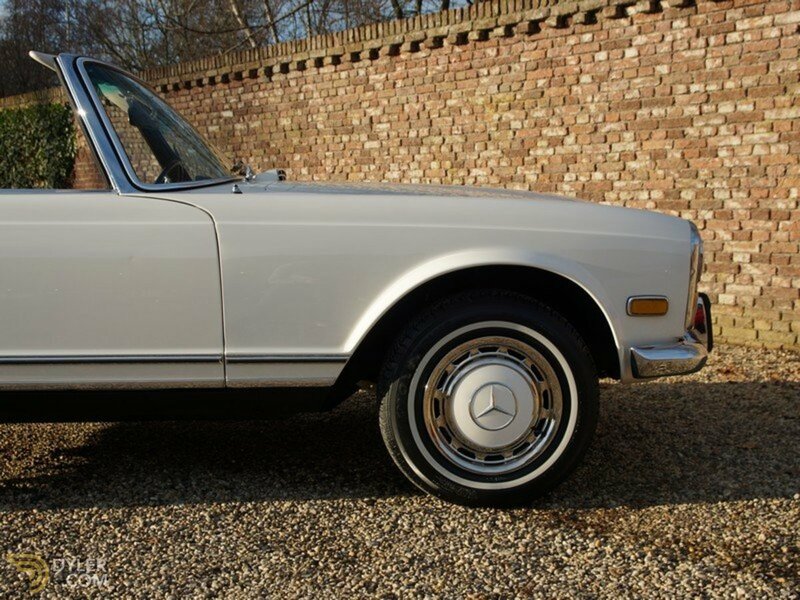 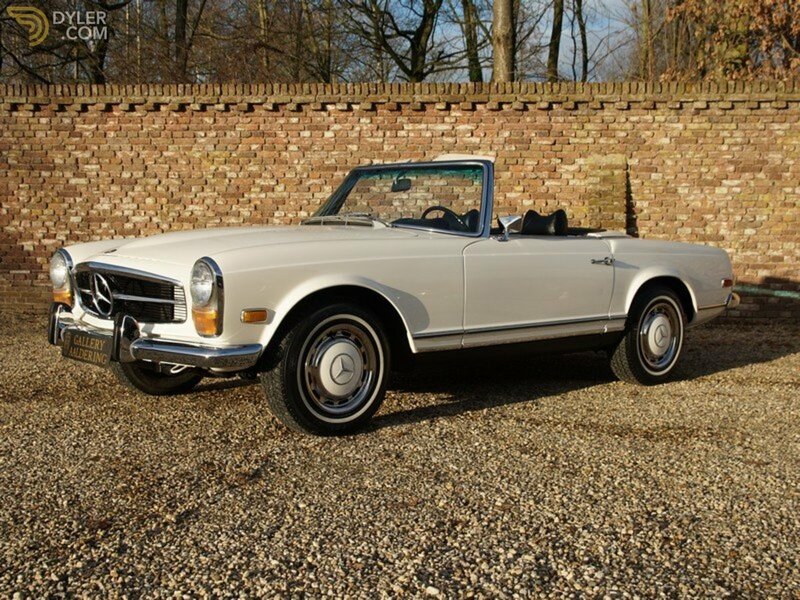 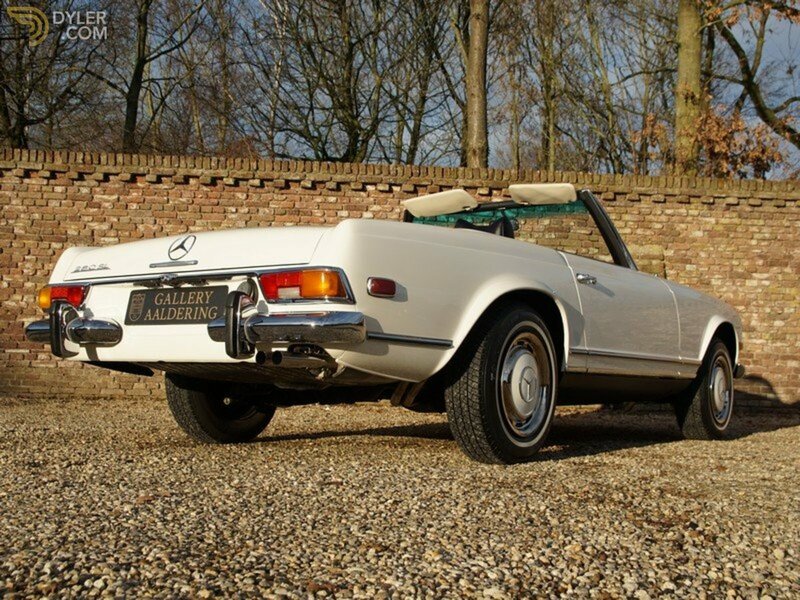 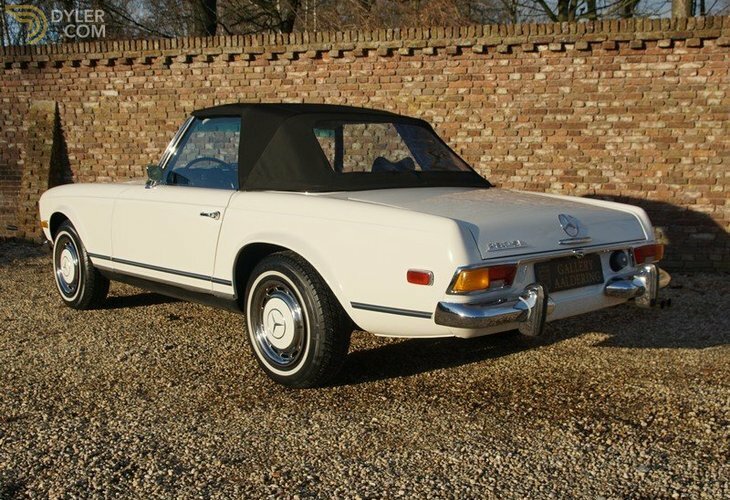 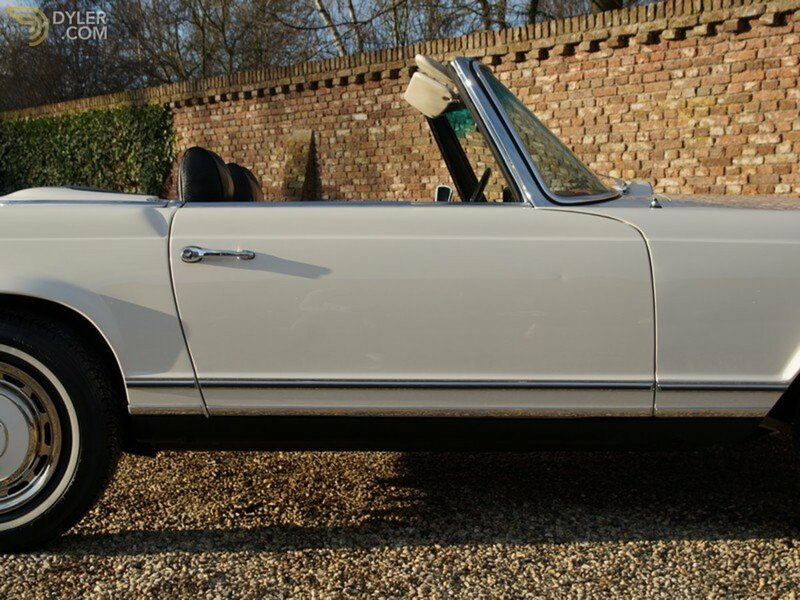 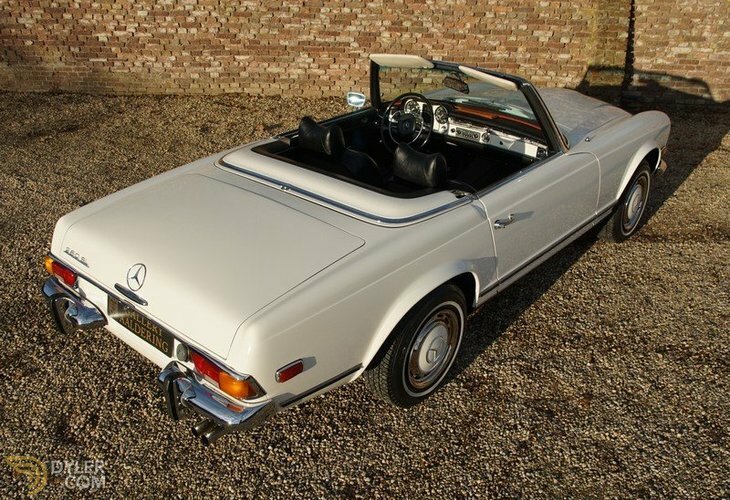 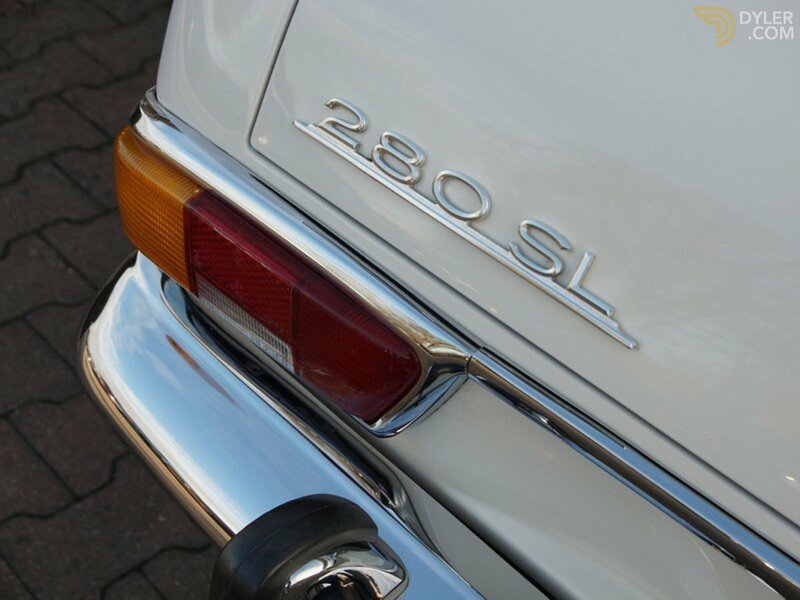 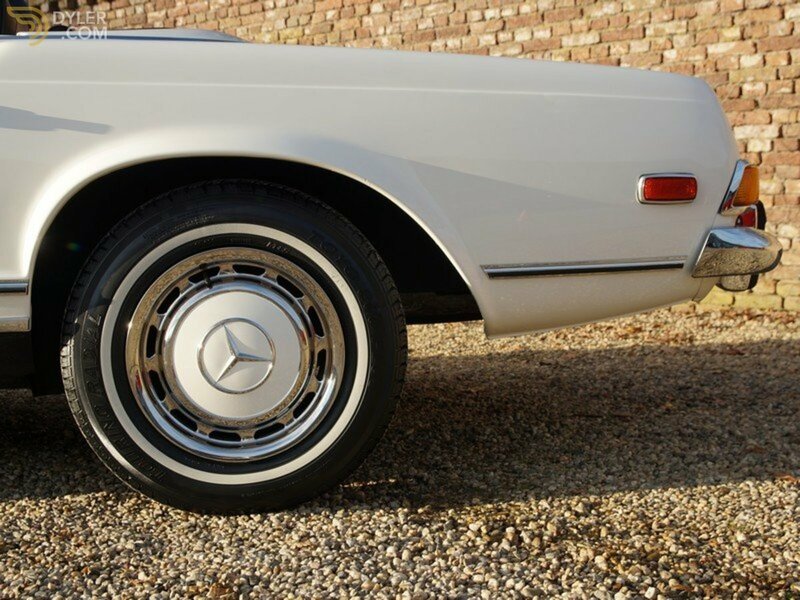 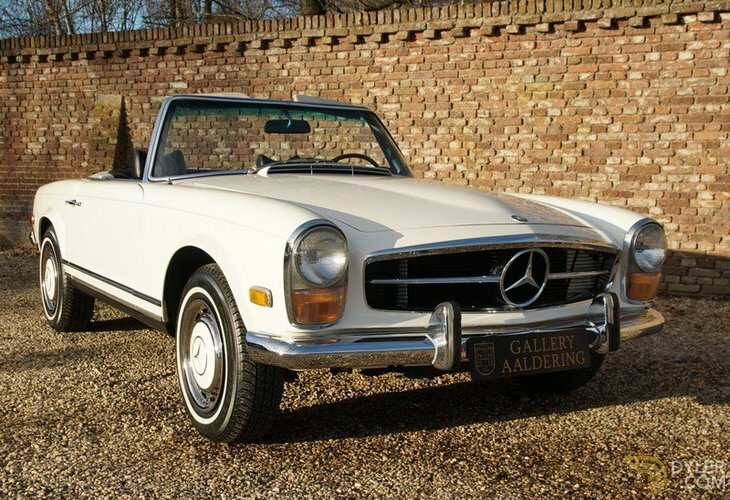 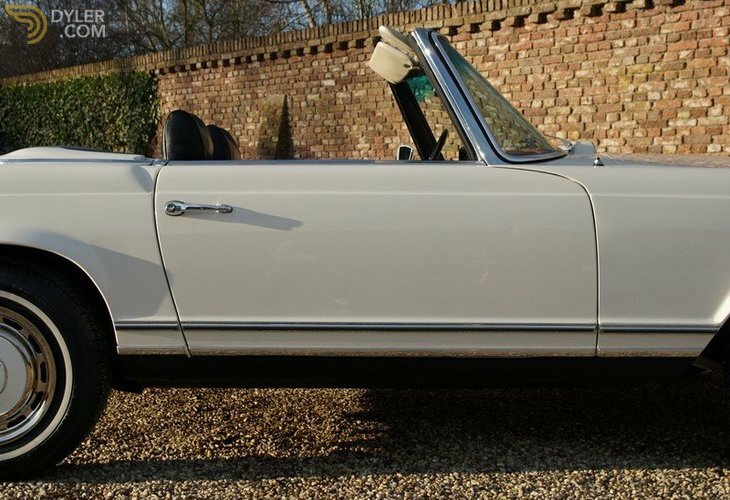 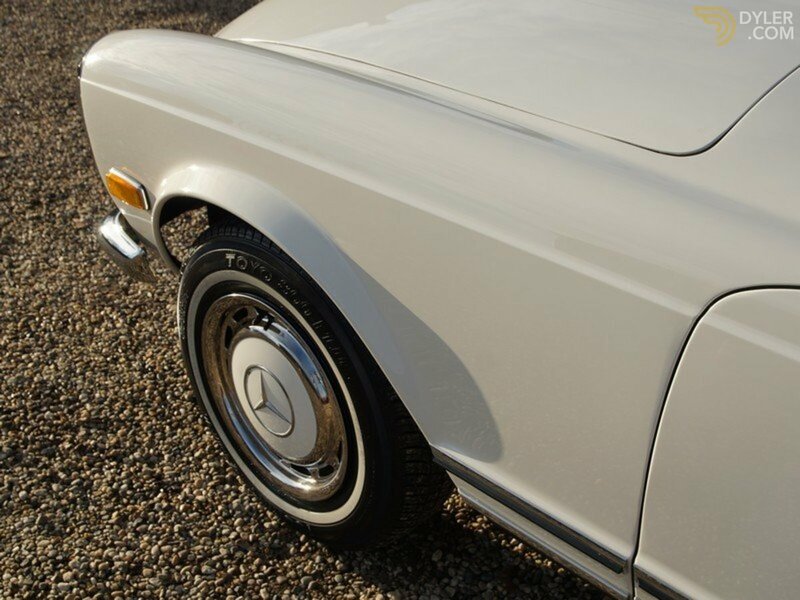 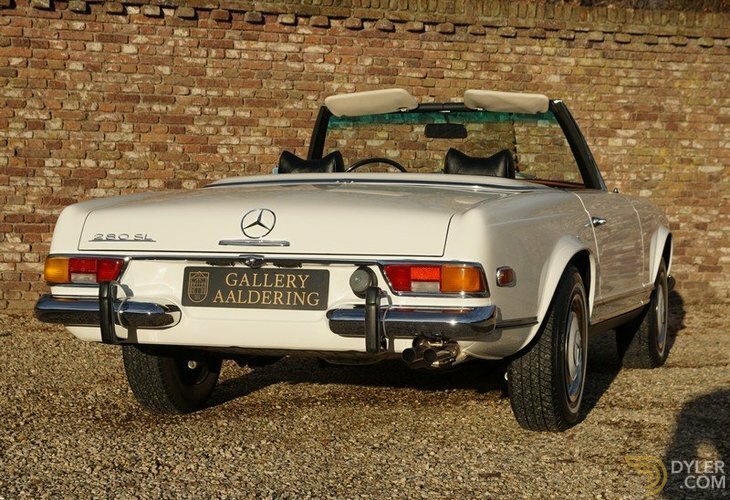 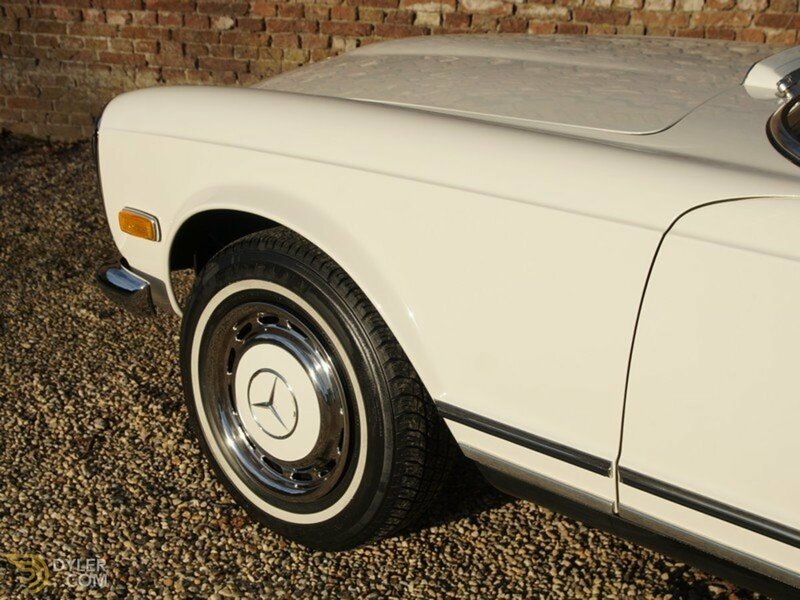 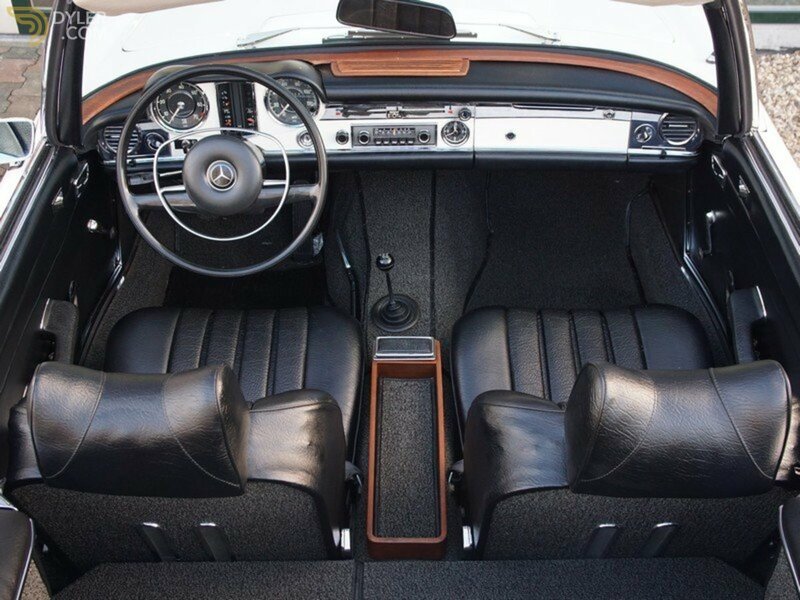 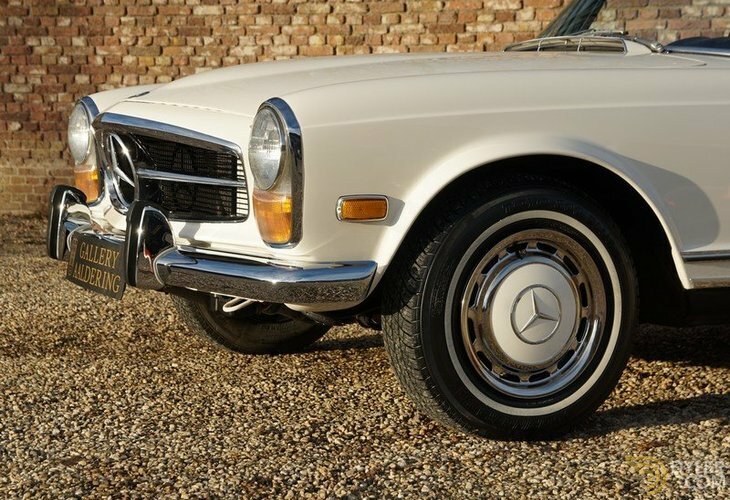 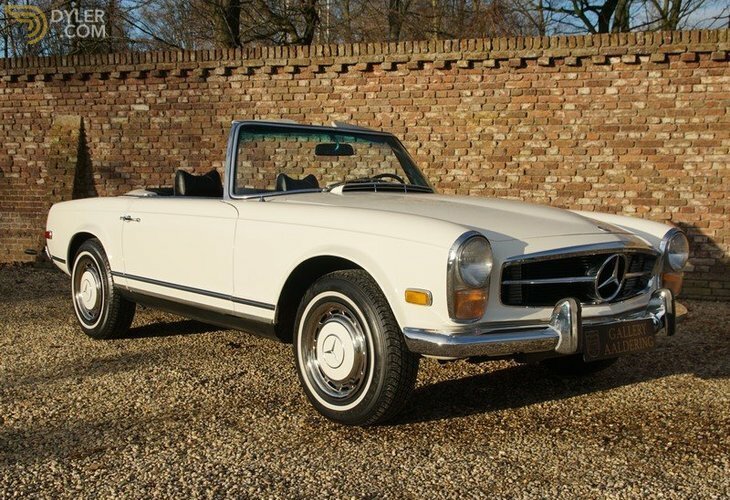 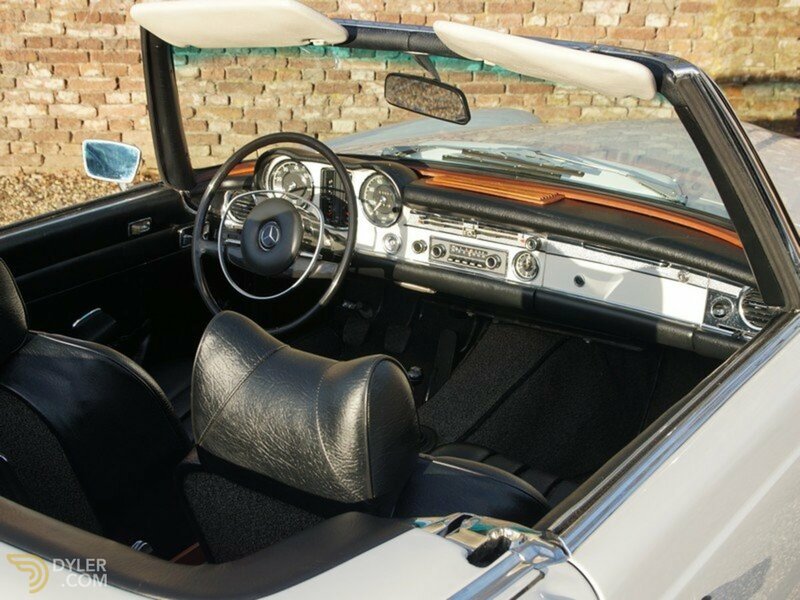 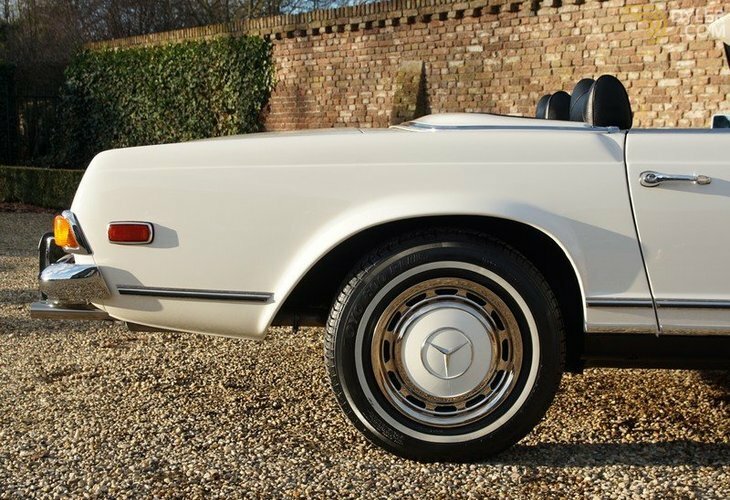 A splendid, top quality, fully restored, manual 280 SL Pagoda!